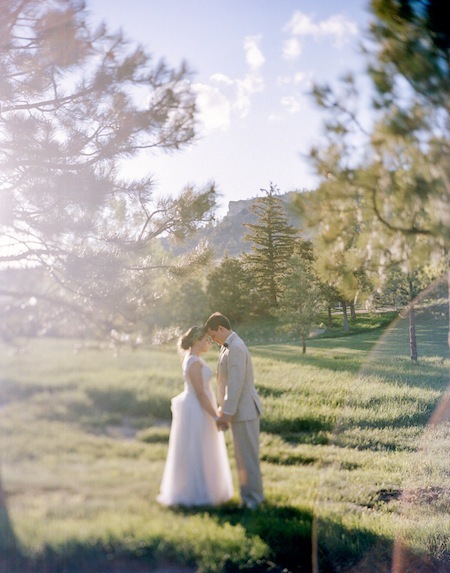 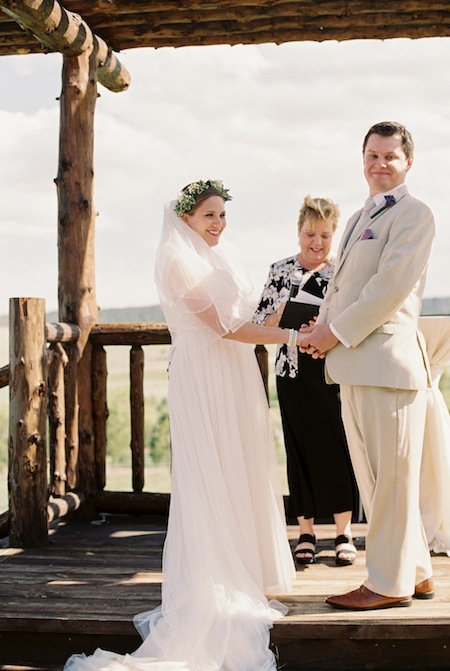 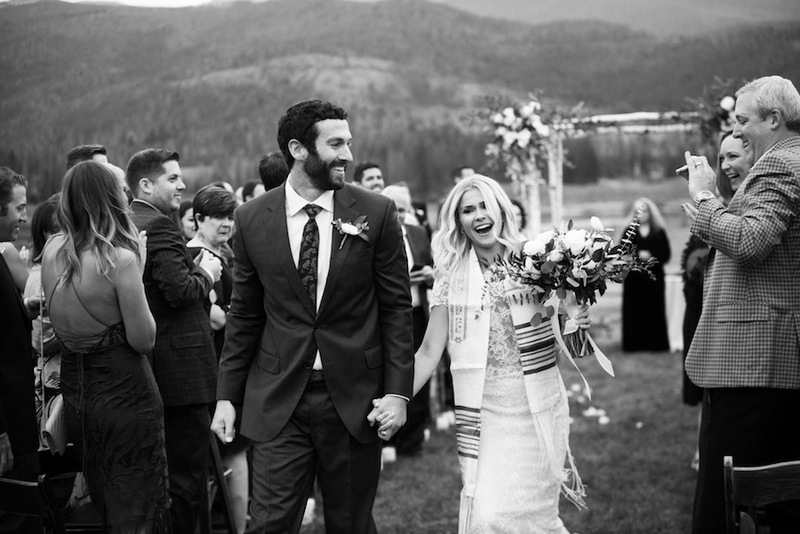 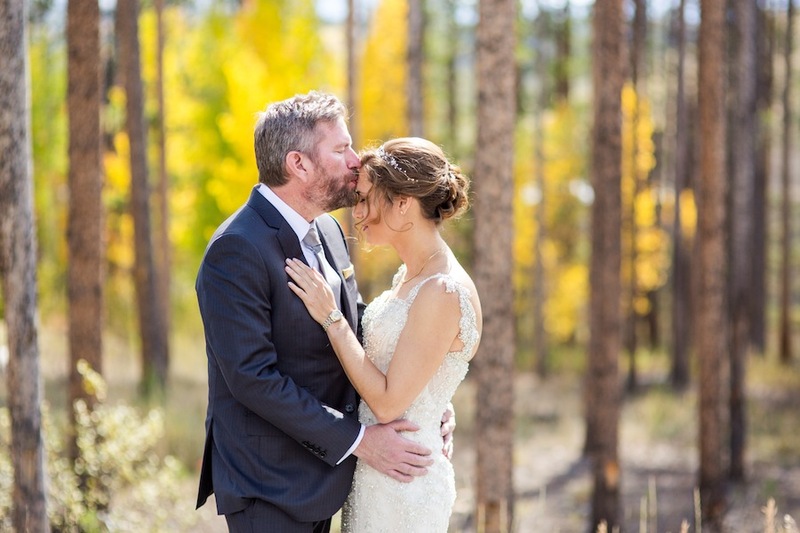 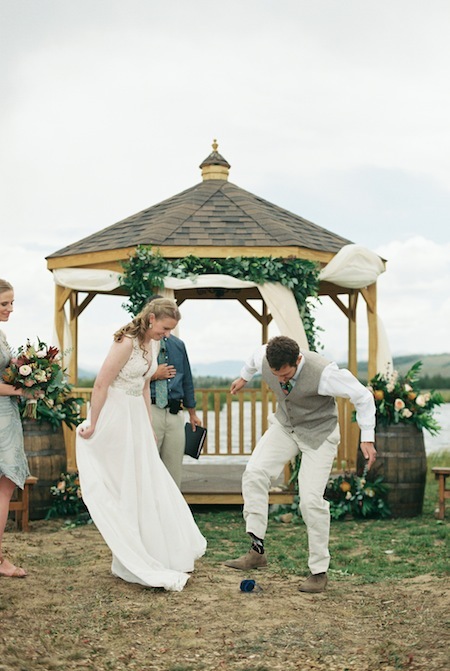 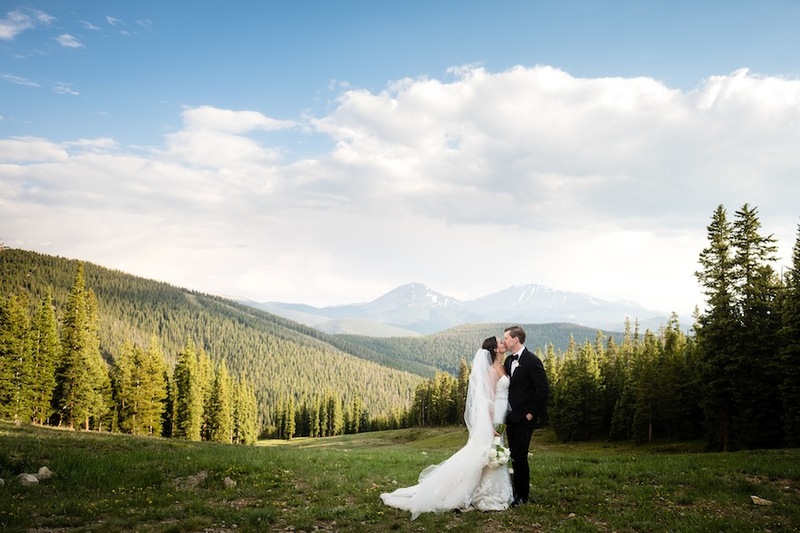 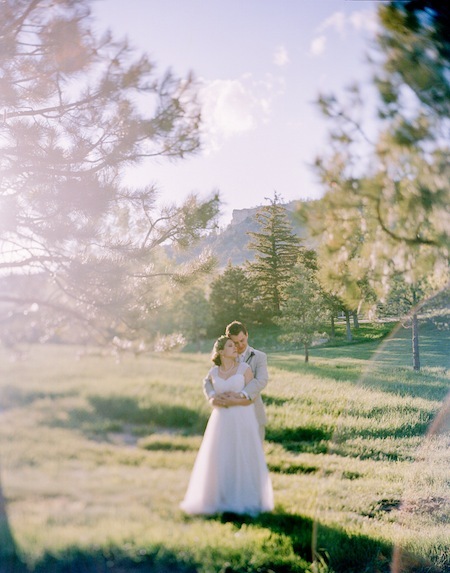 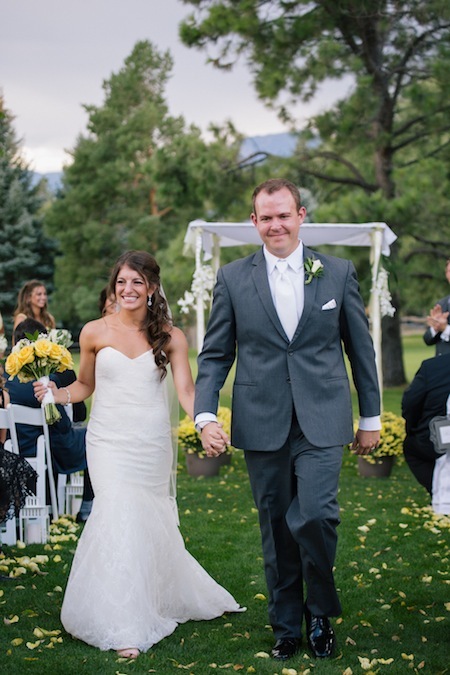 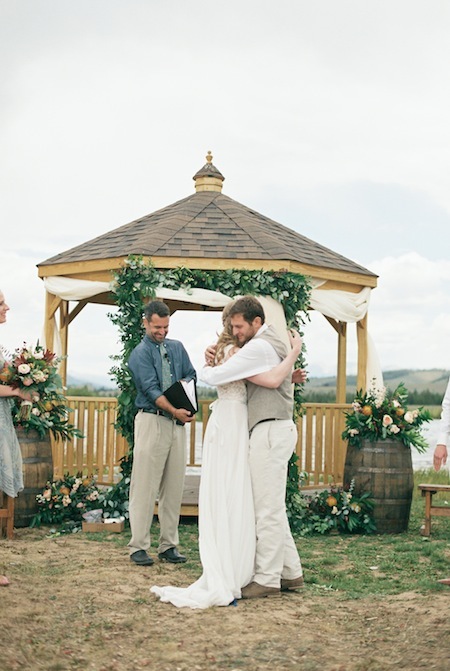 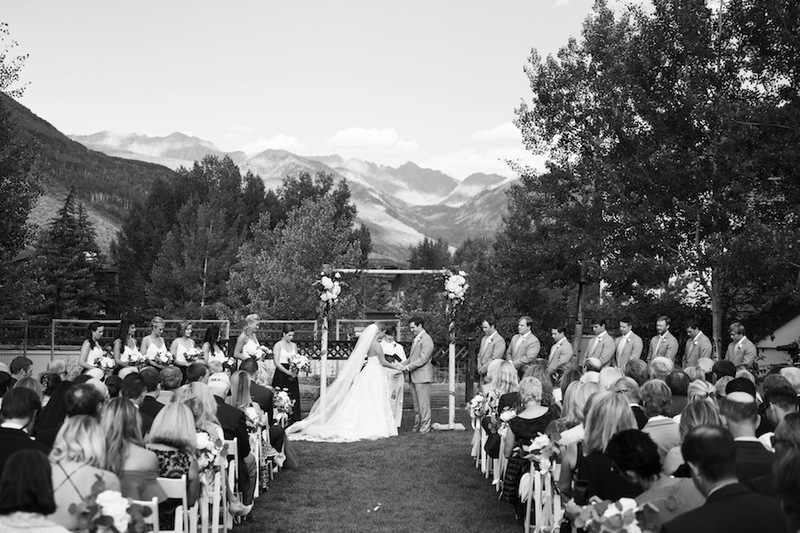 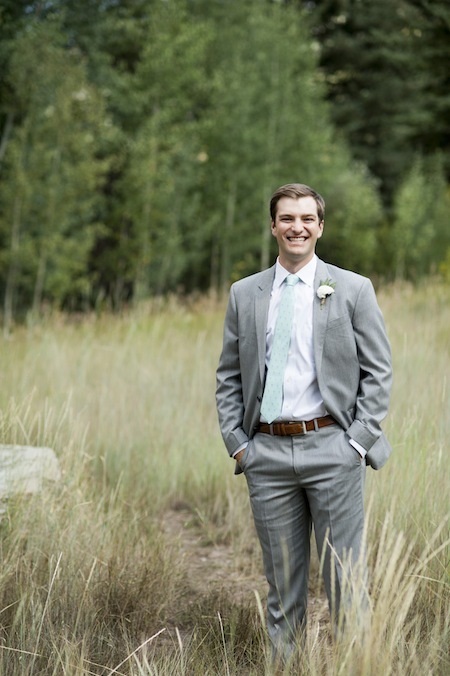 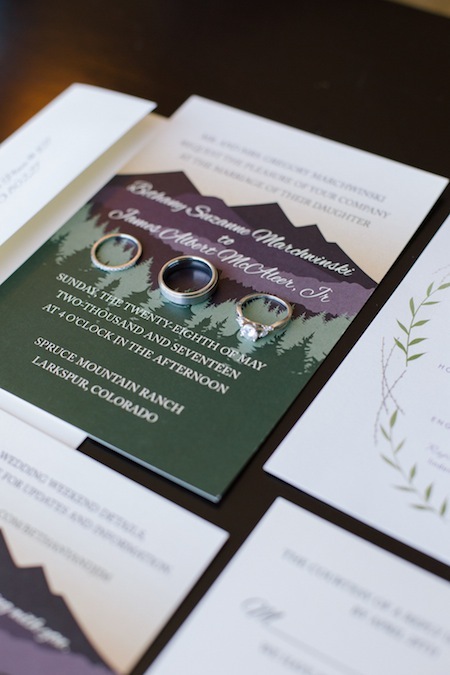 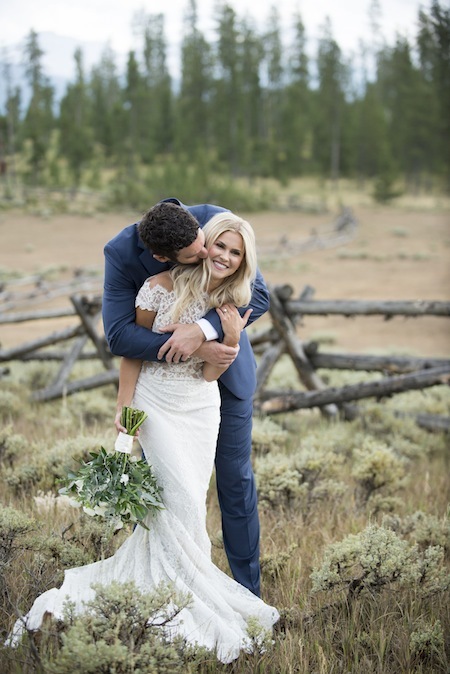 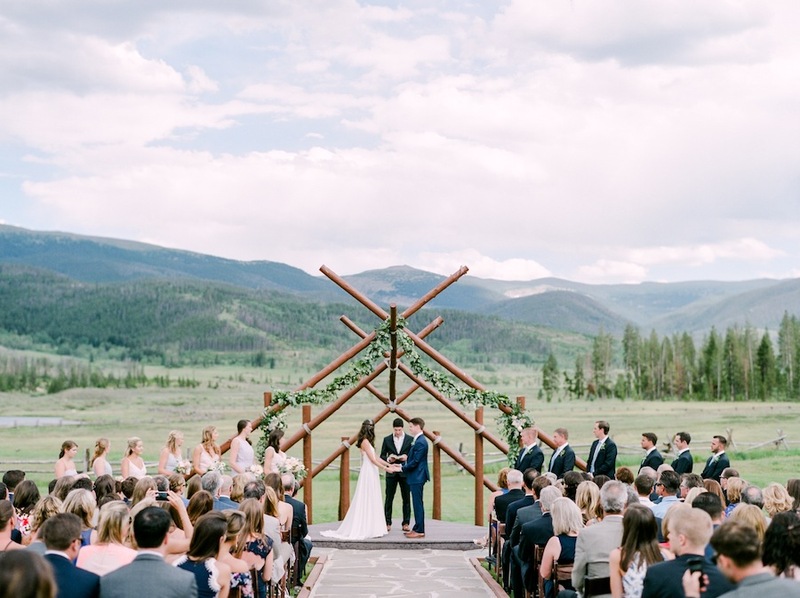 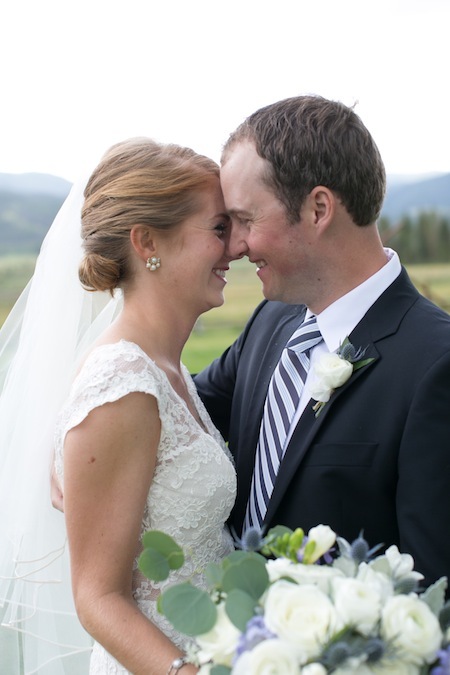 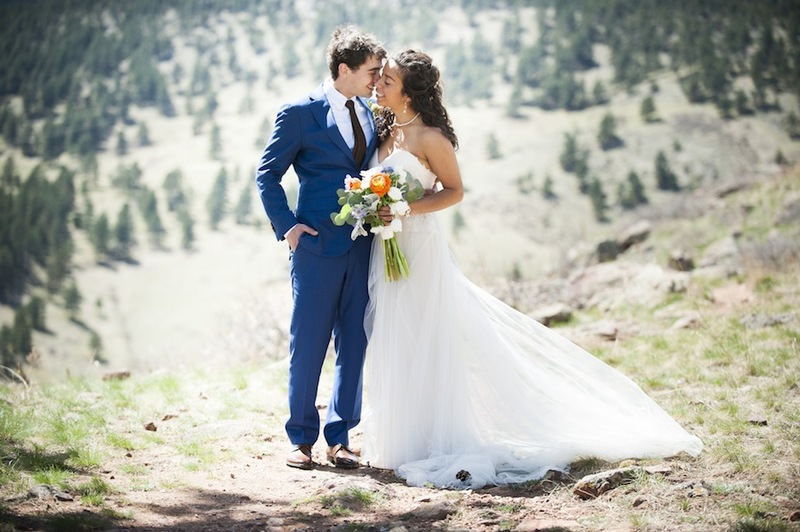 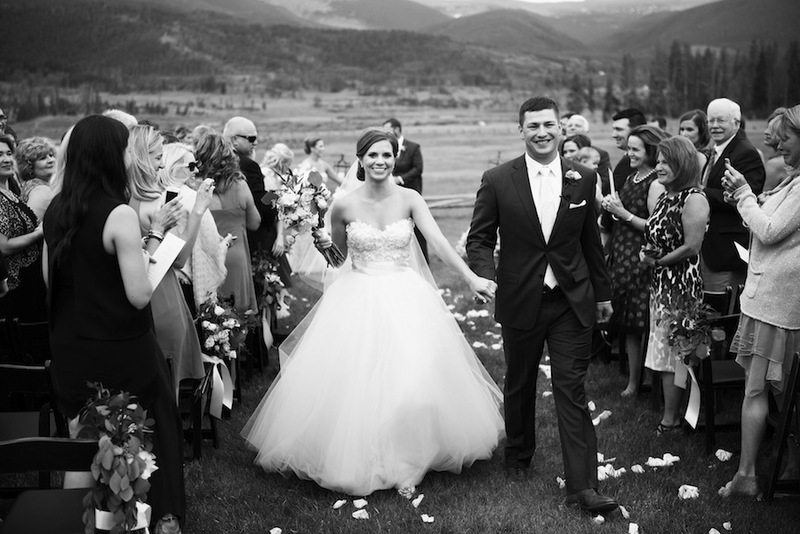 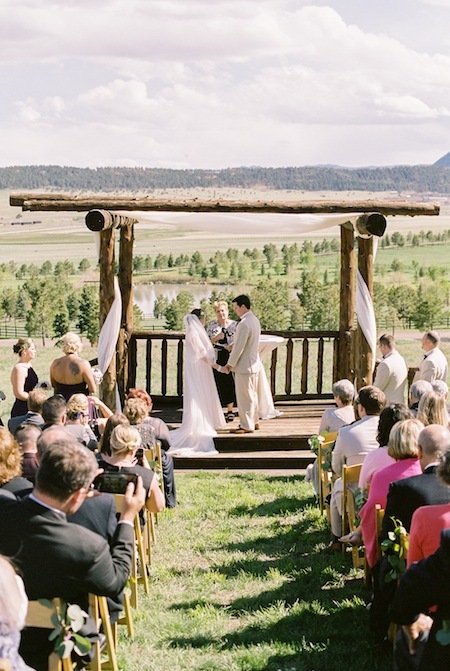 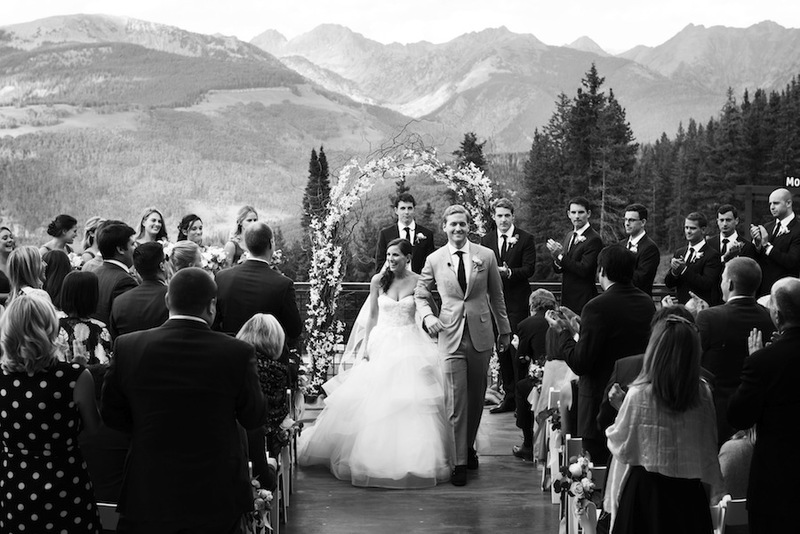 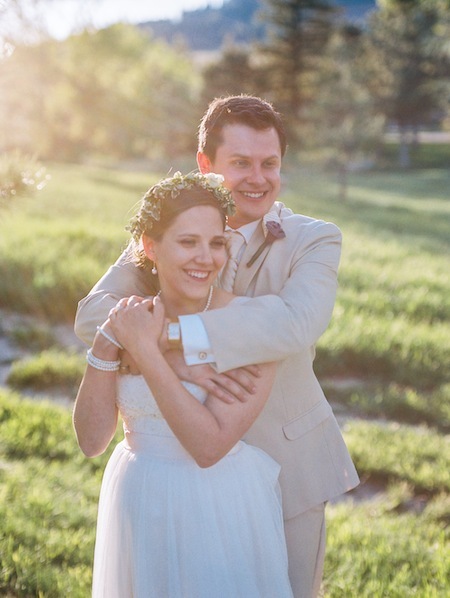 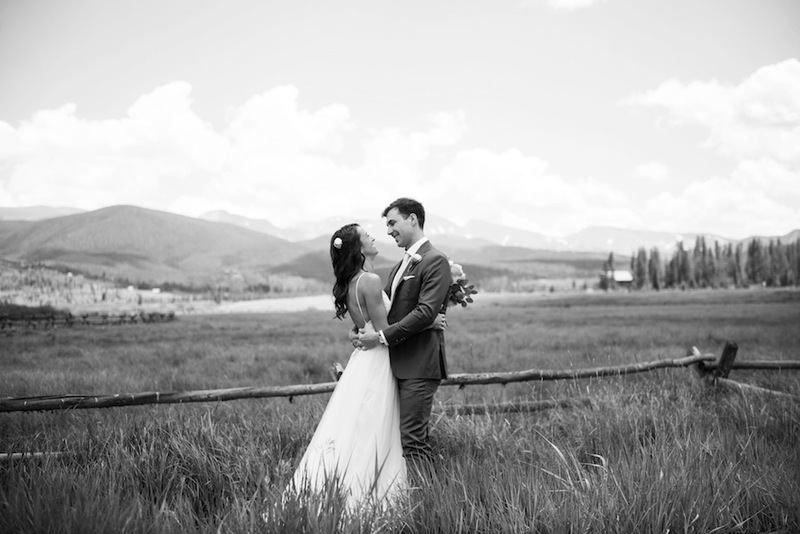 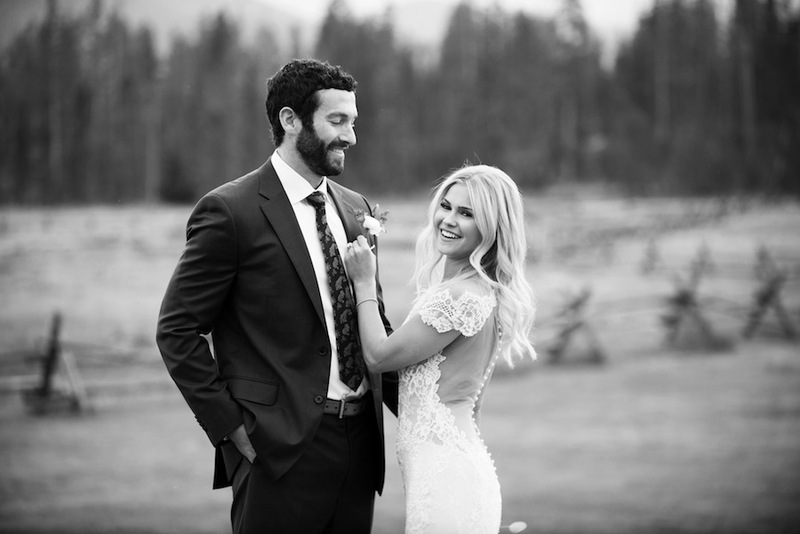 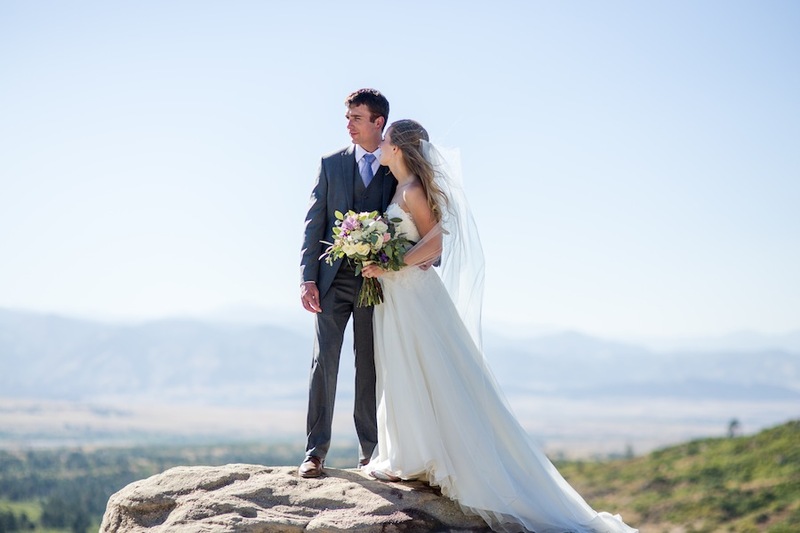 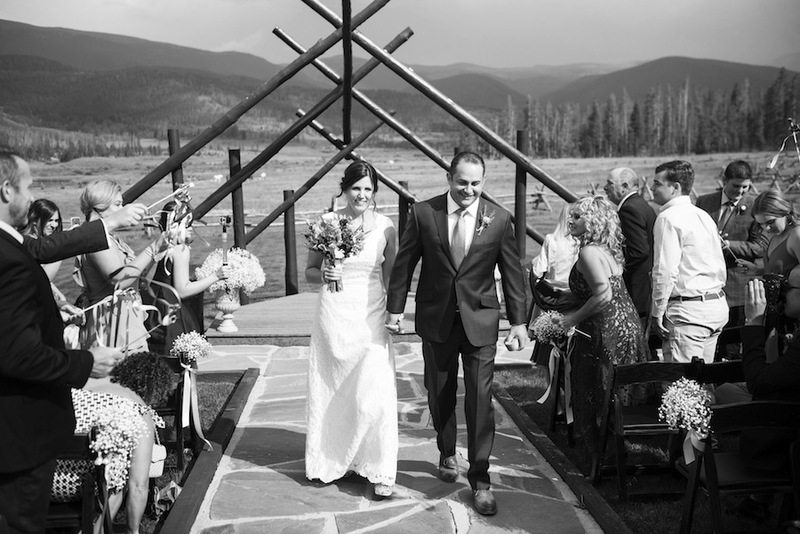 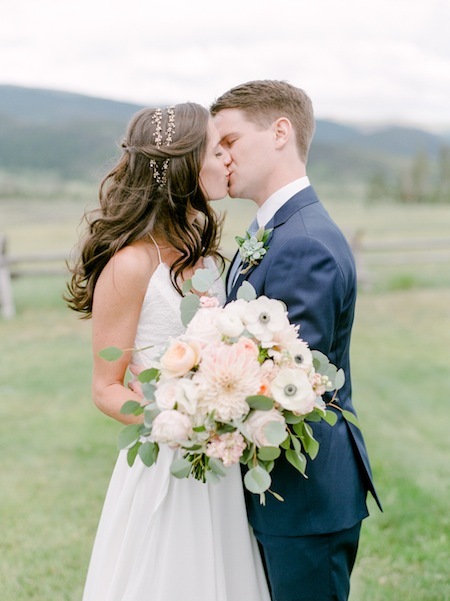 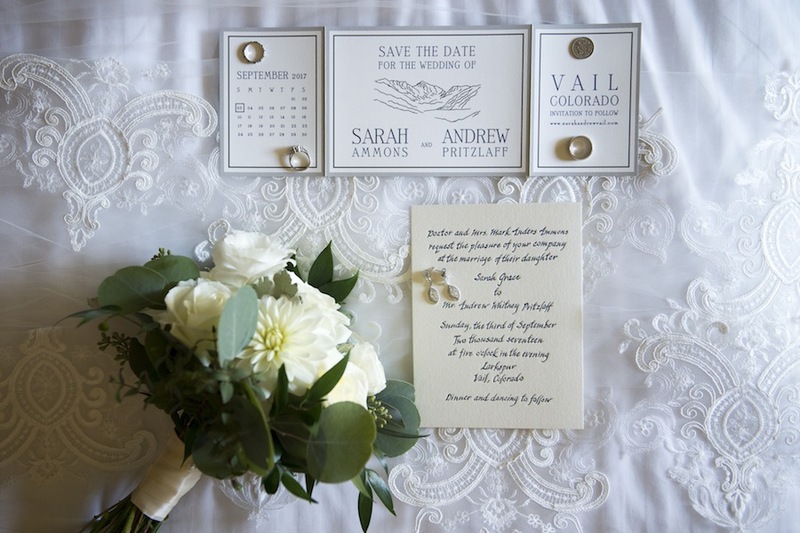 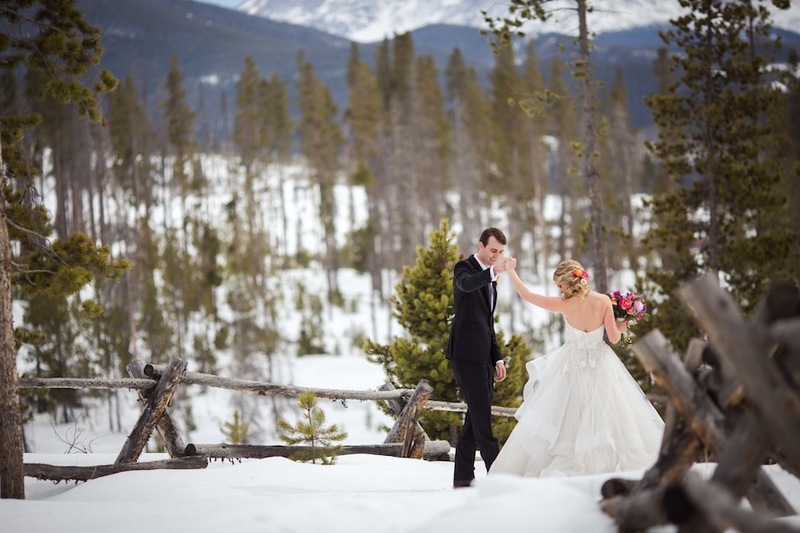 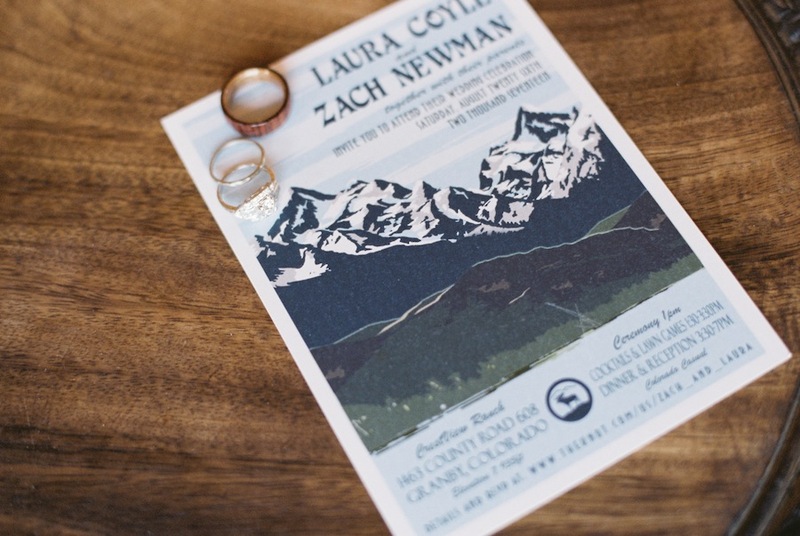 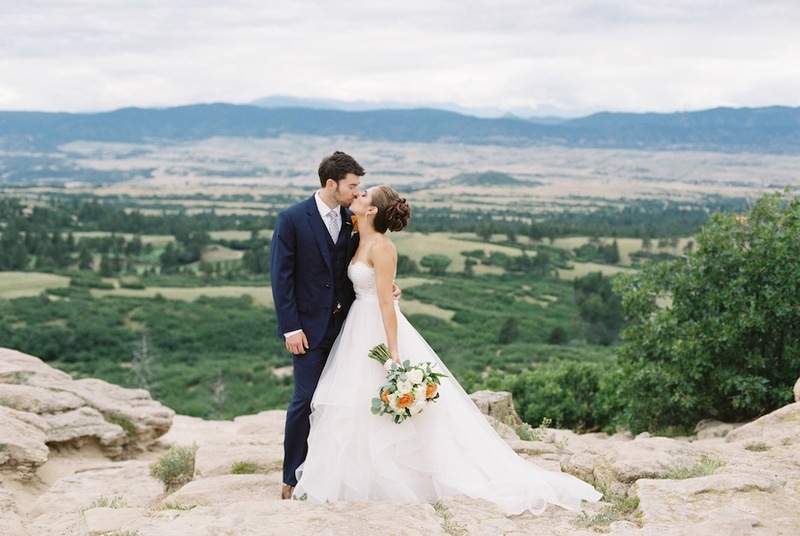 Sarah + Andrew committed to forever right amidst the heart of the Rocky Mountains and their closest family and friends. 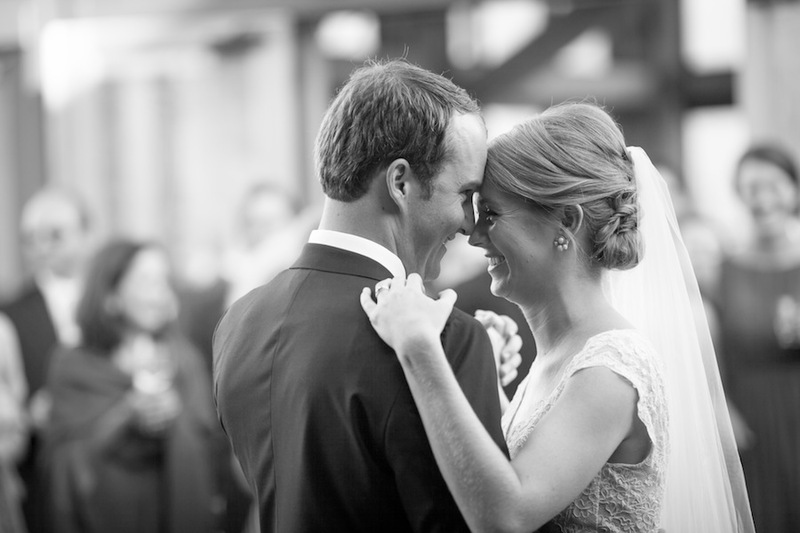 Every aspect of their day was full of love and joy, two beautiful components of marriage. 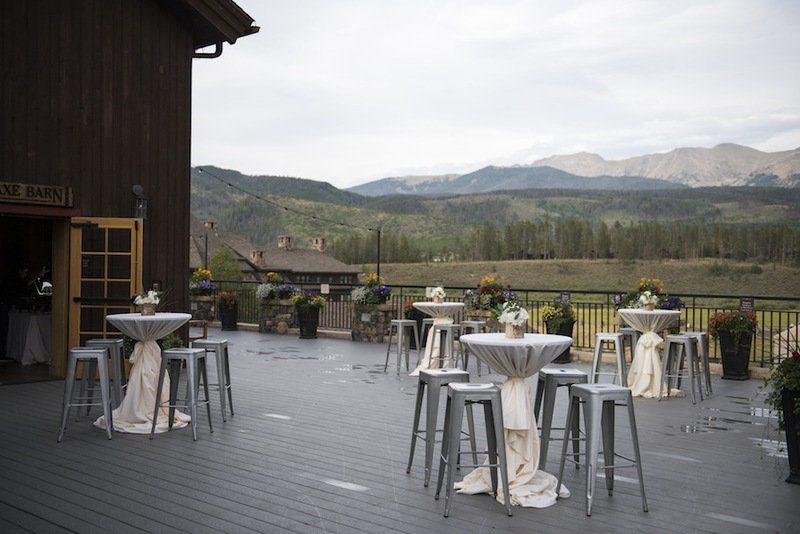 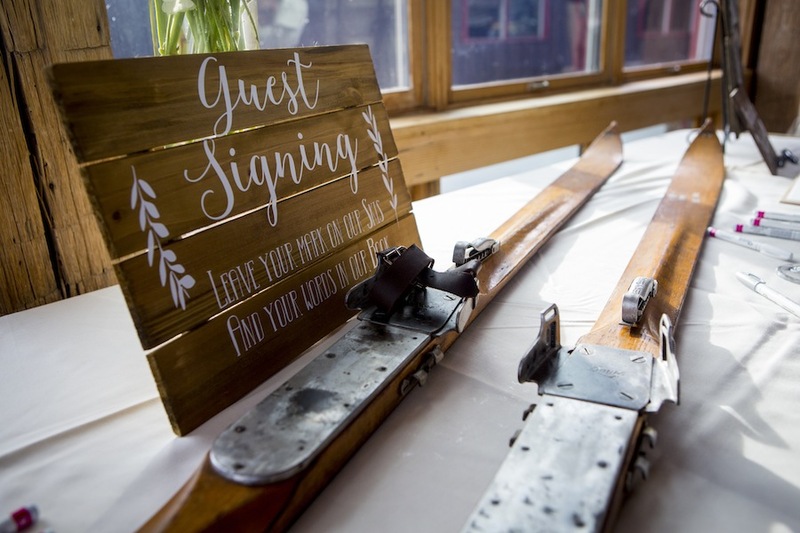 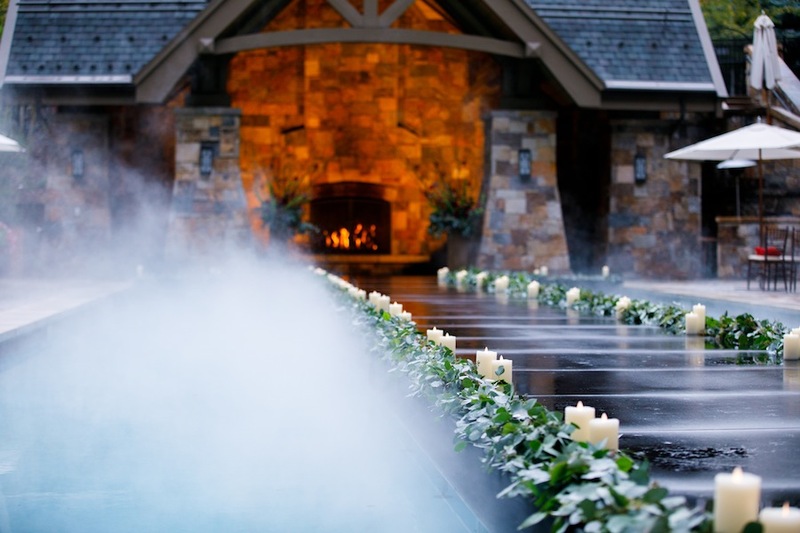 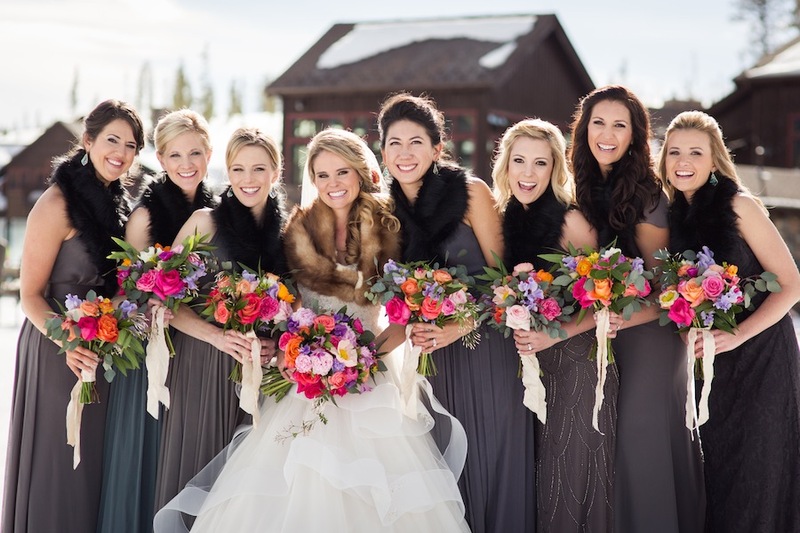 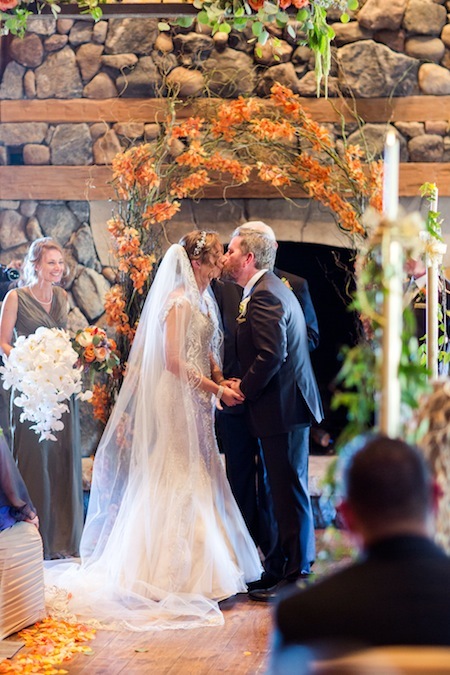 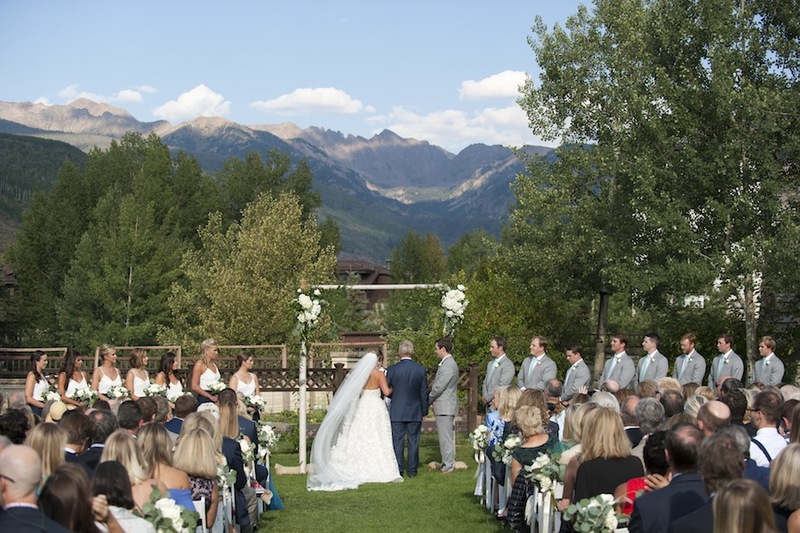 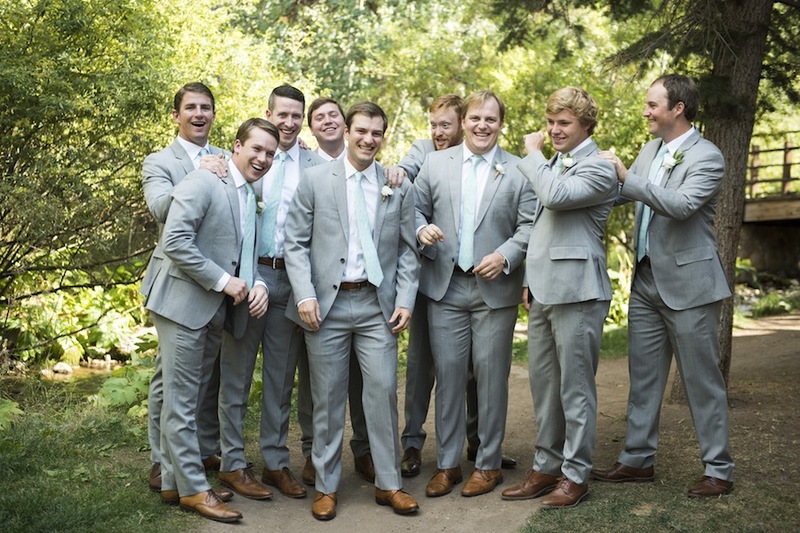 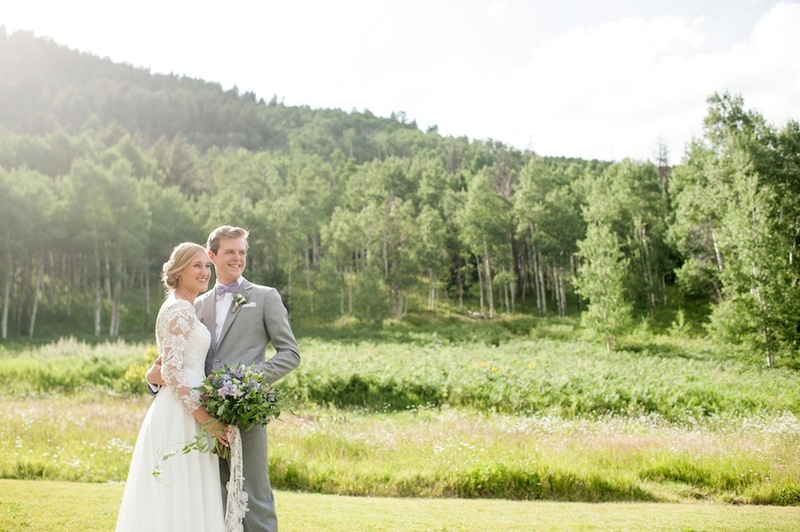 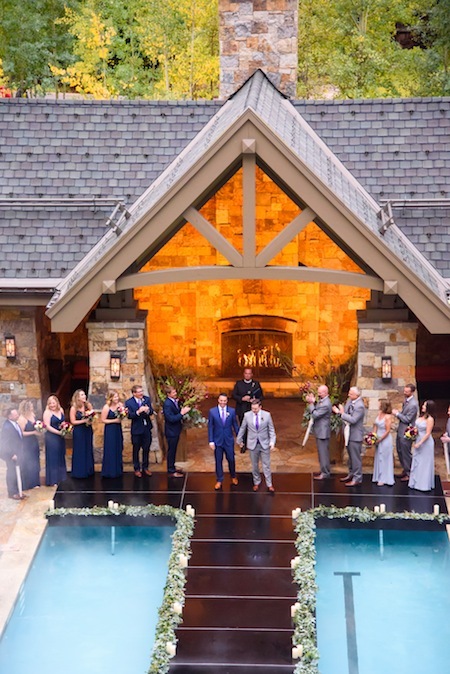 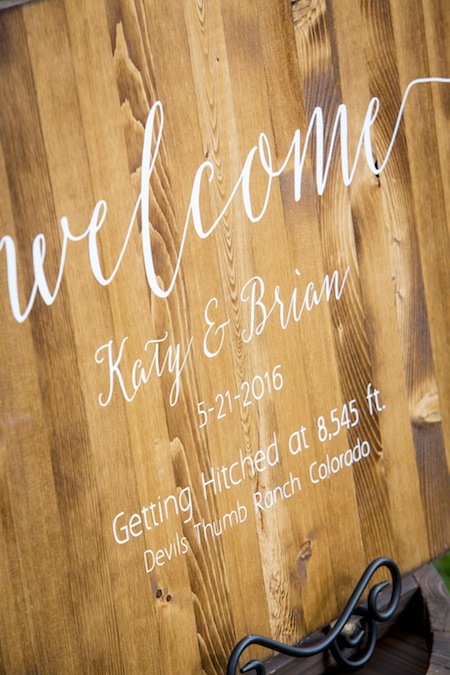 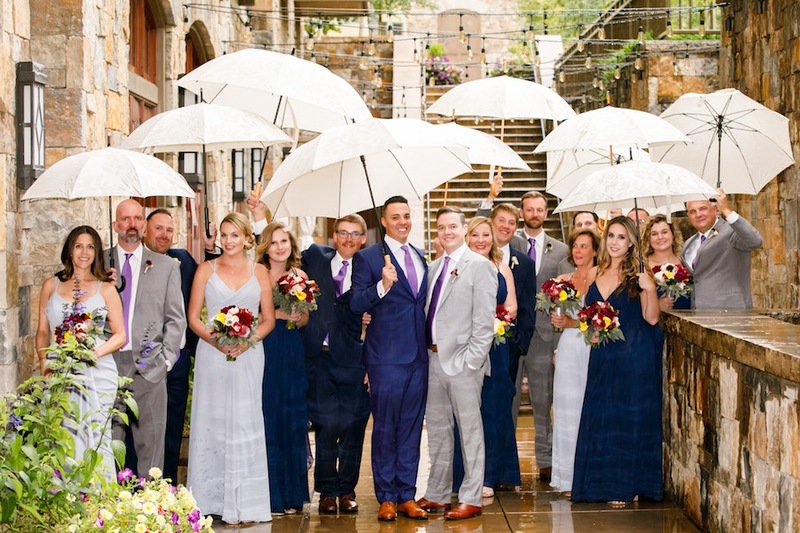 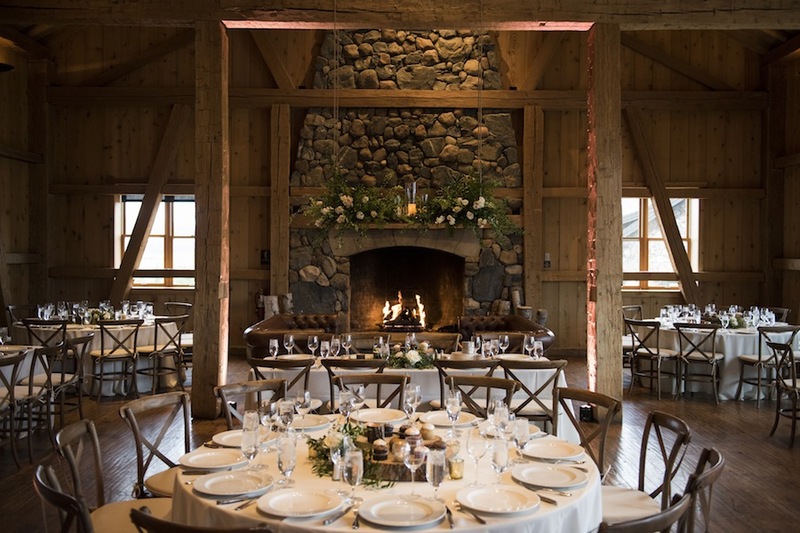 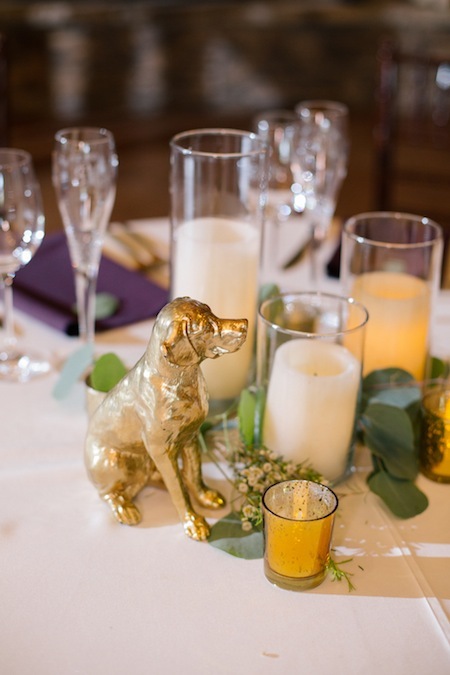 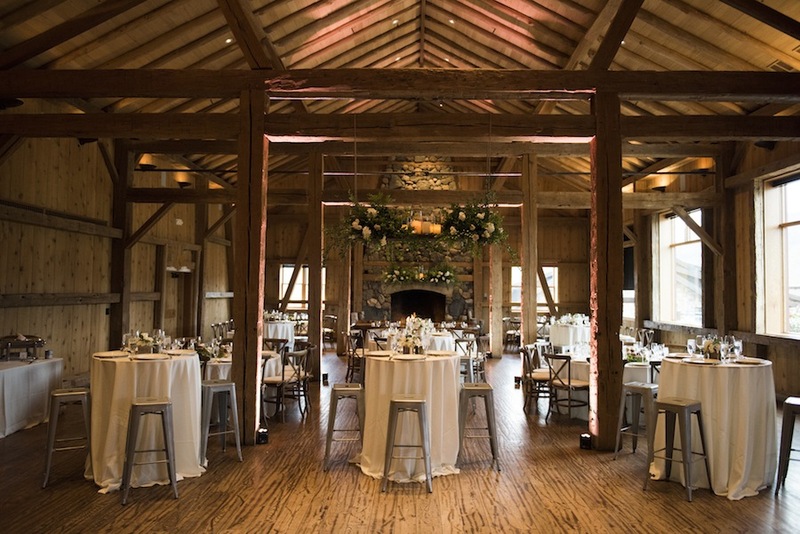 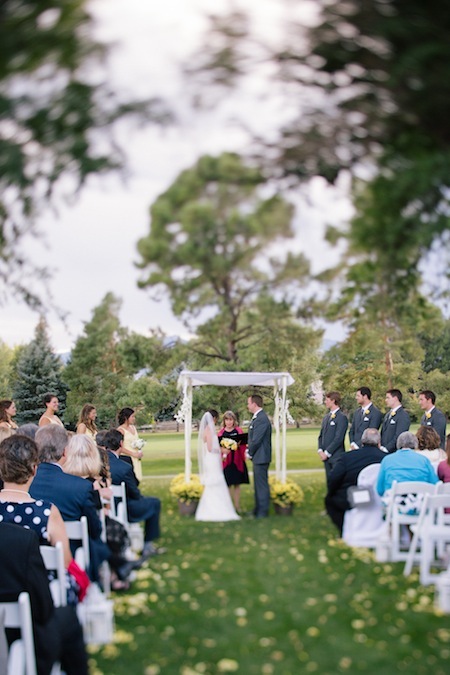 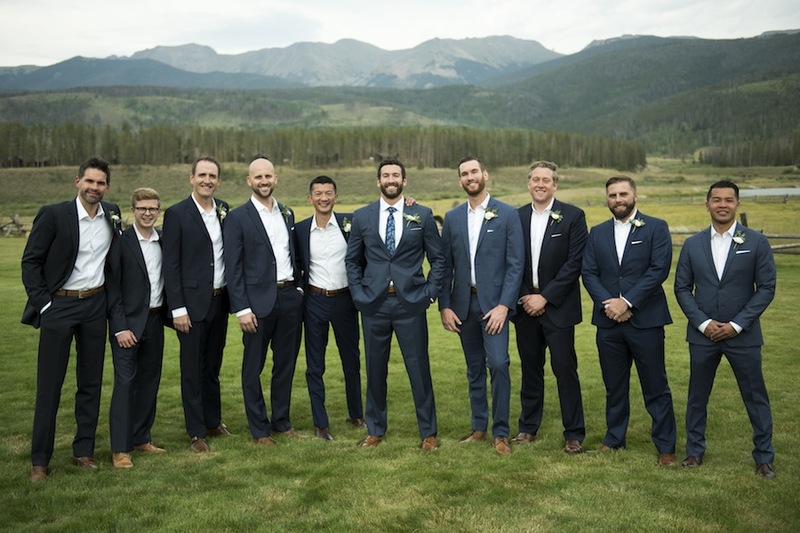 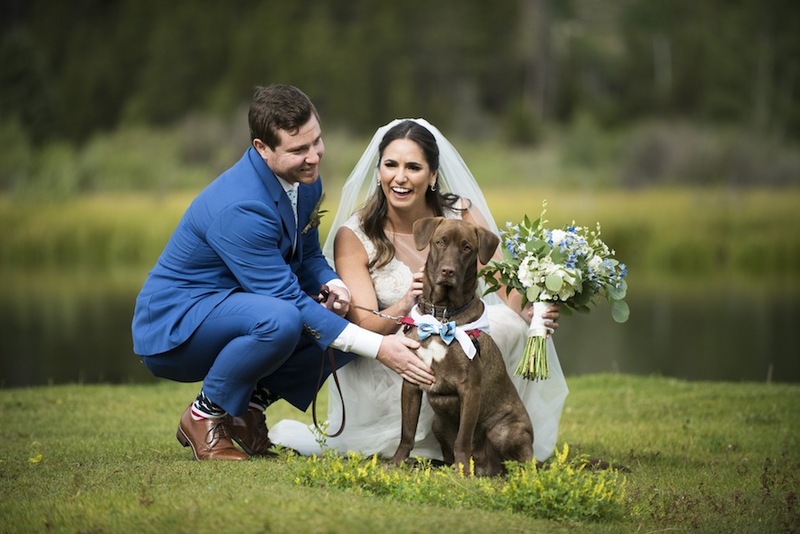 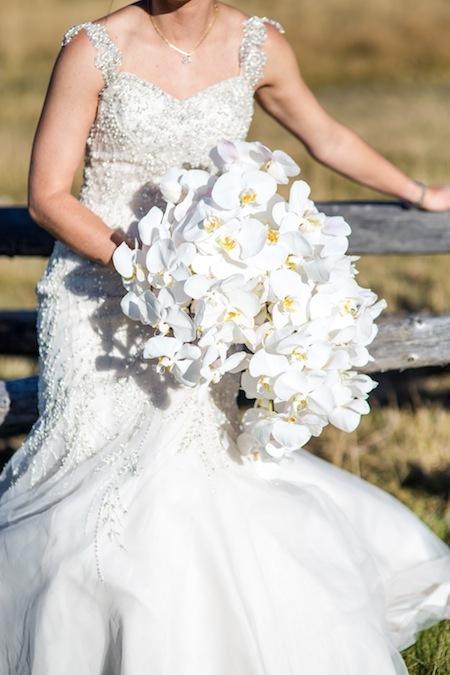 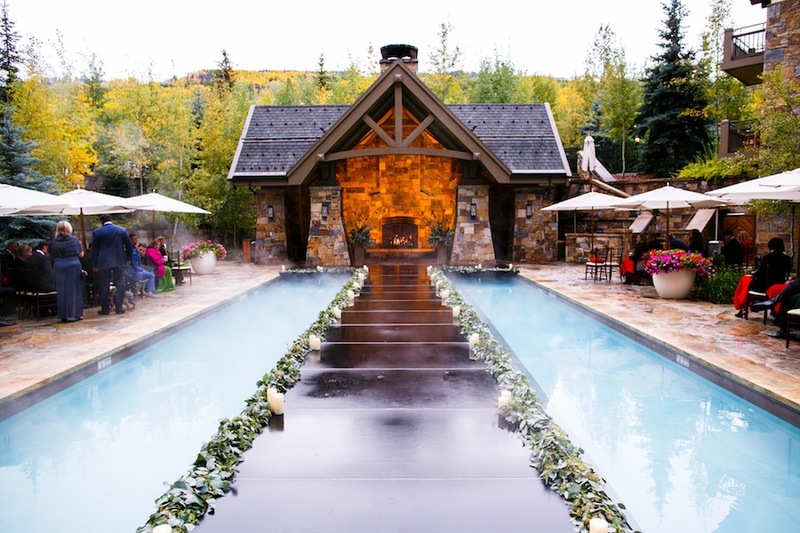 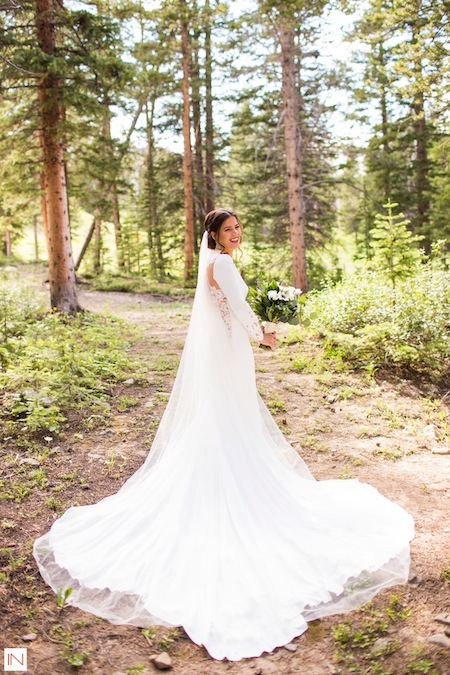 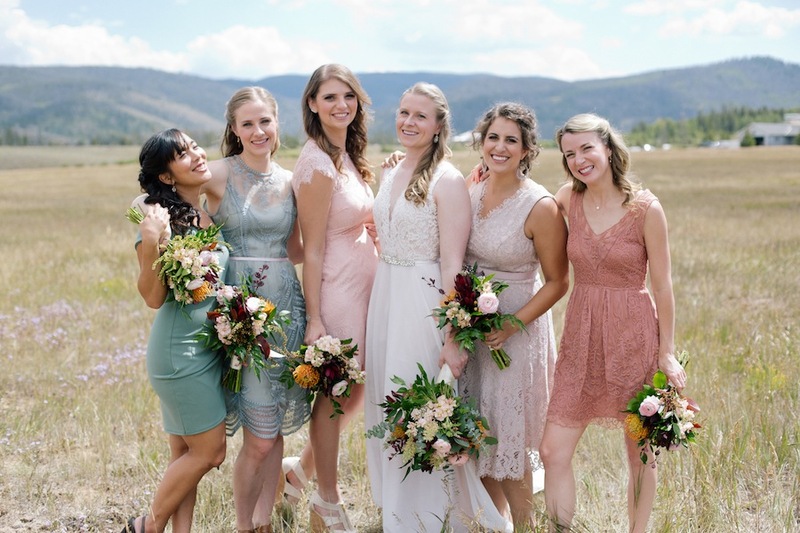 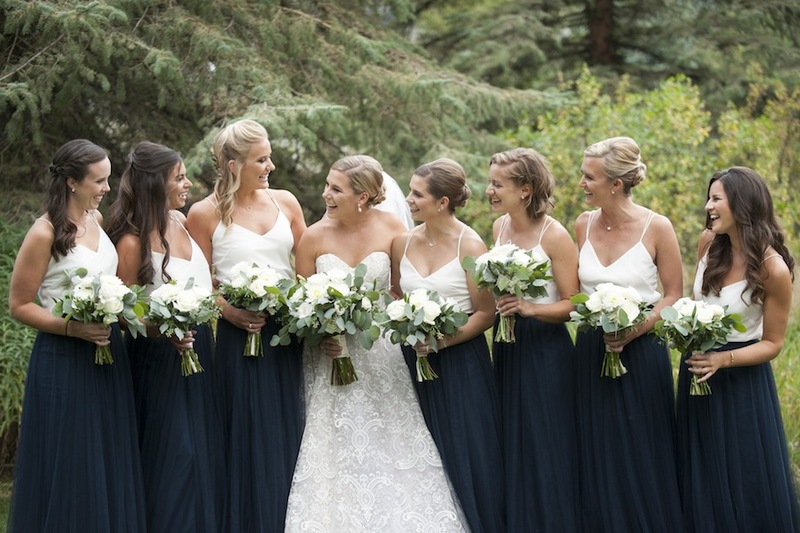 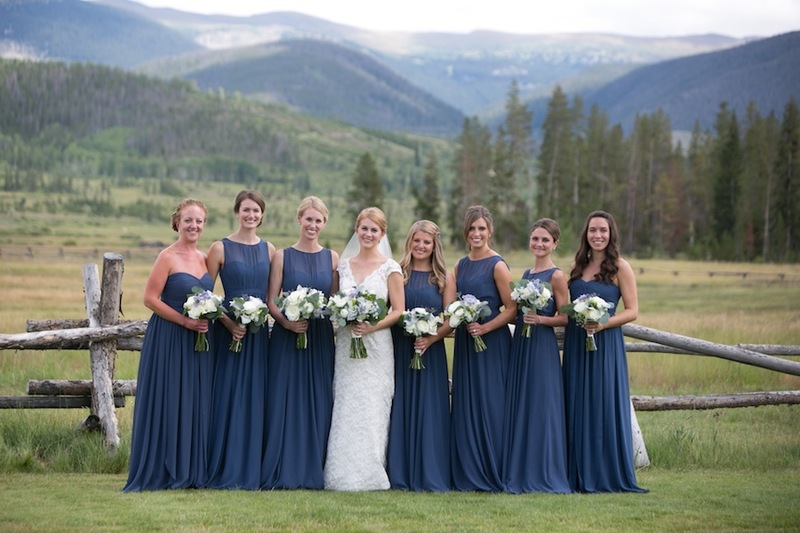 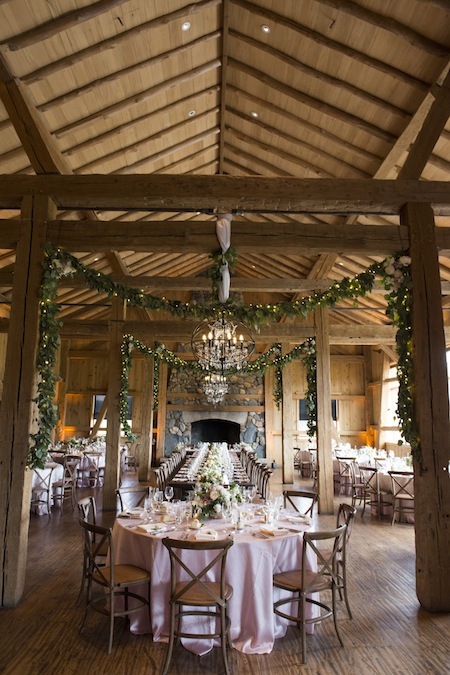 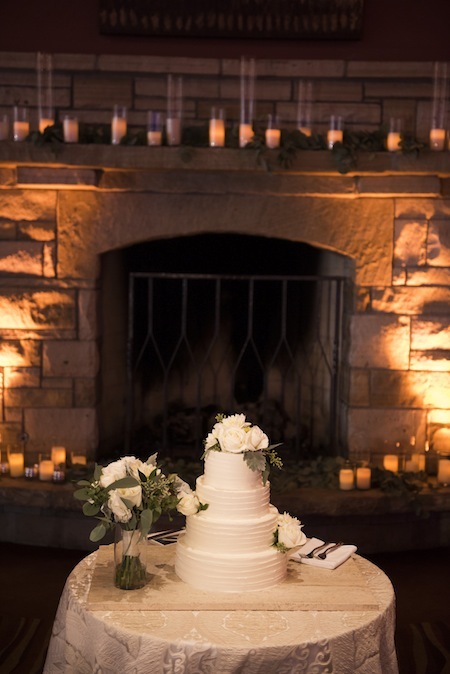 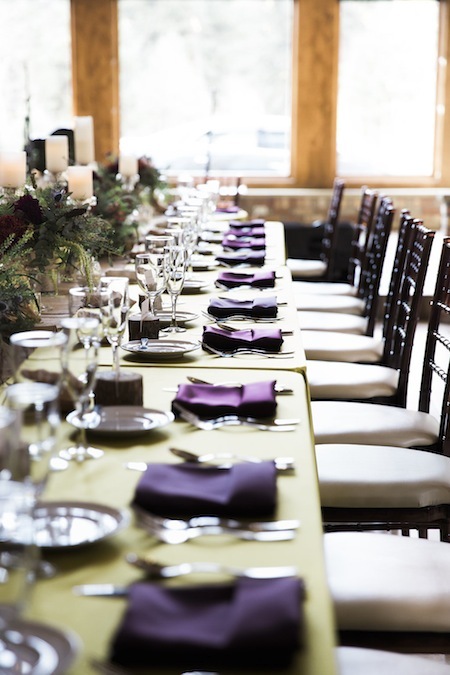 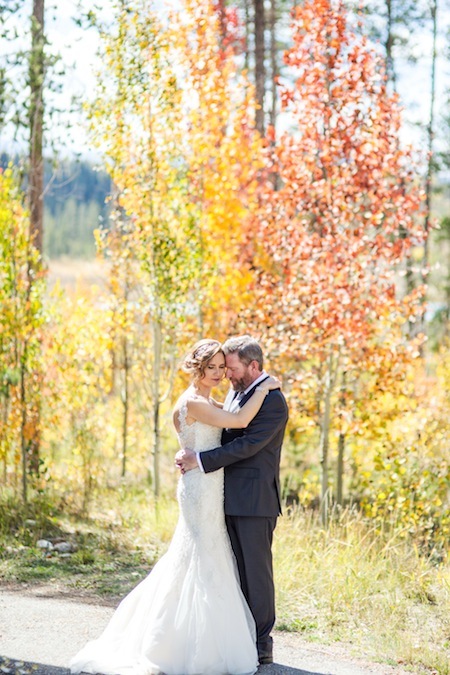 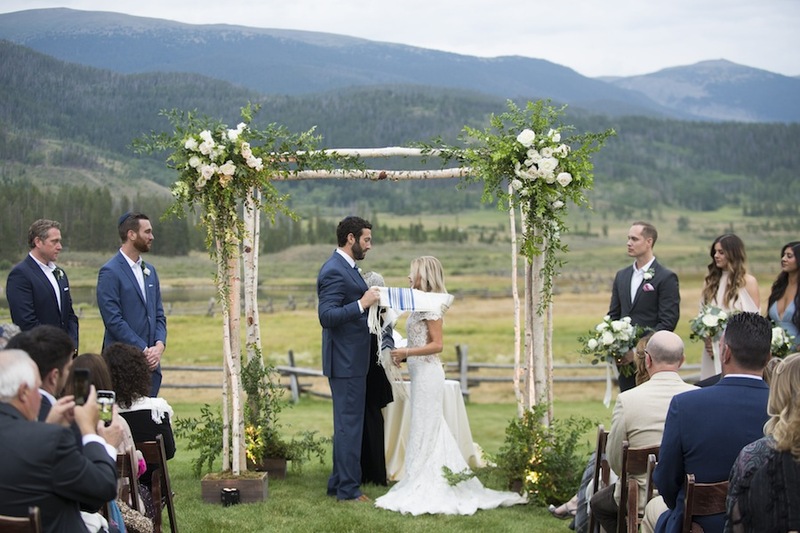 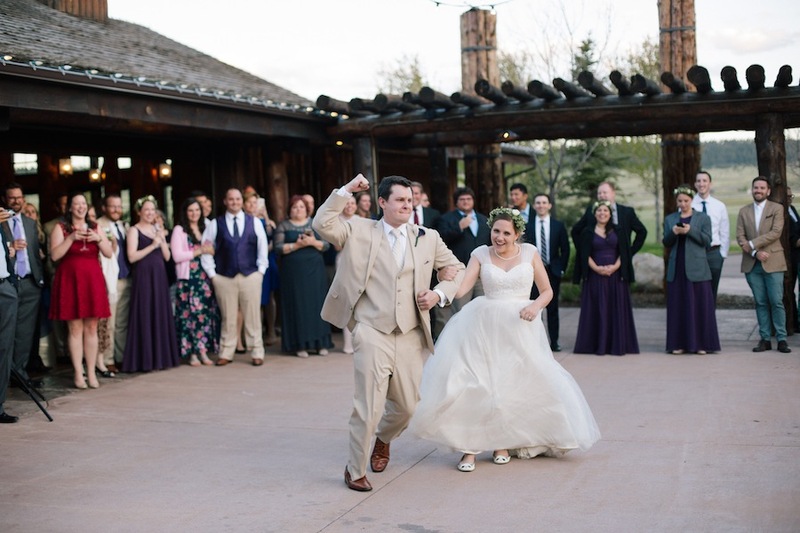 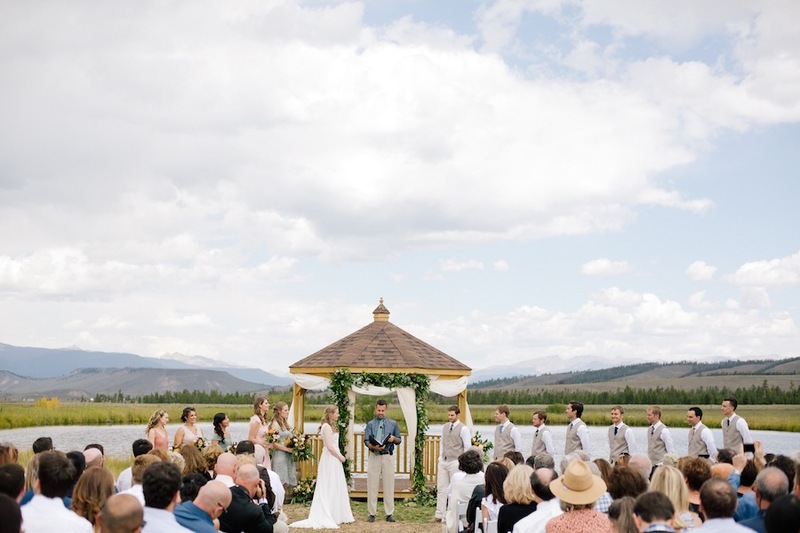 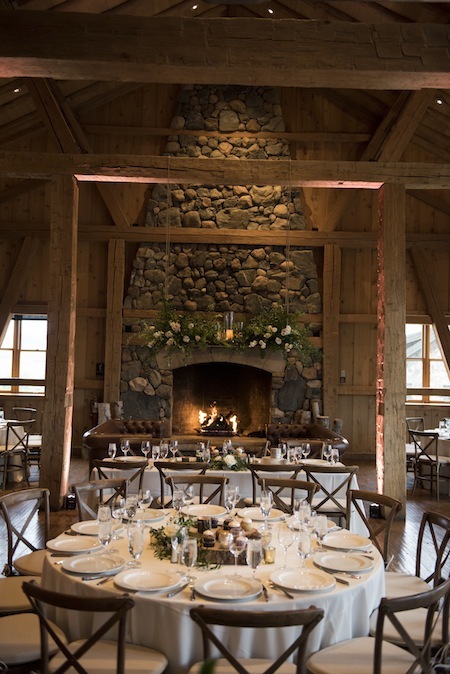 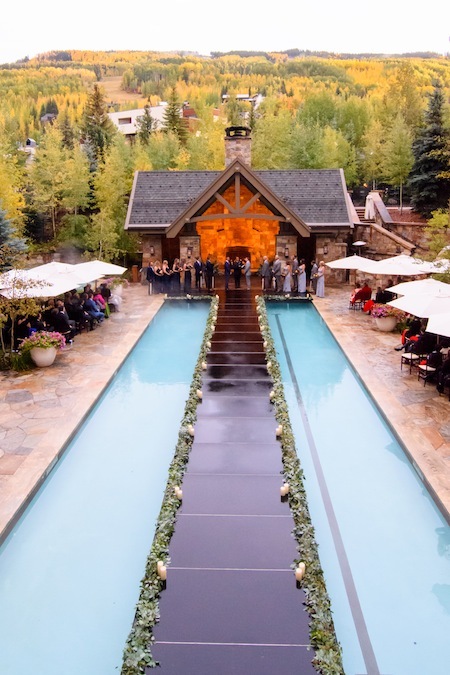 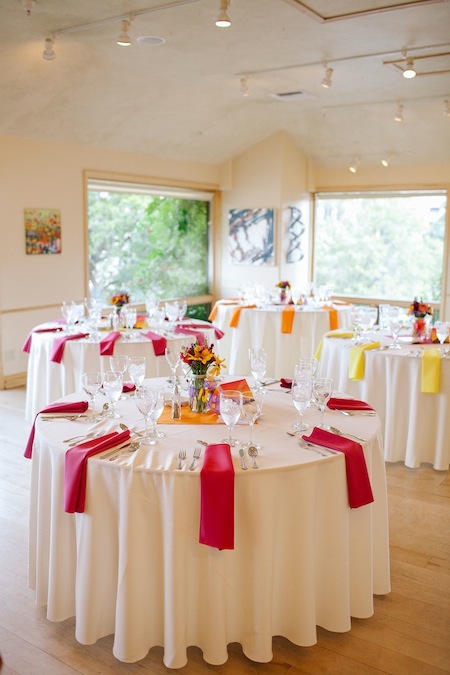 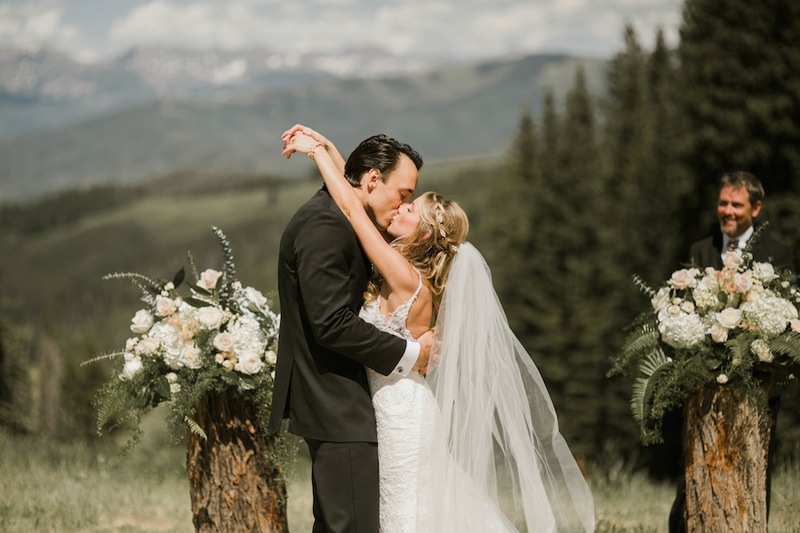 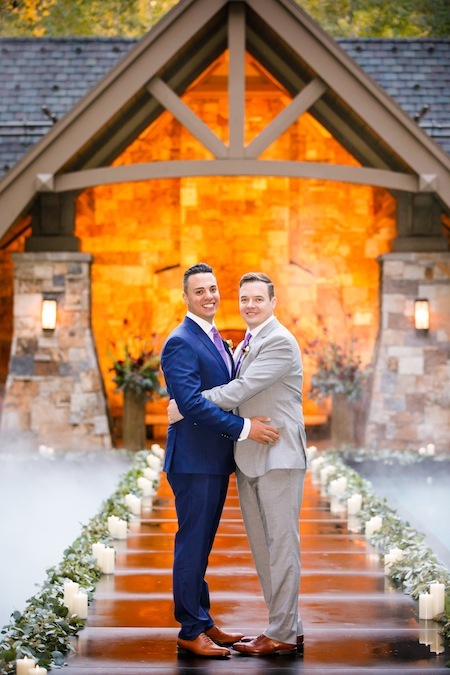 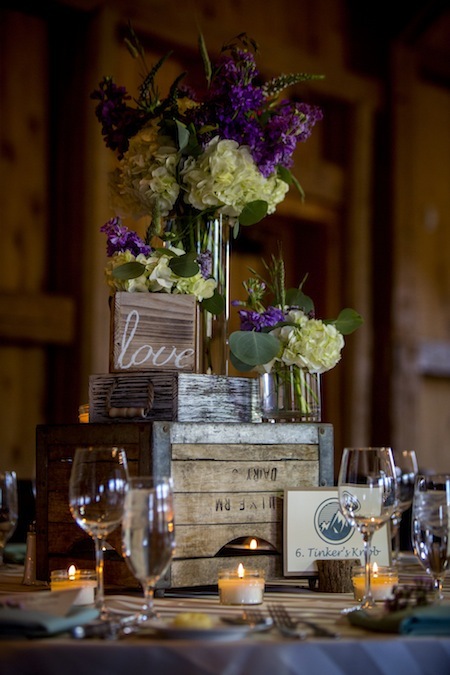 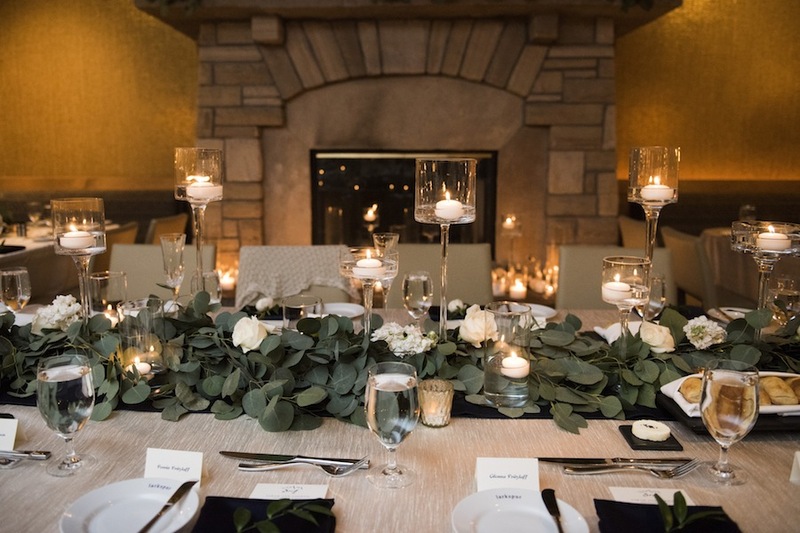 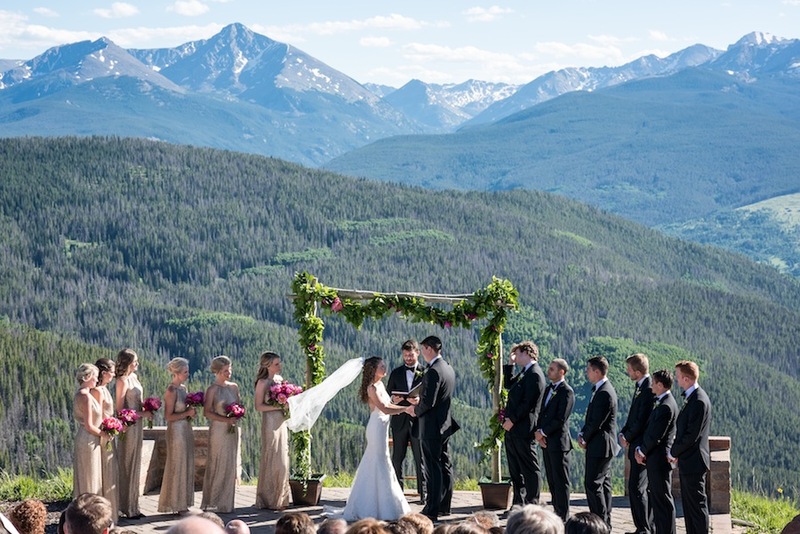 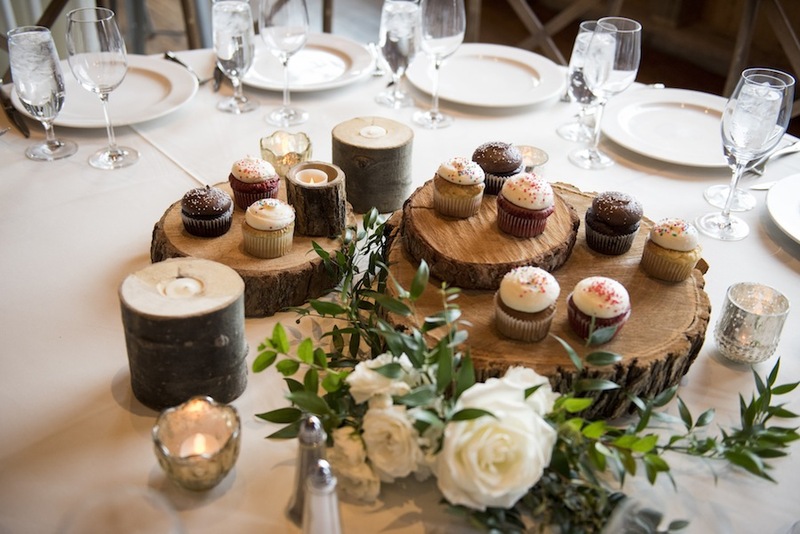 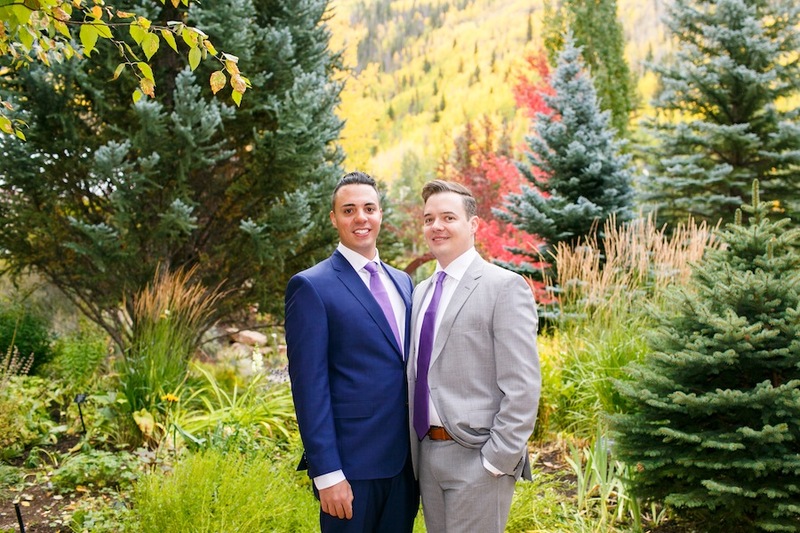 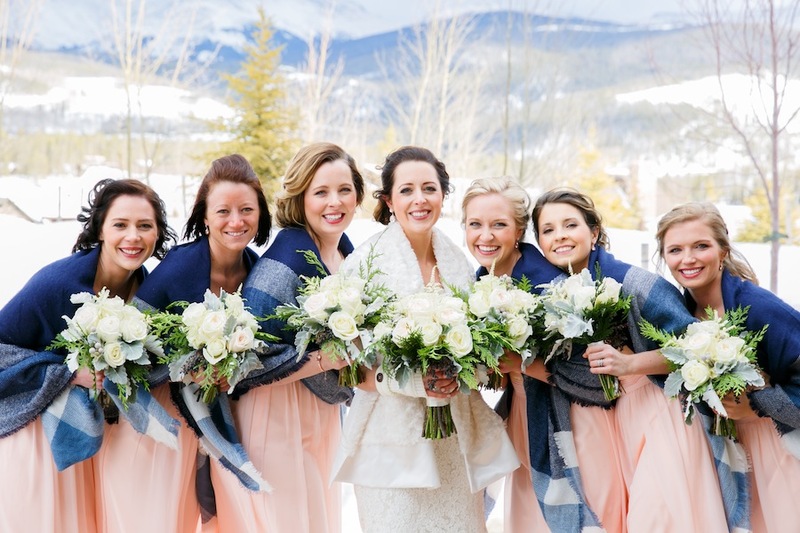 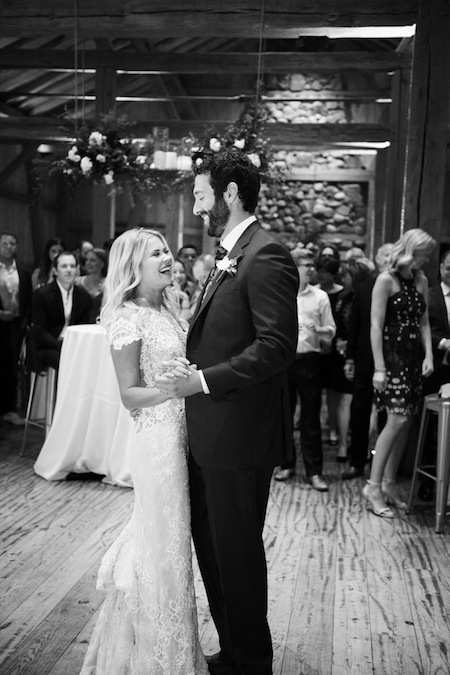 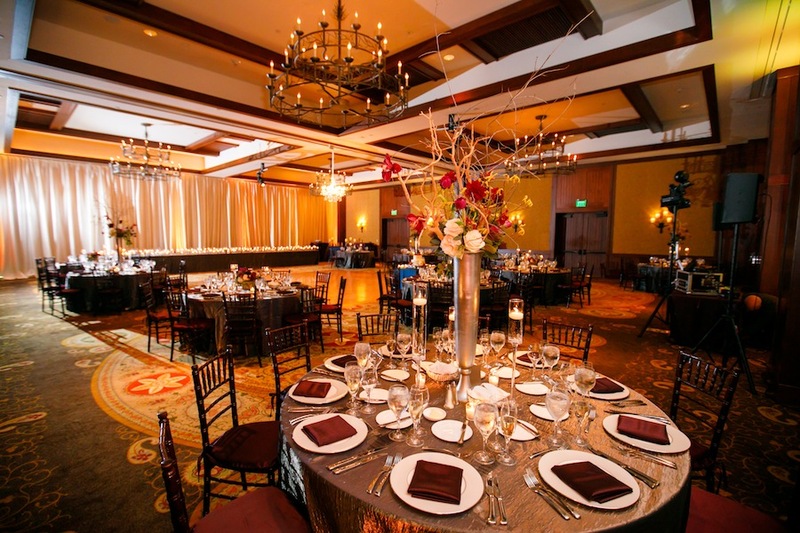 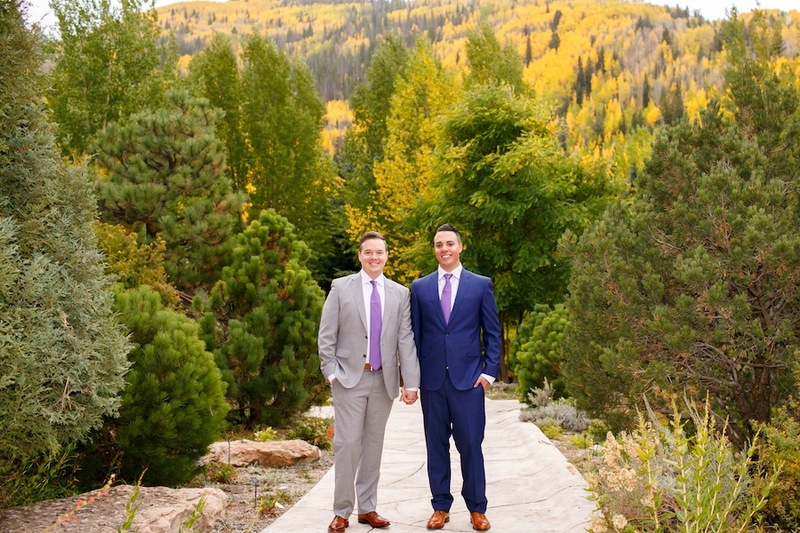 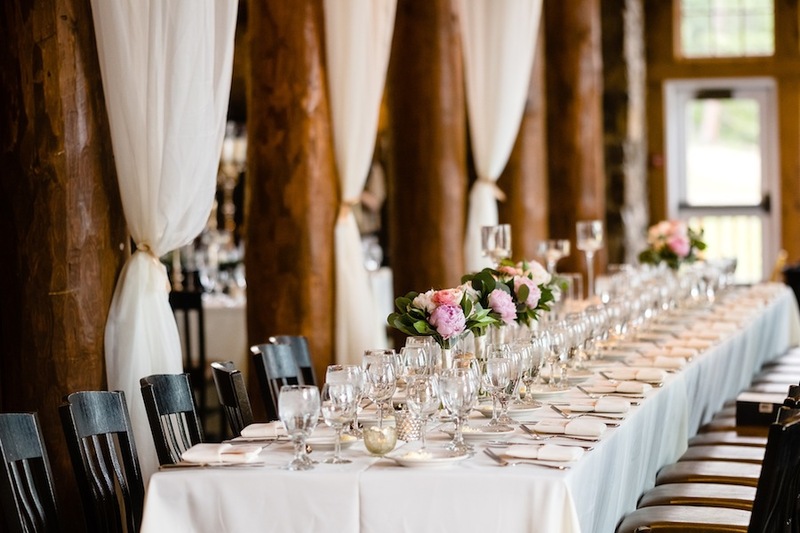 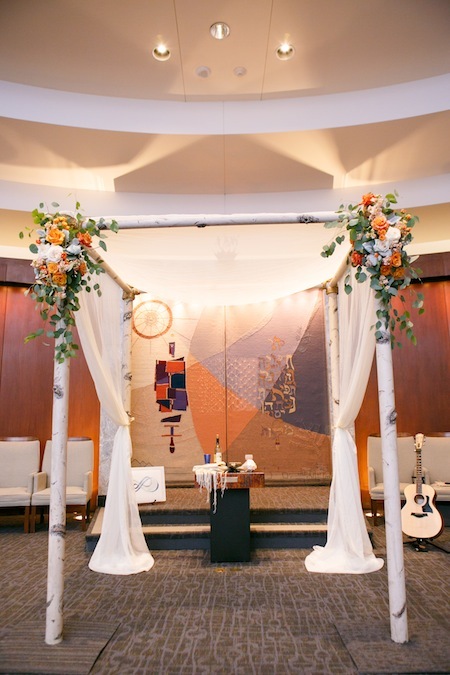 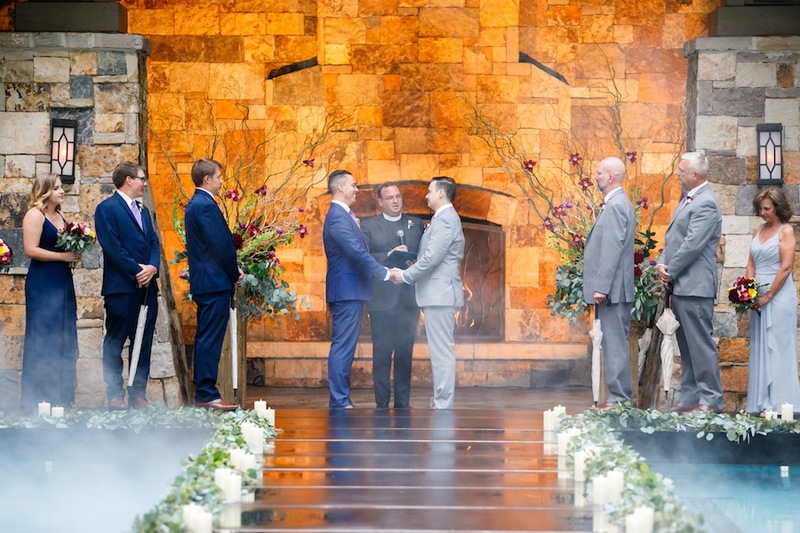 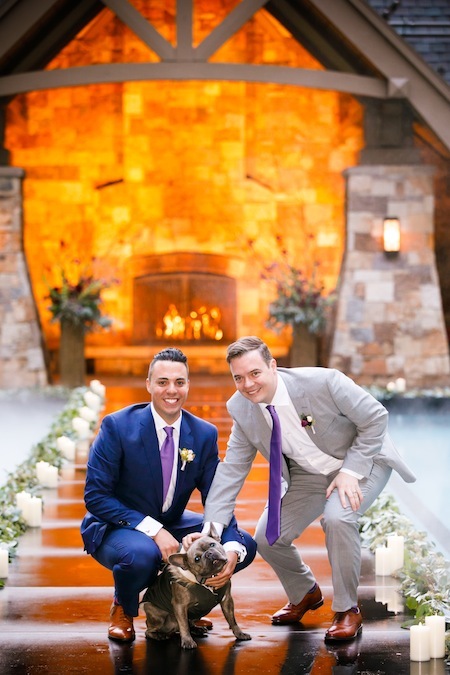 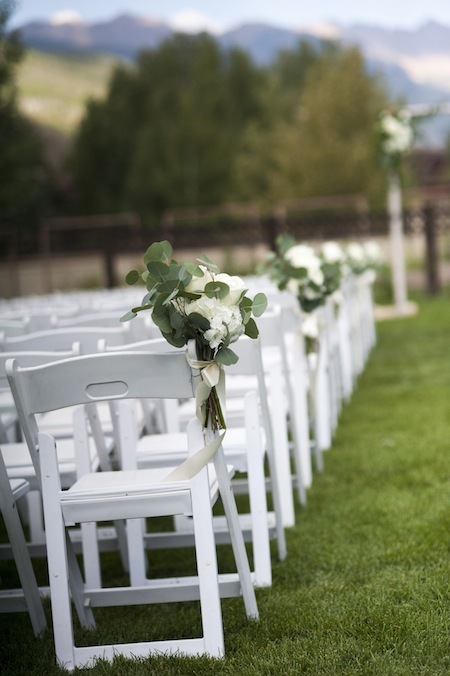 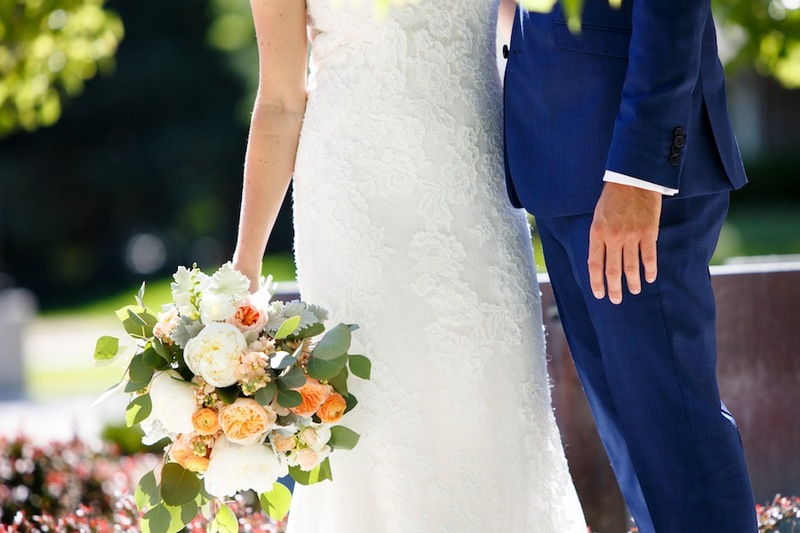 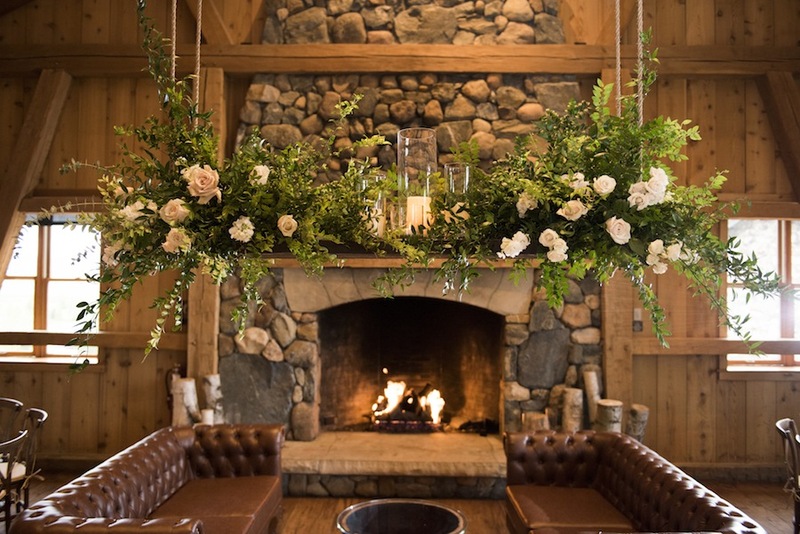 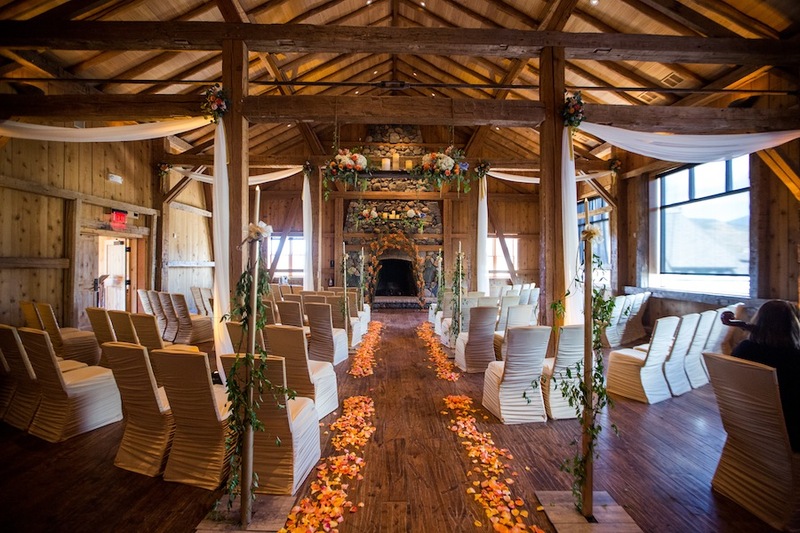 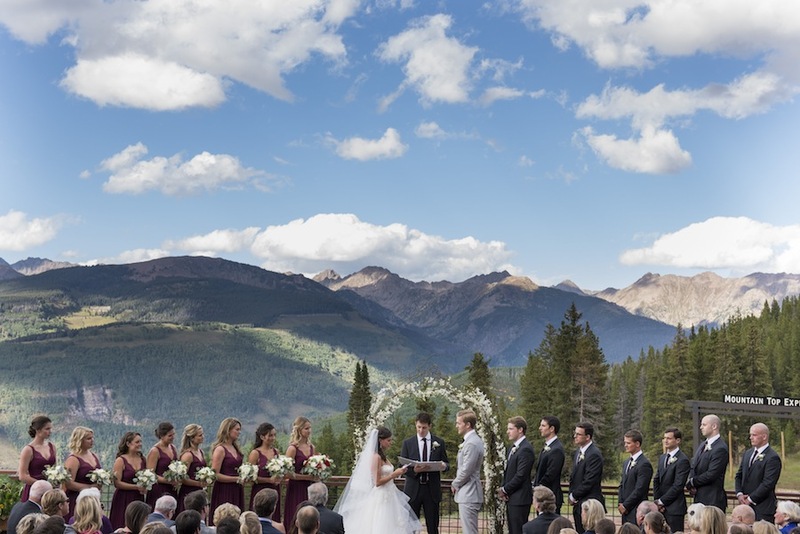 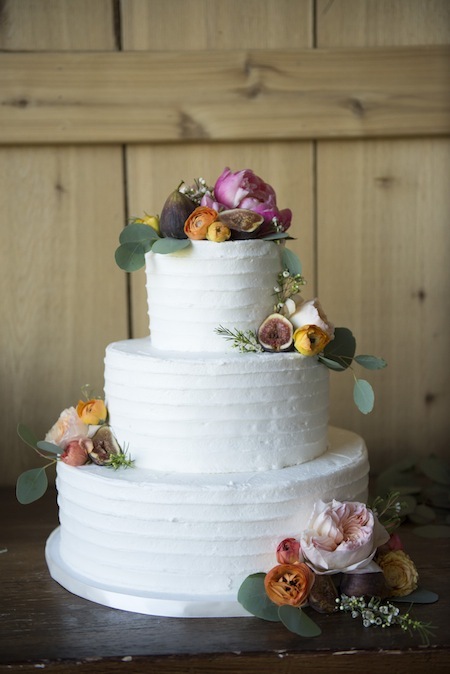 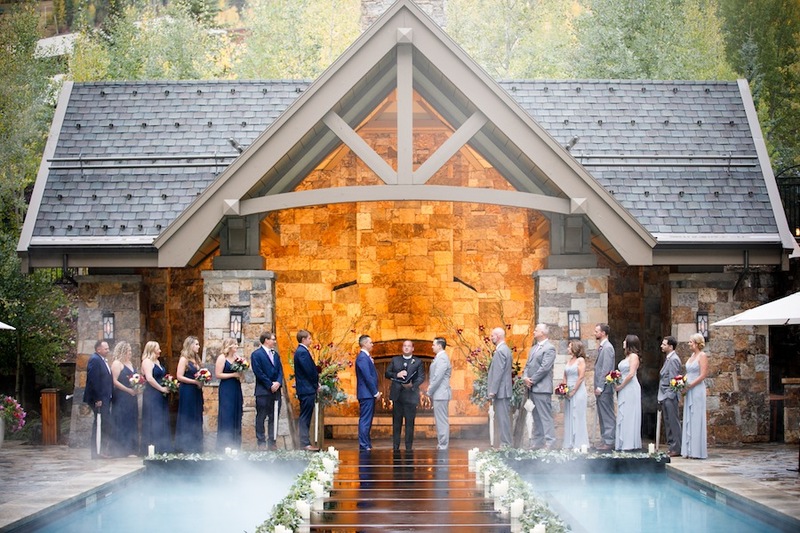 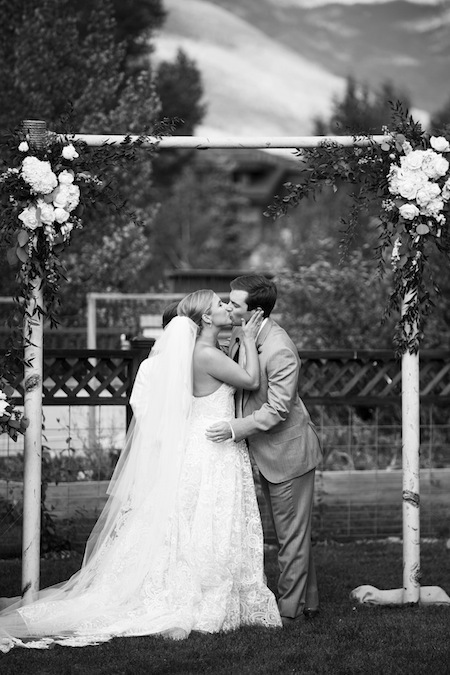 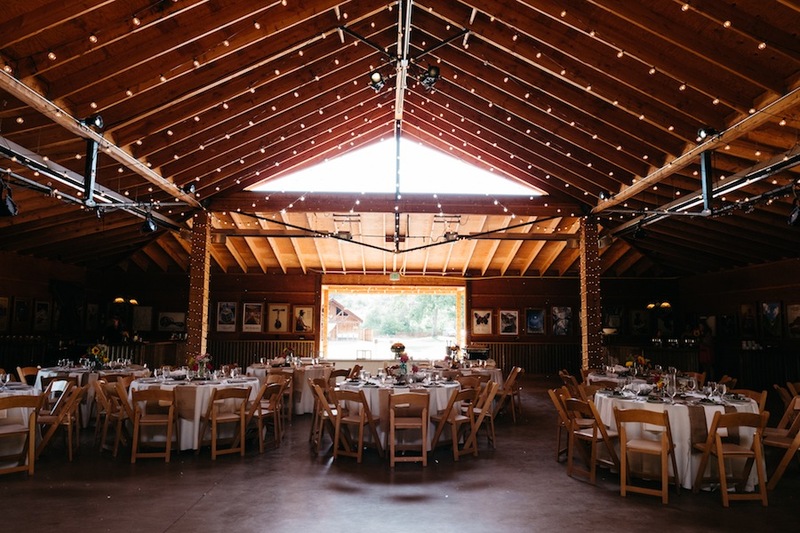 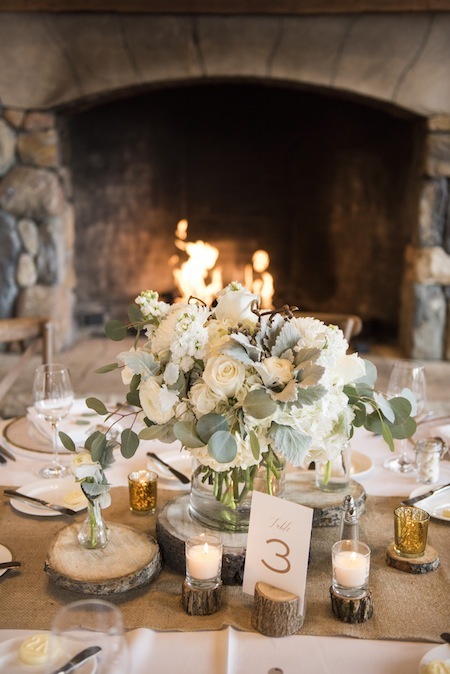 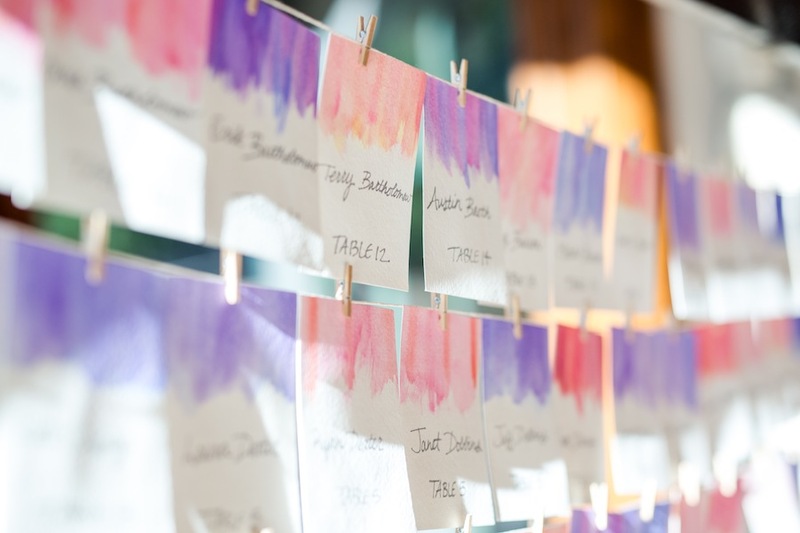 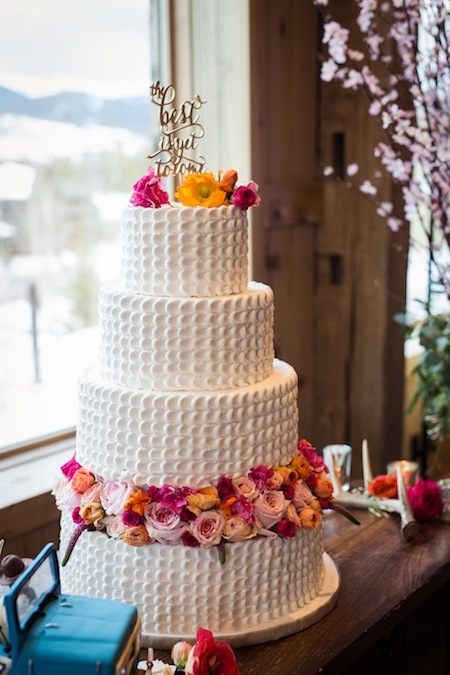 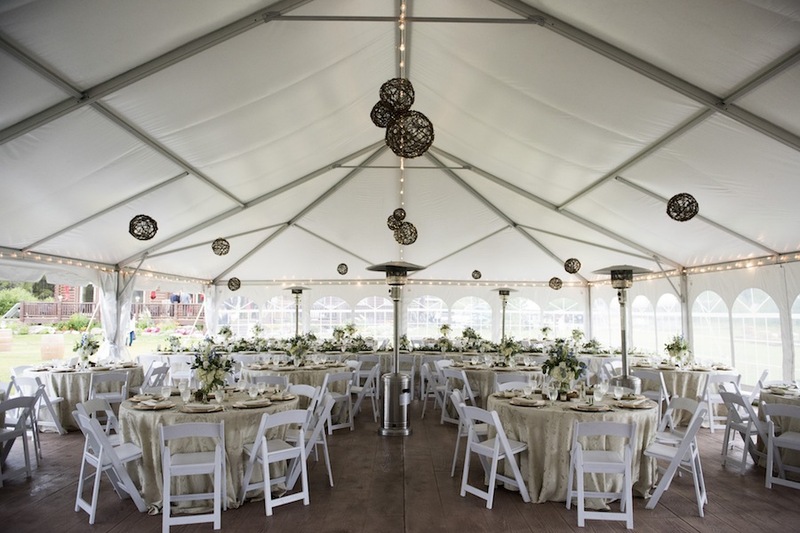 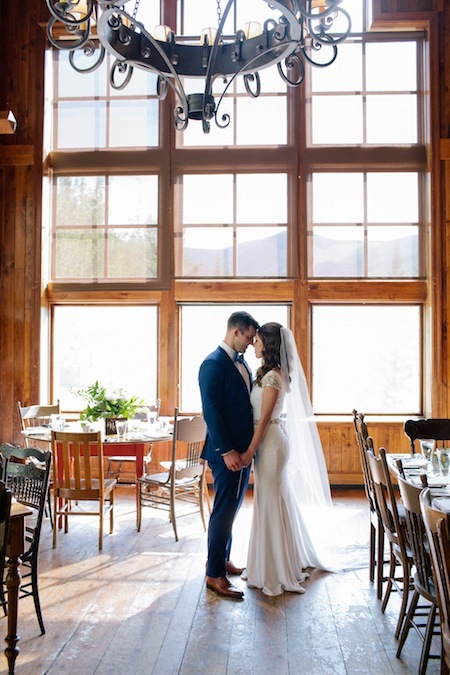 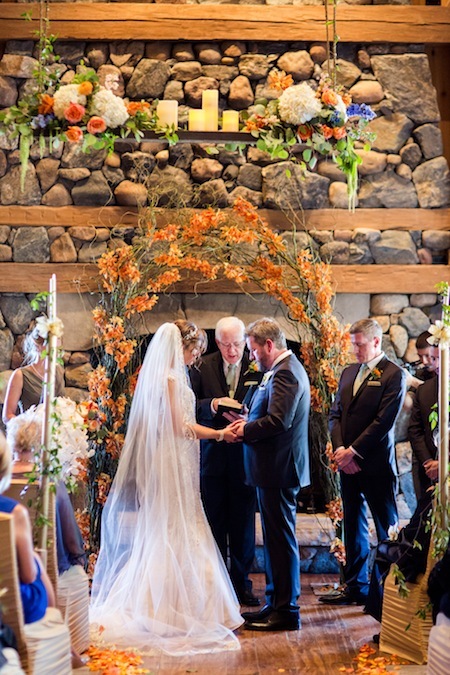 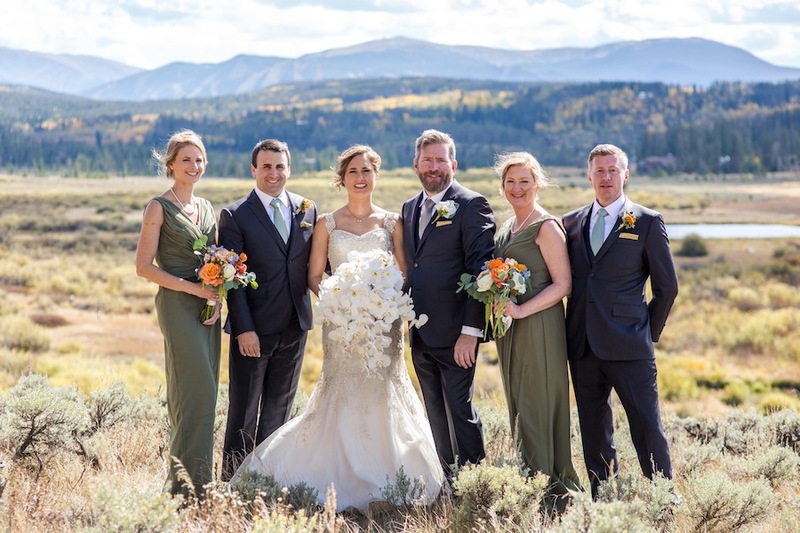 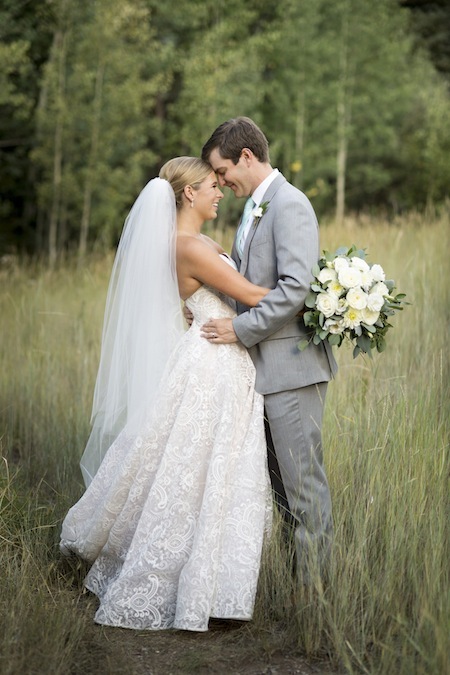 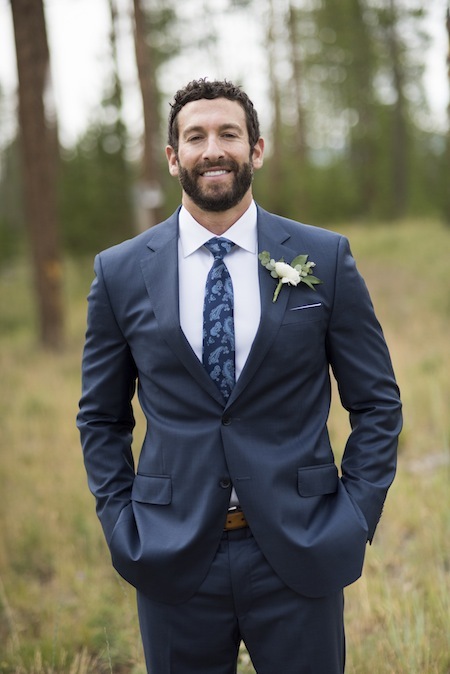 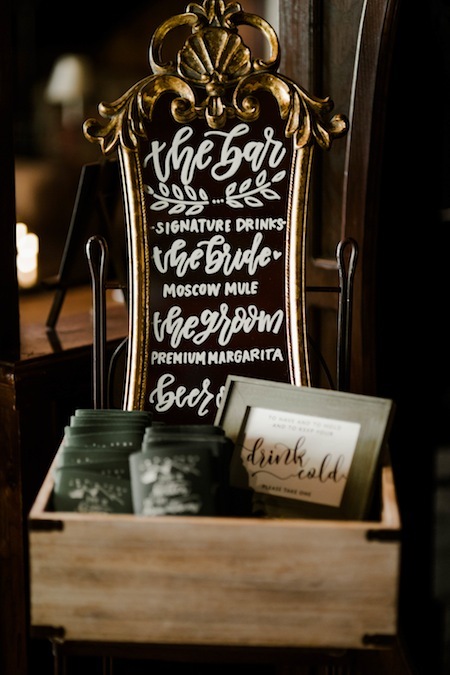 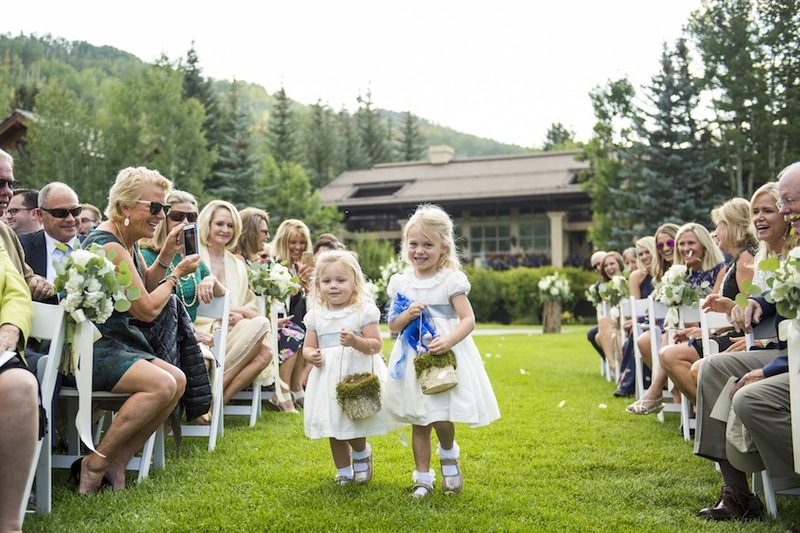 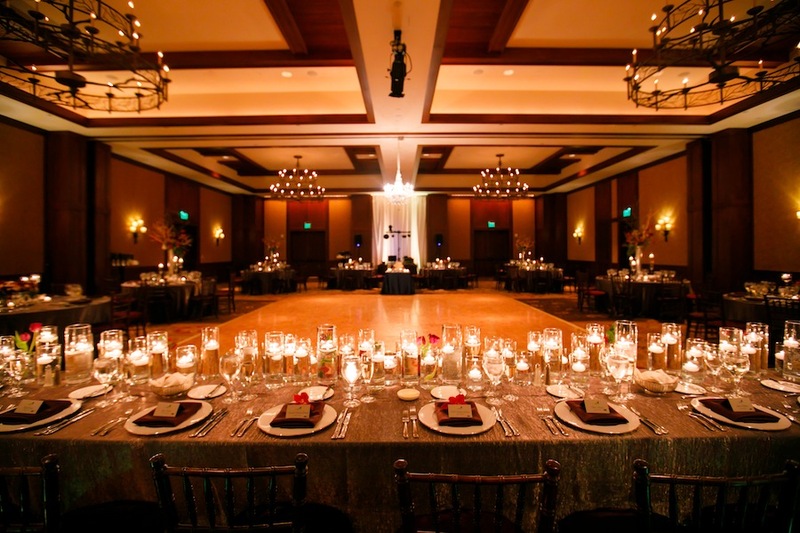 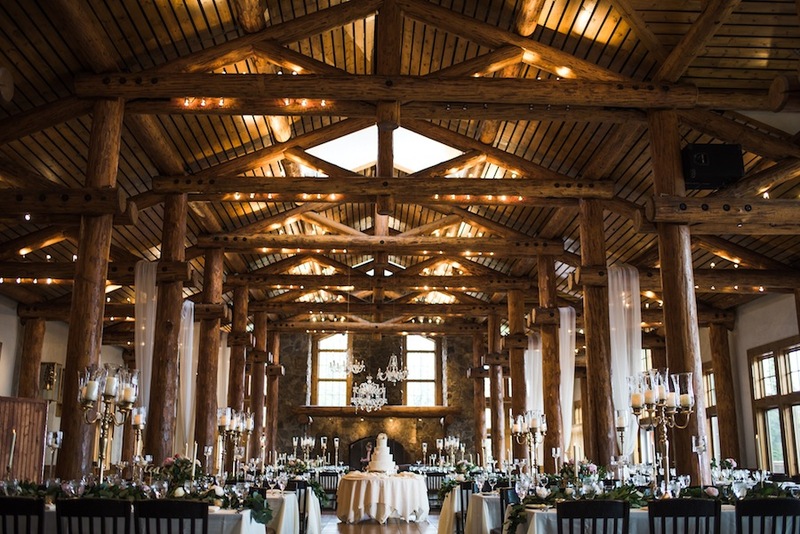 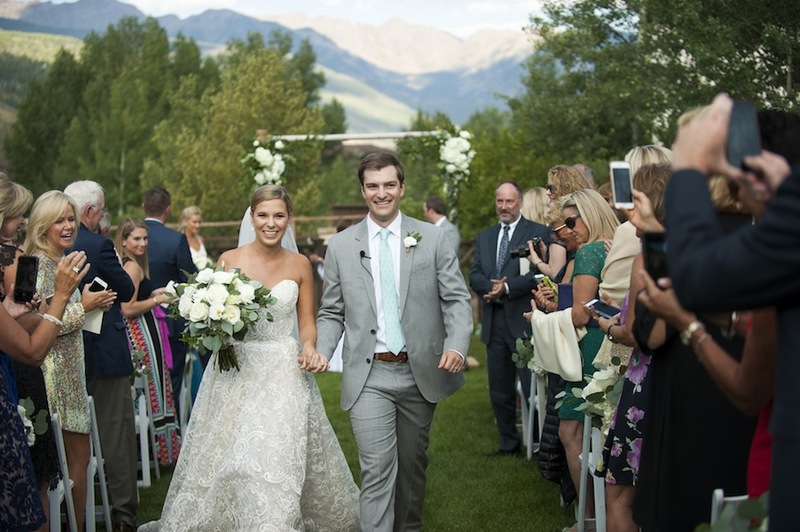 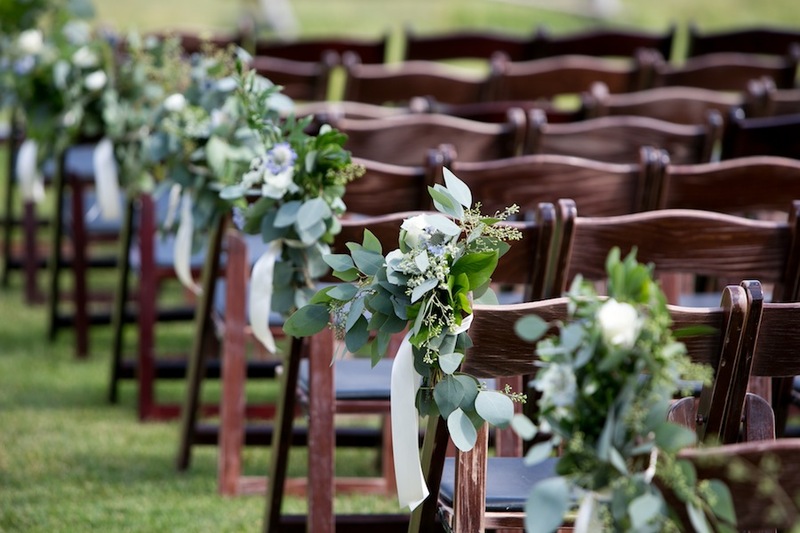 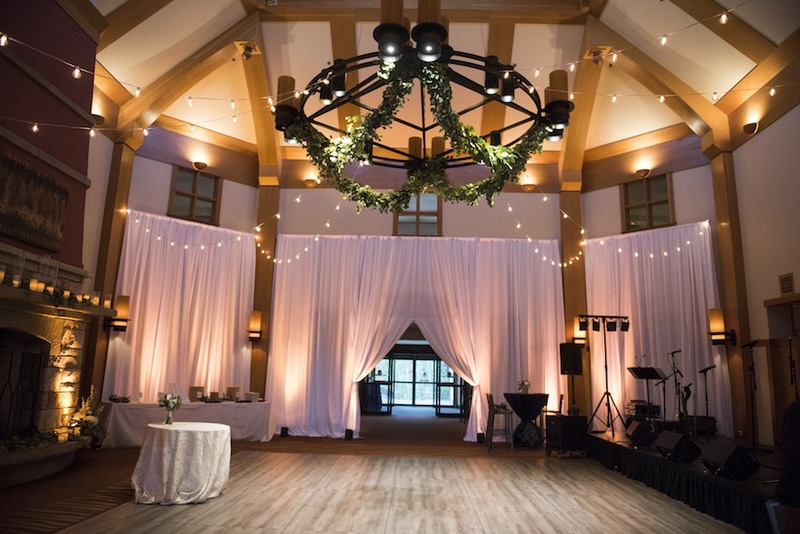 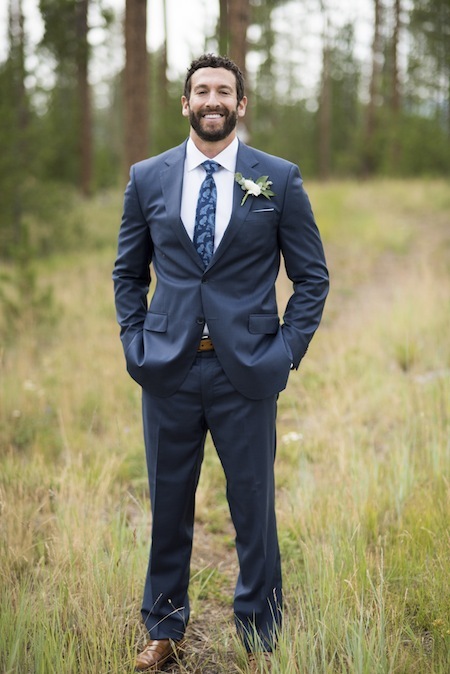 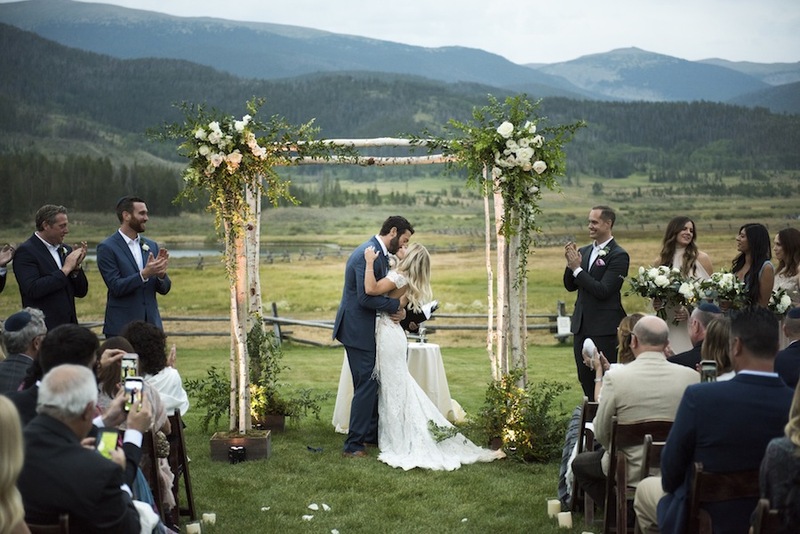 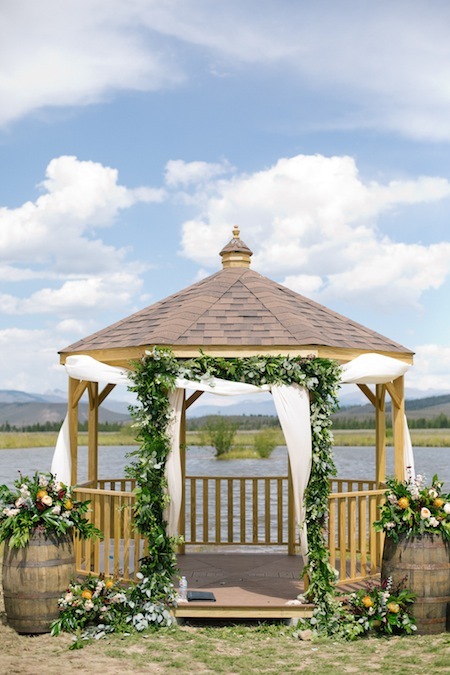 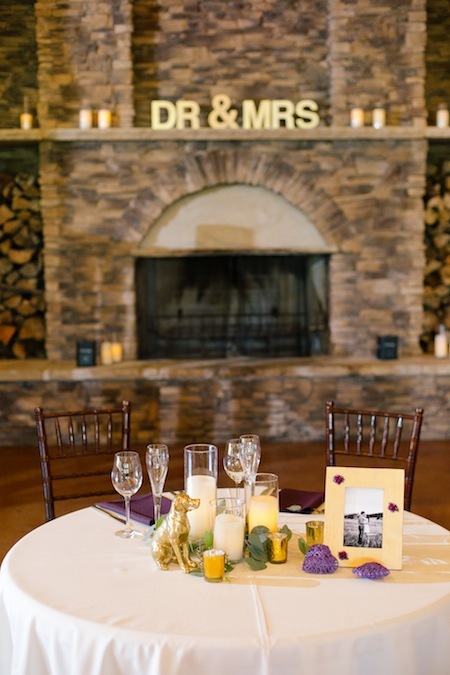 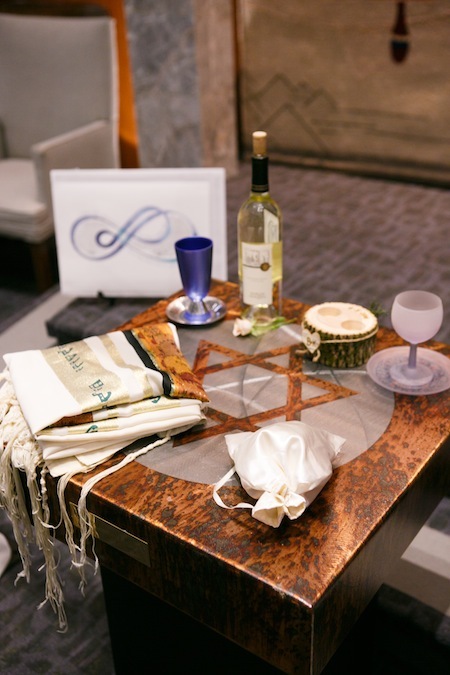 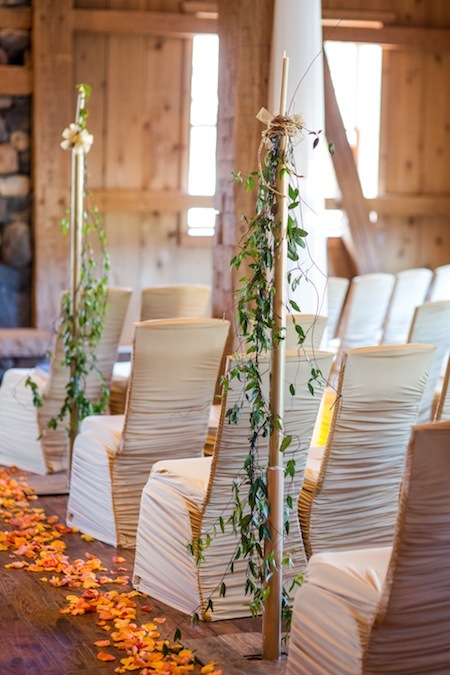 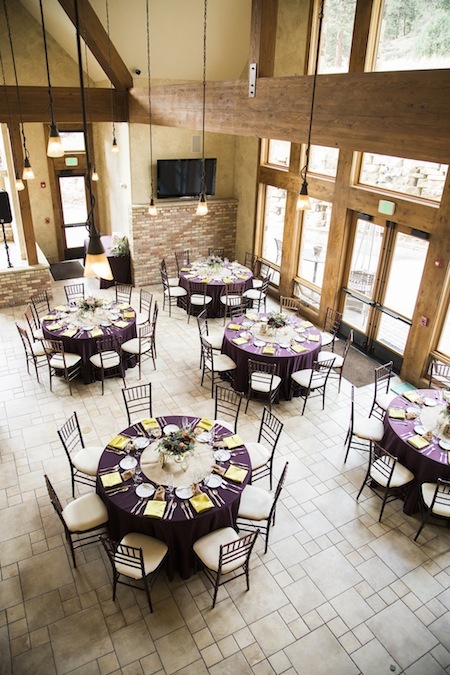 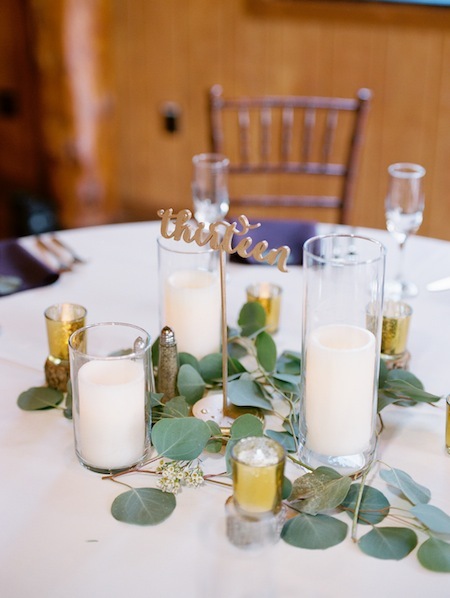 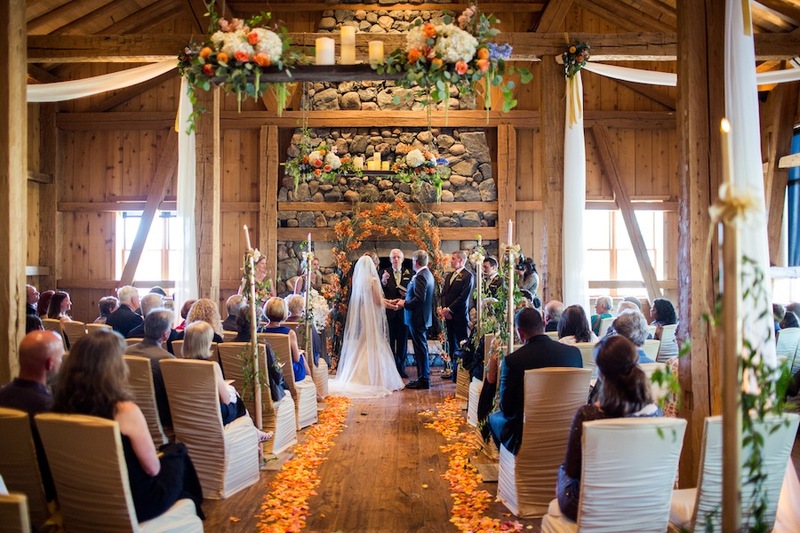 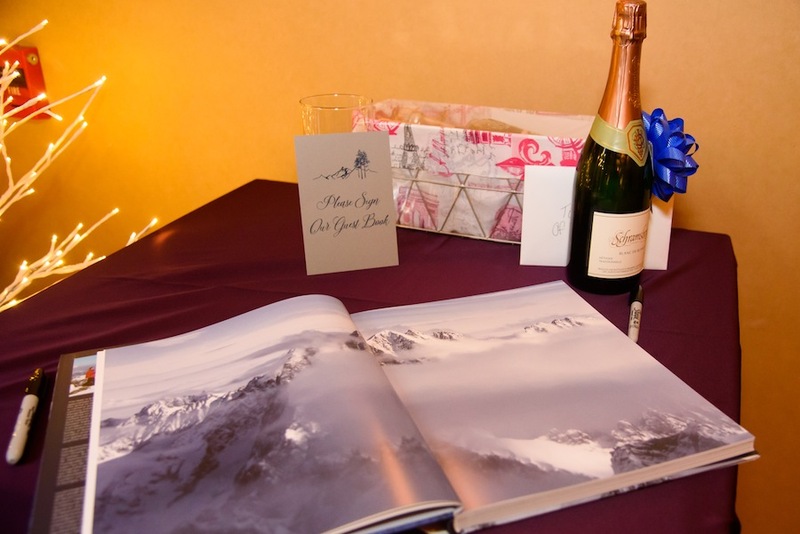 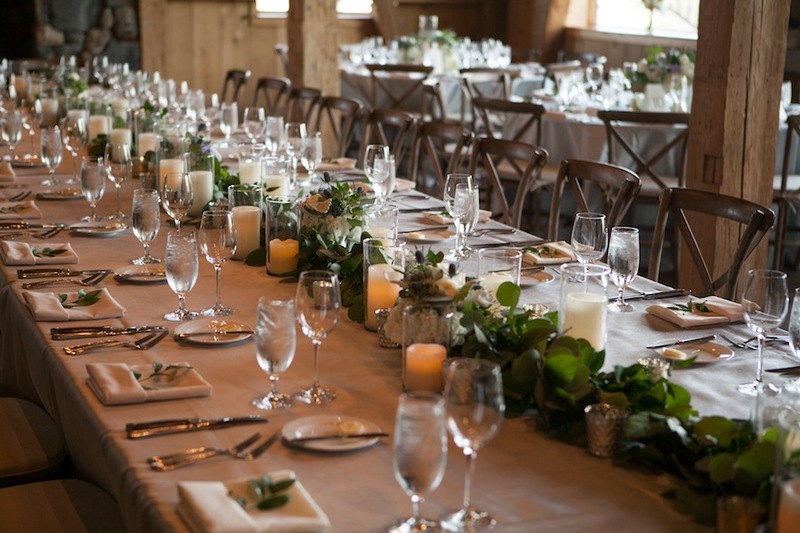 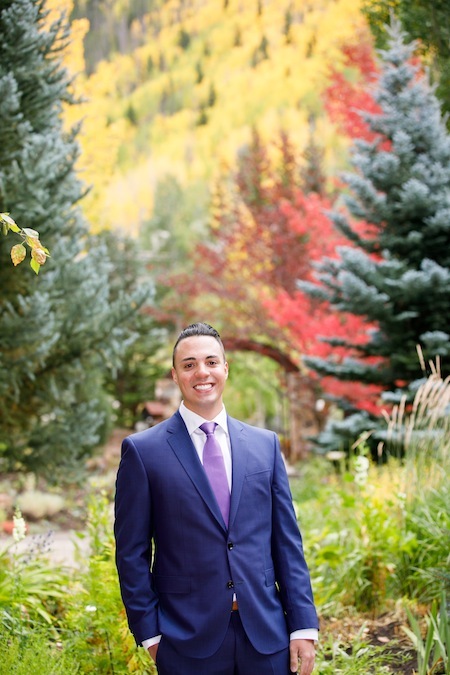 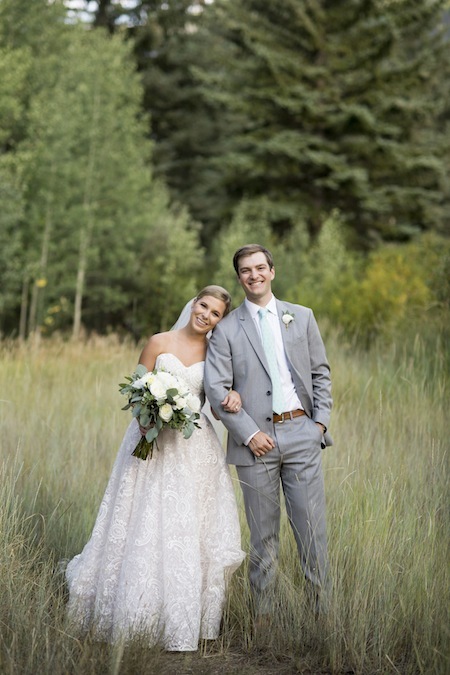 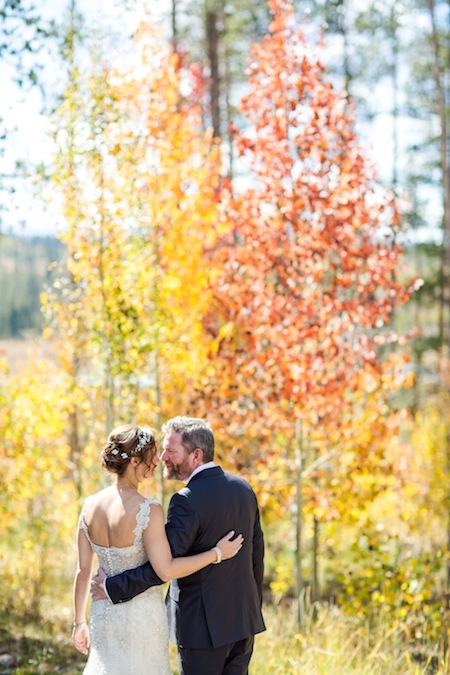 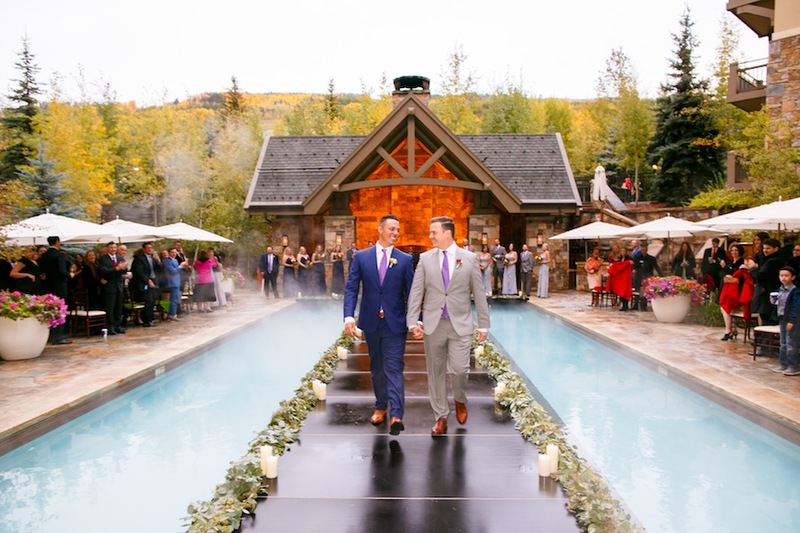 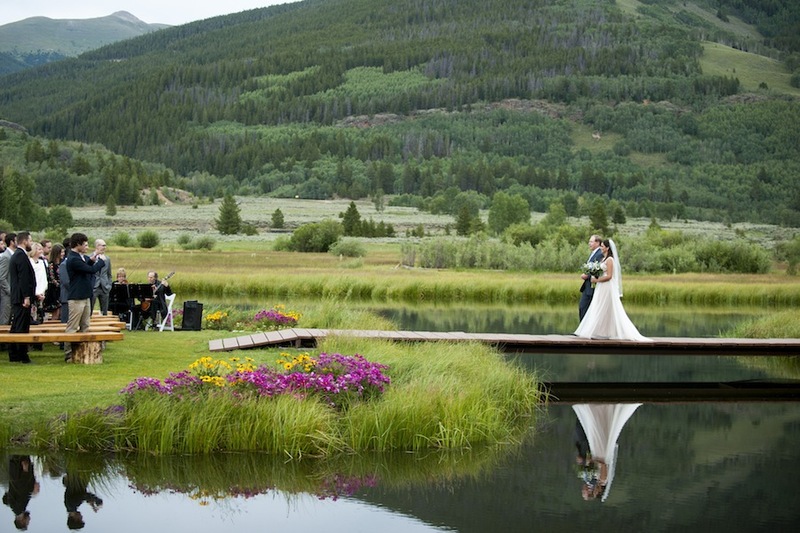 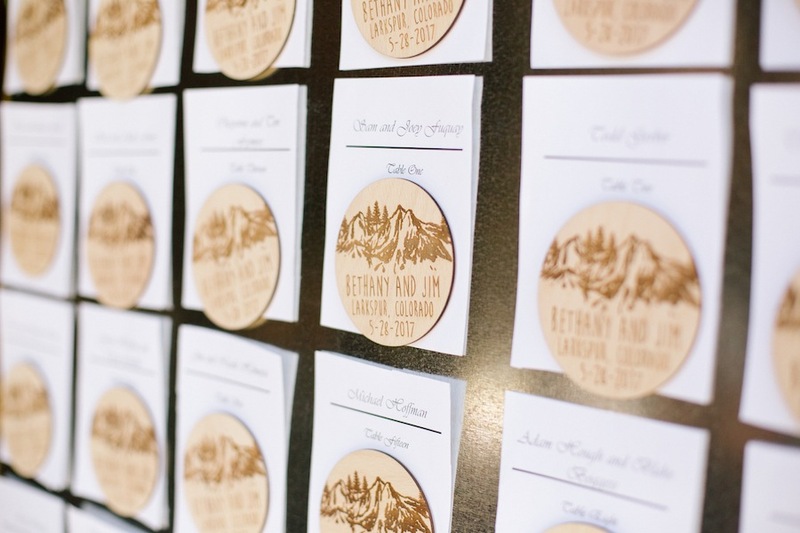 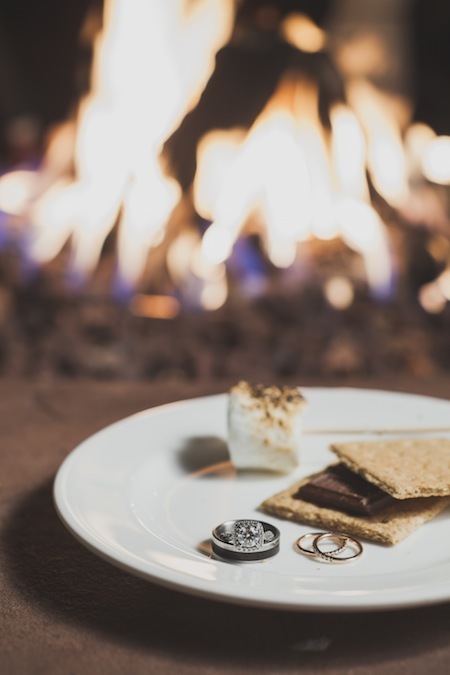 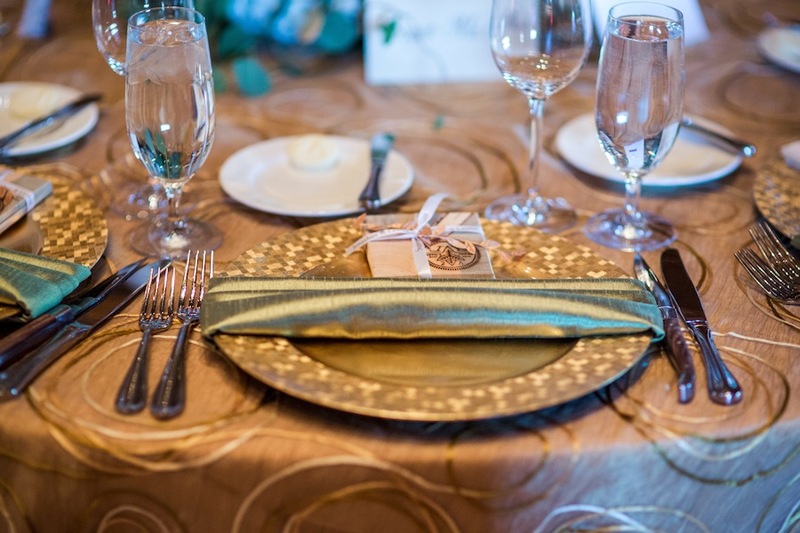 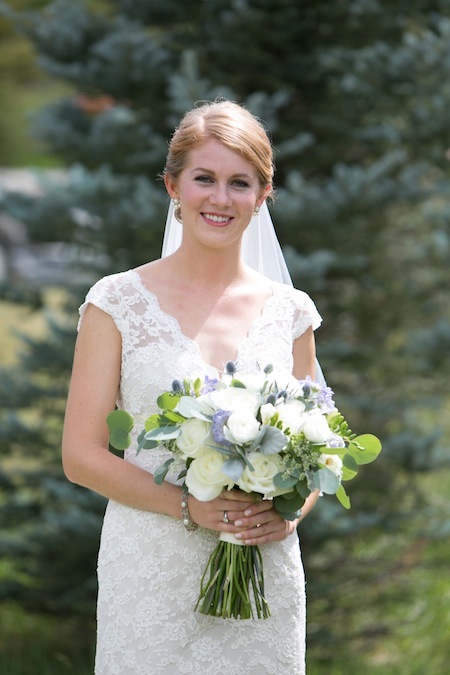 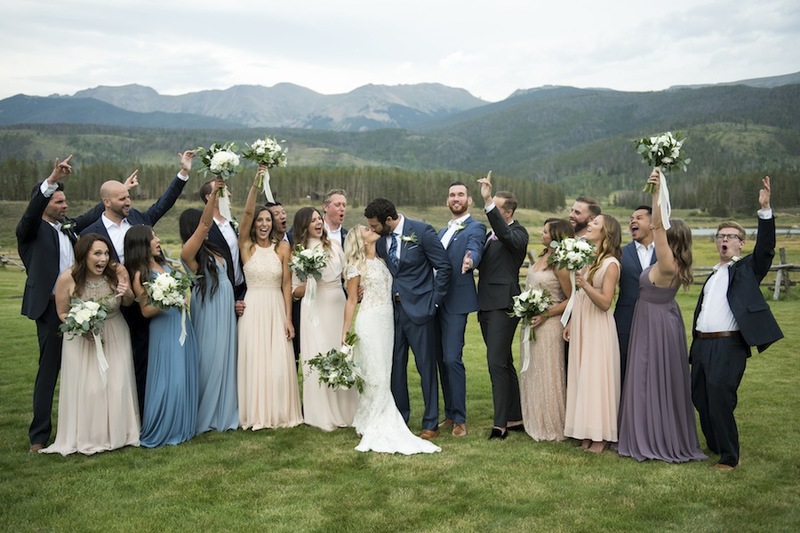 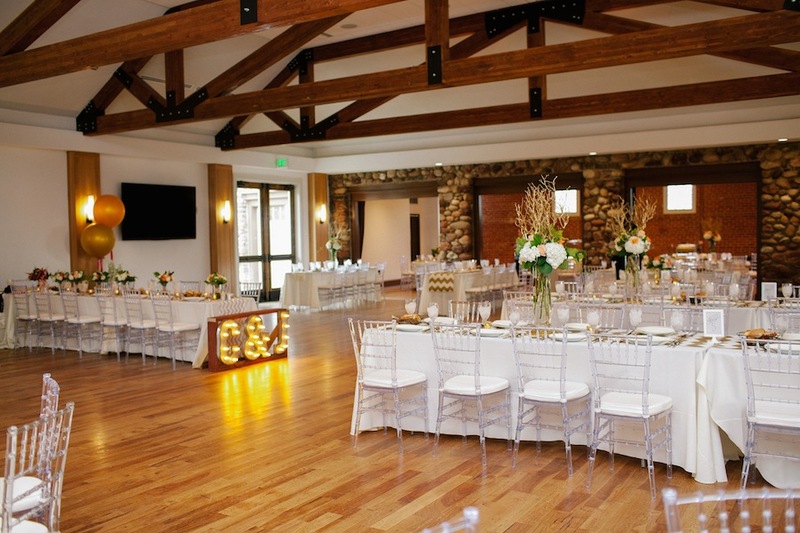 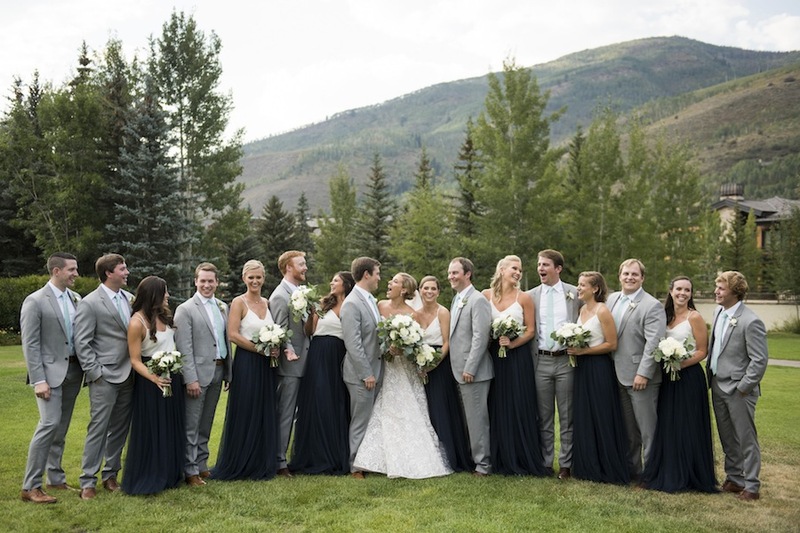 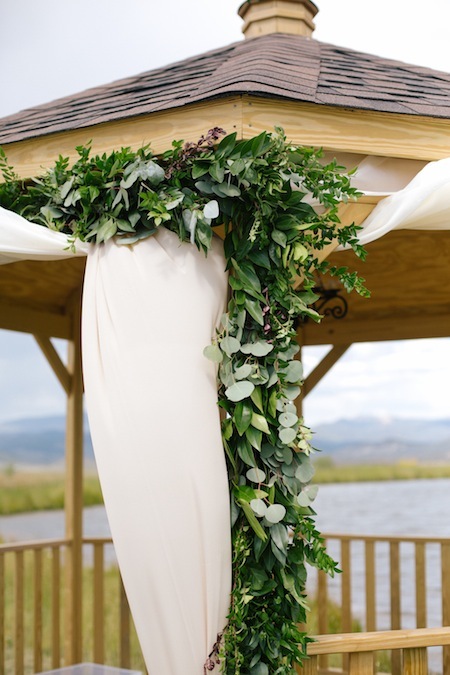 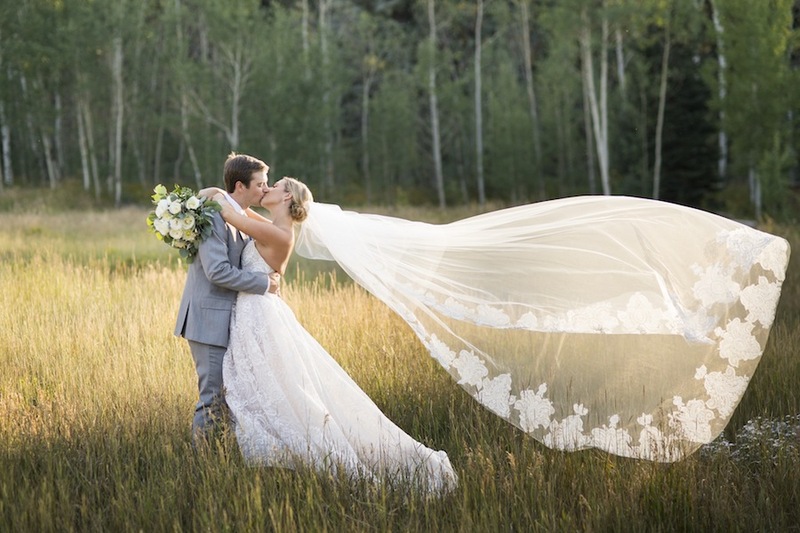 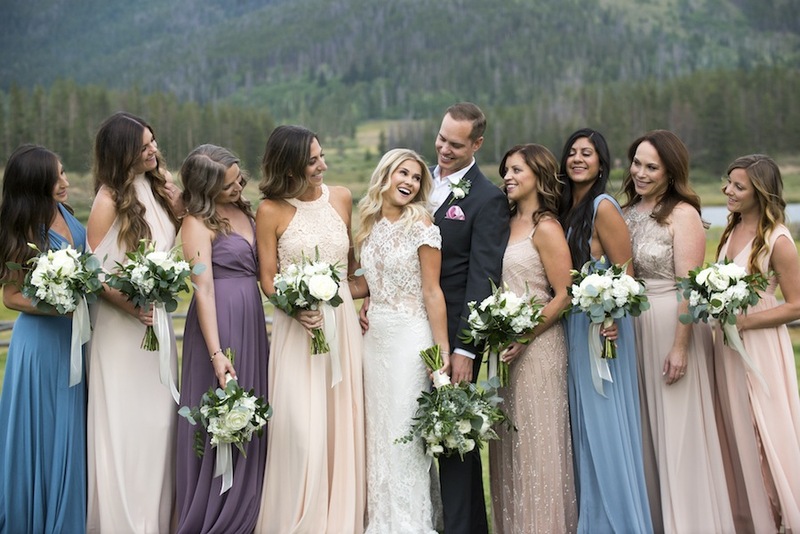 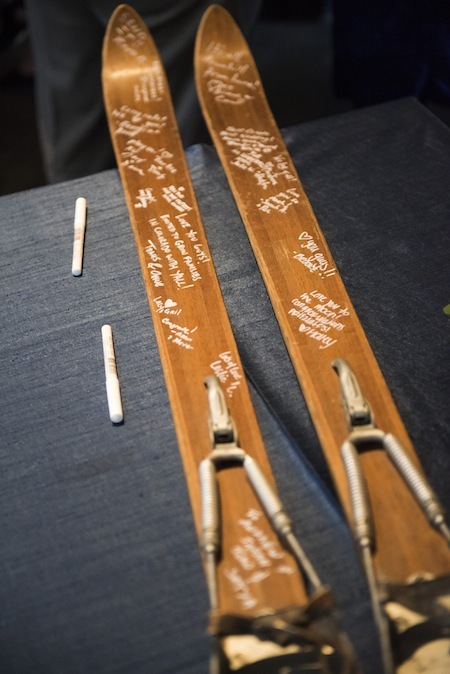 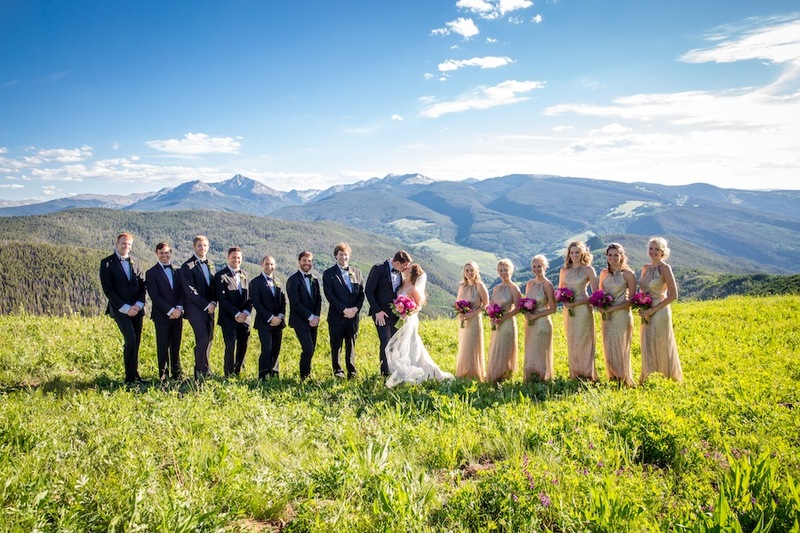 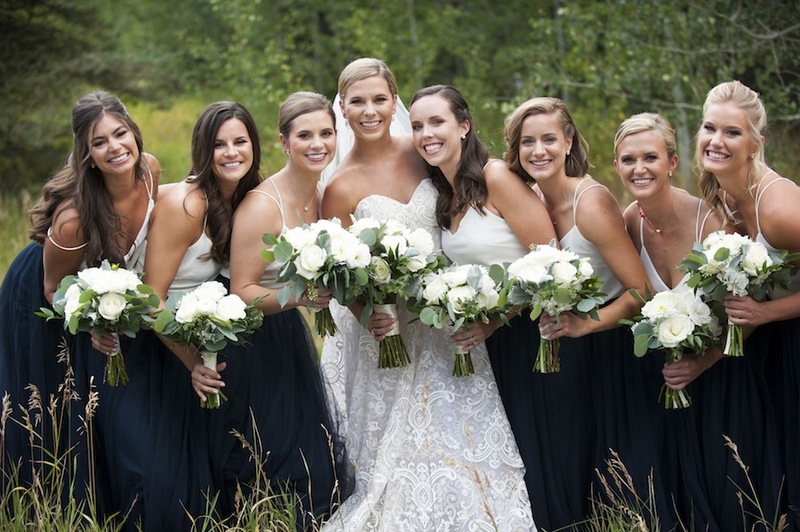 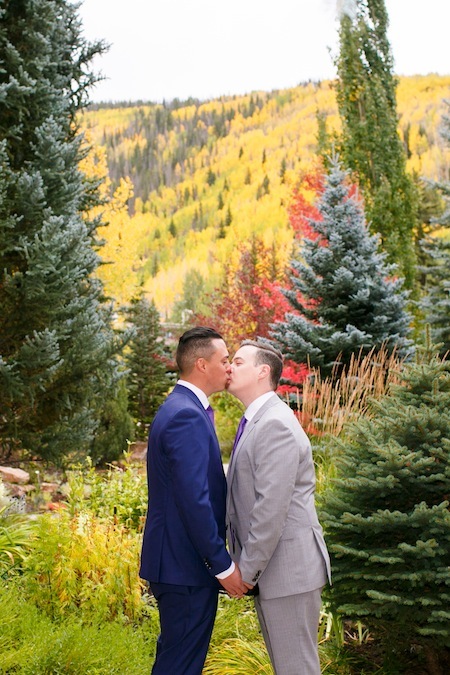 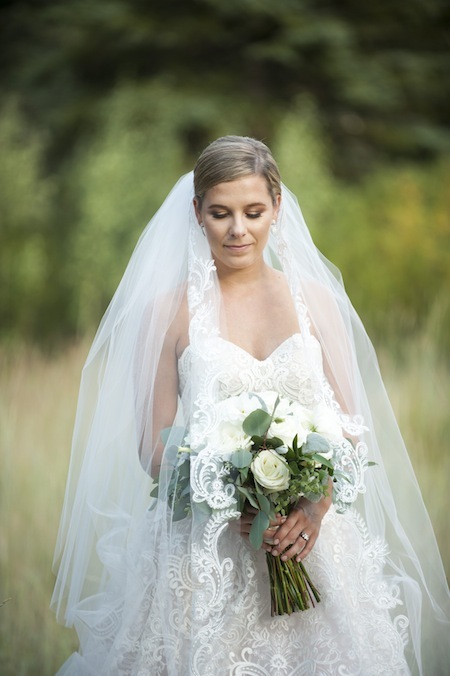 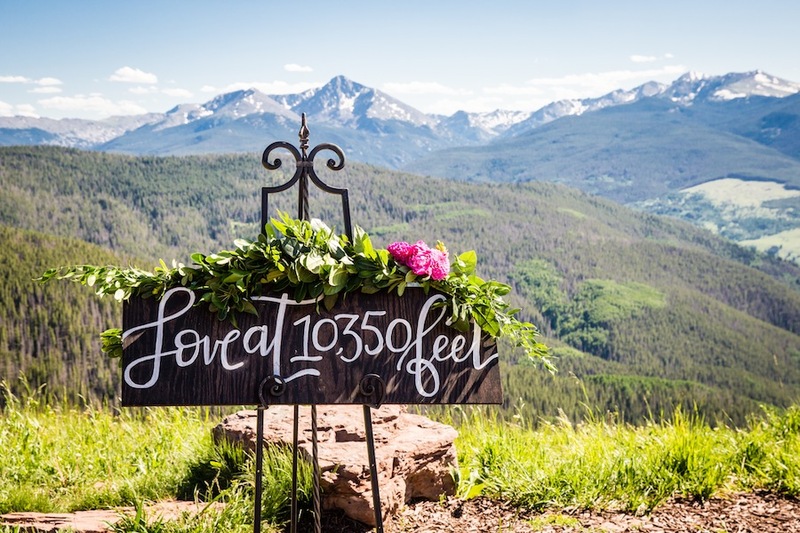 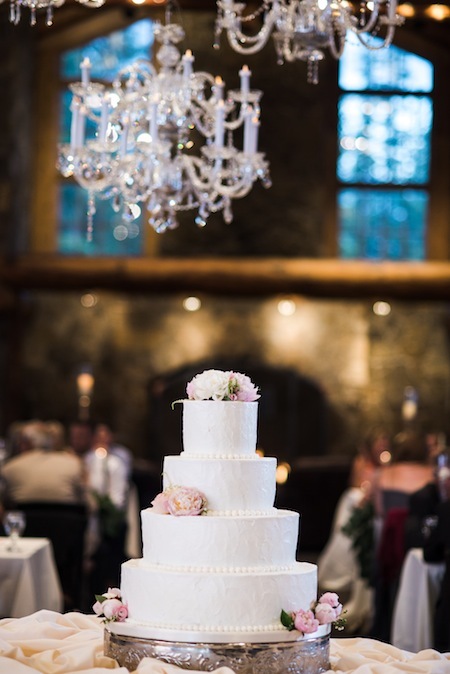 Larkspur Vail served as the perfect backdrop for their ceremony and reception, and Brinton Studios captured their day with stunning images. 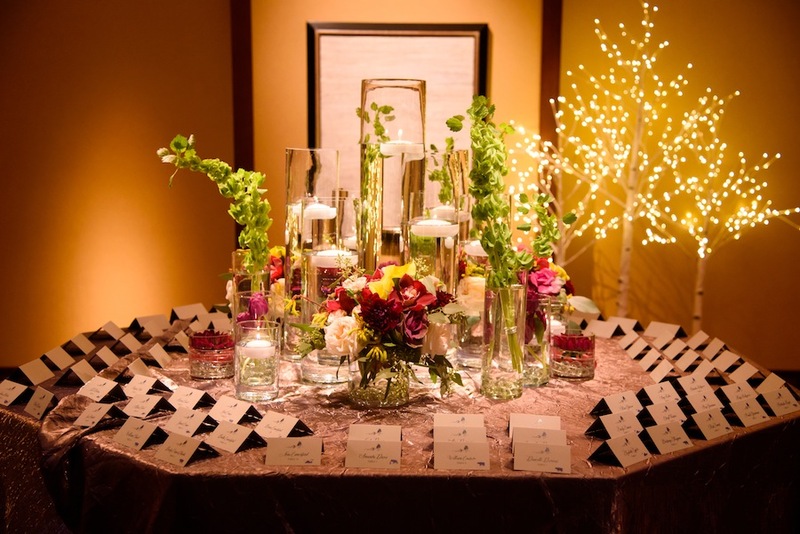 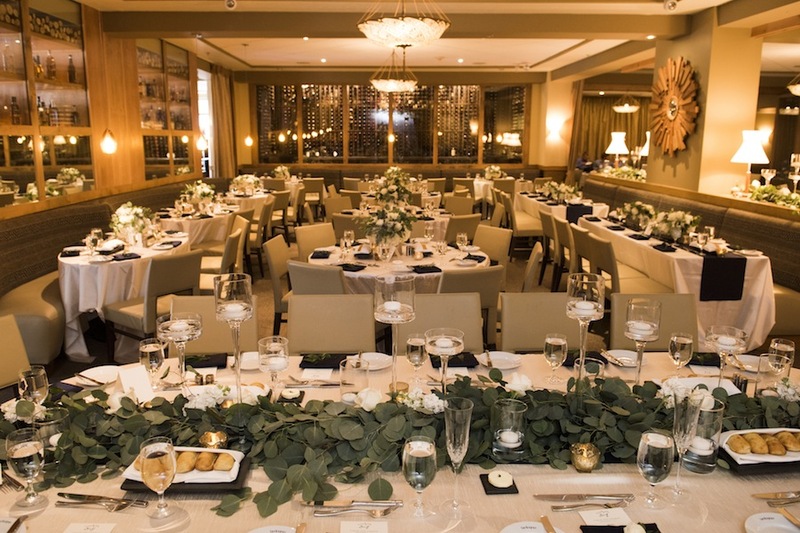 The elegant floral arrangements and decor were by Statice Floral and JA Special Events ensured that all planning and coordination were handled with ease. 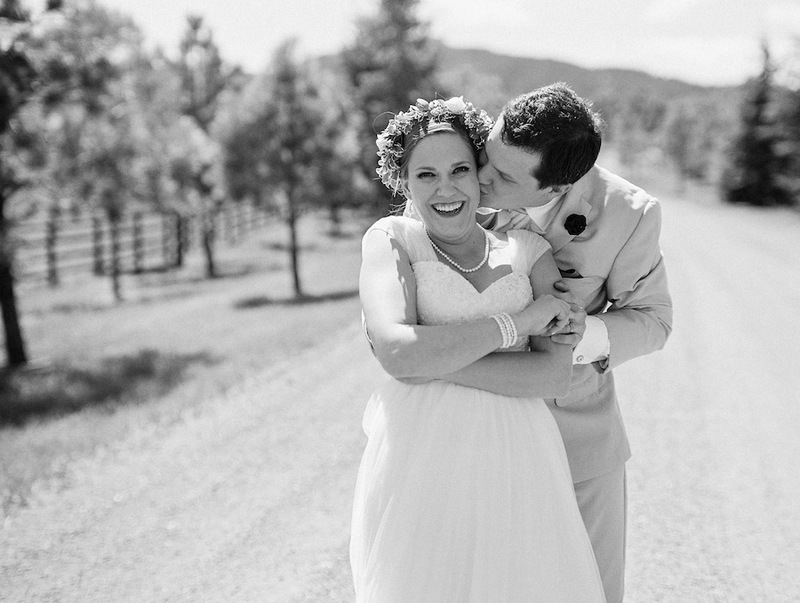 Congrats Sarah + Andrew, it was our joy sharing in your day! 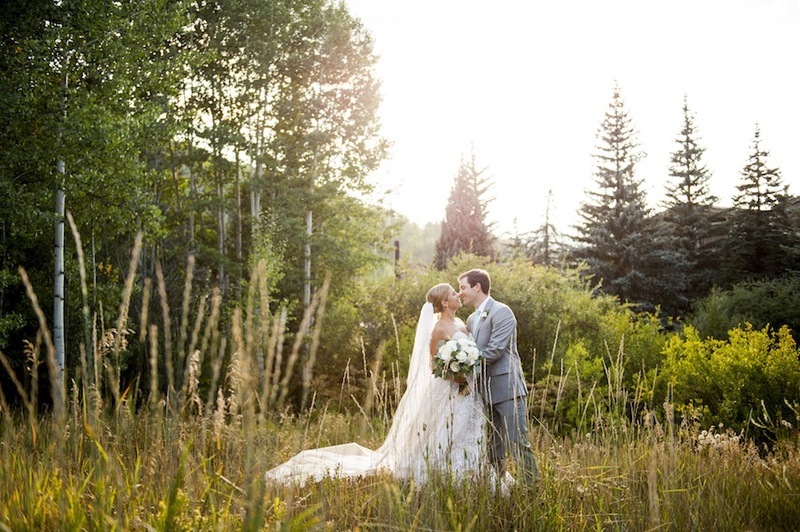 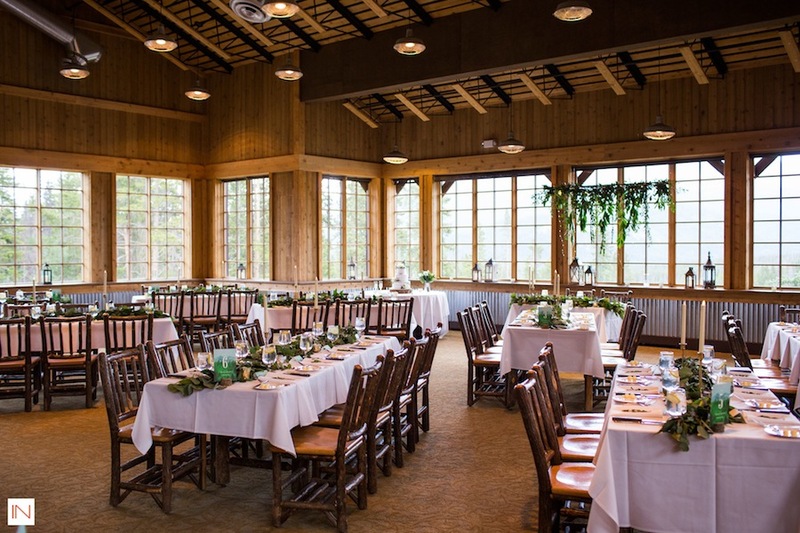 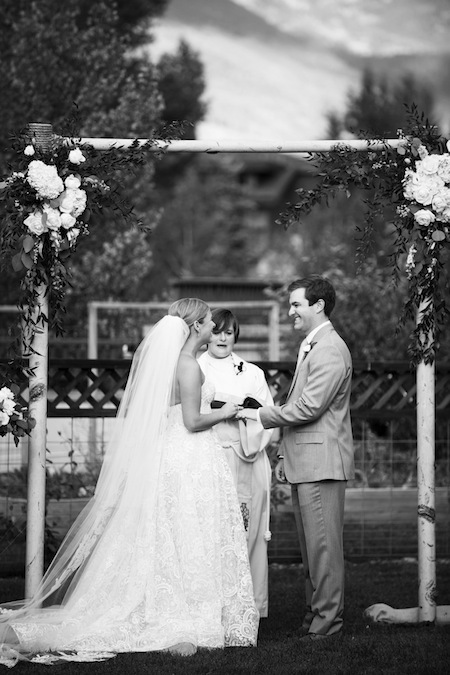 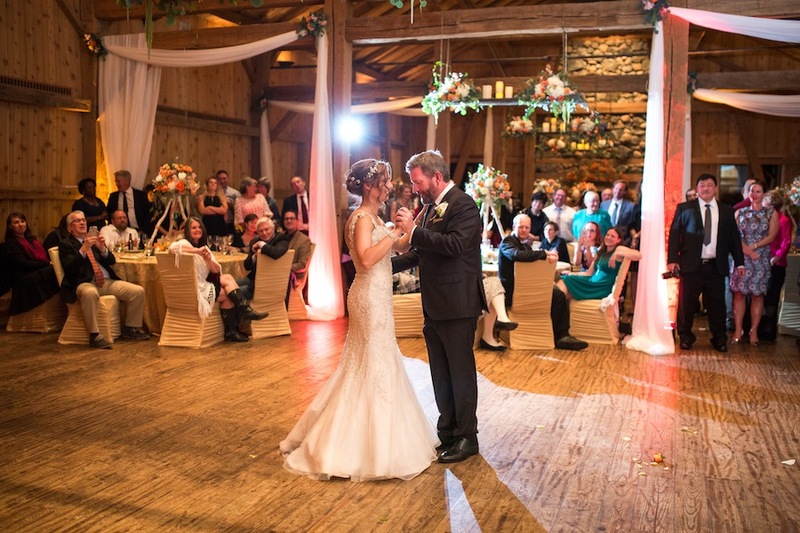 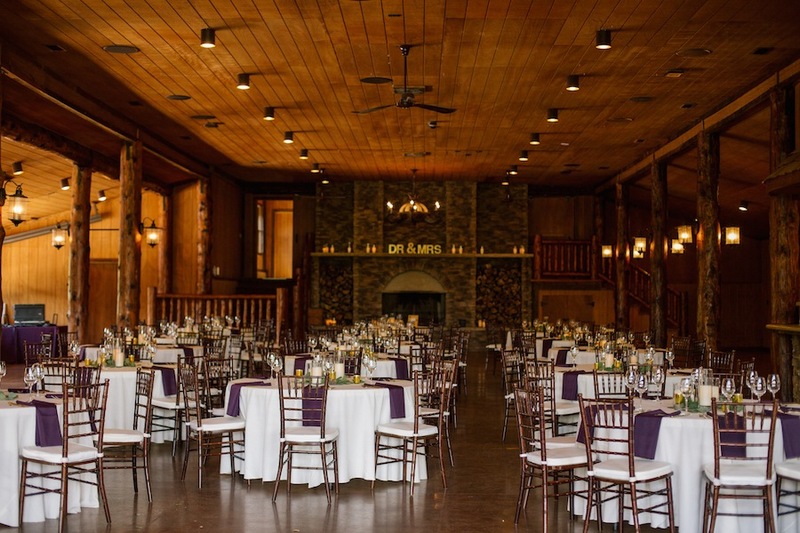 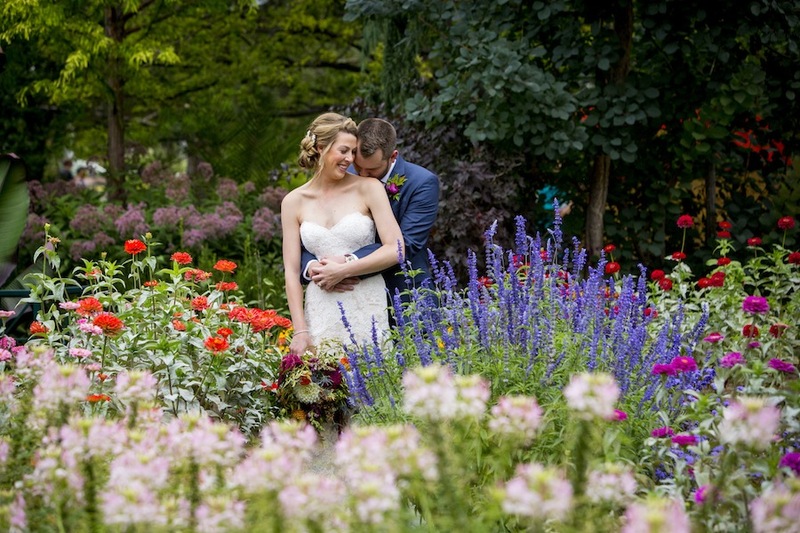 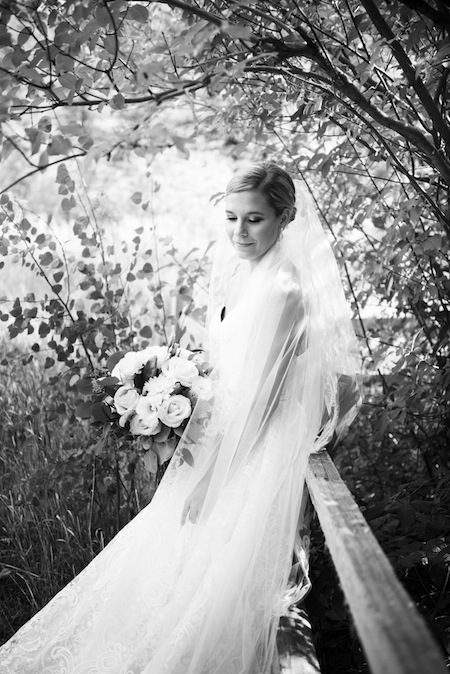 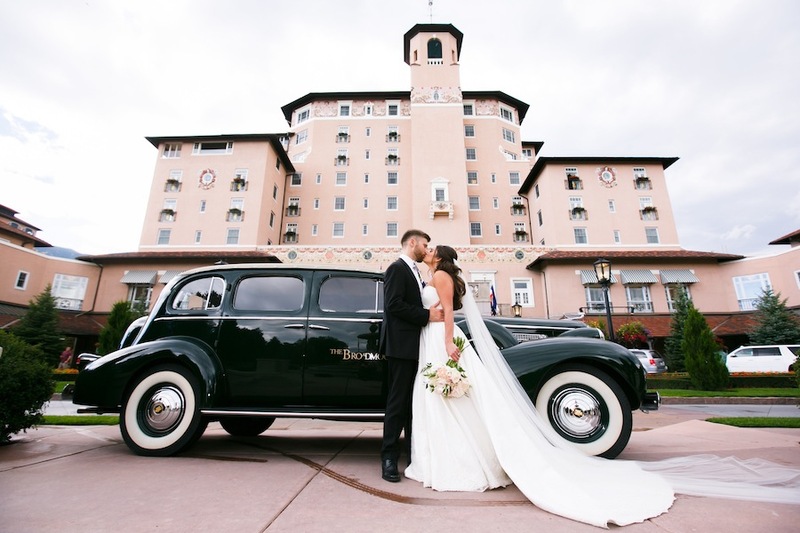 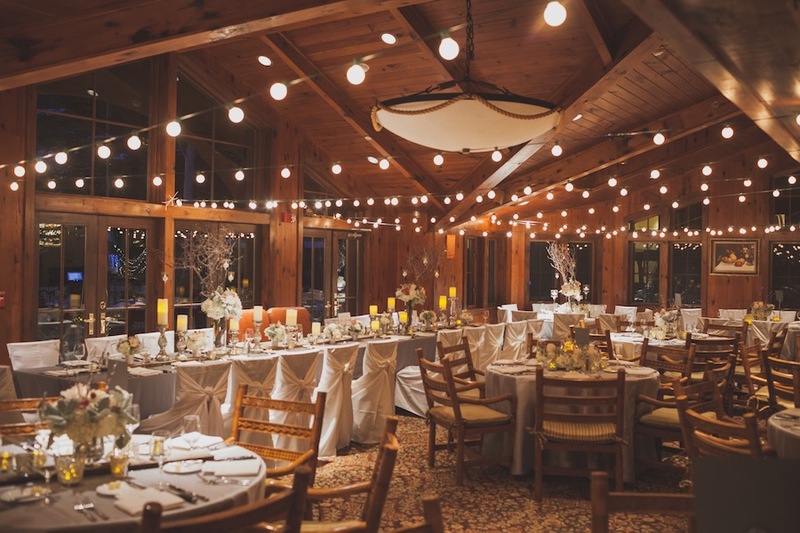 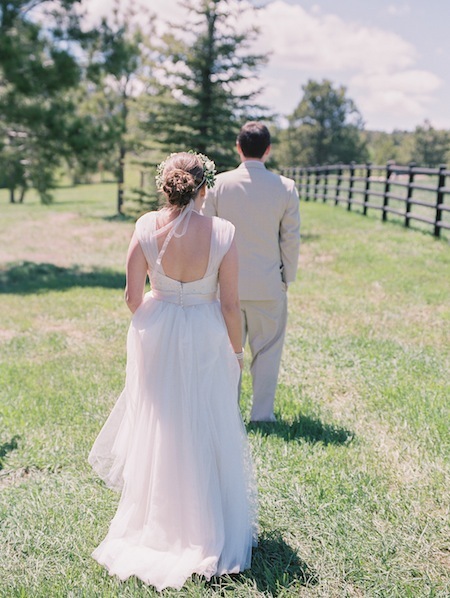 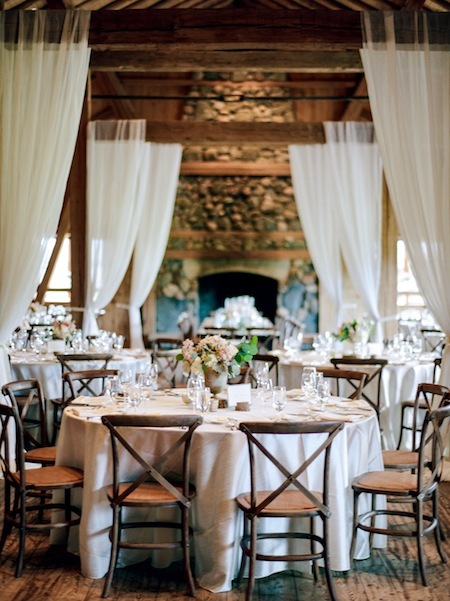 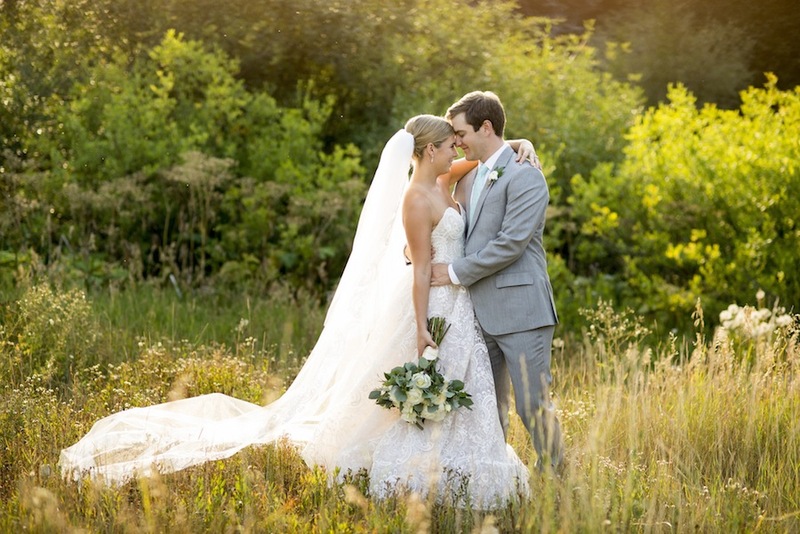 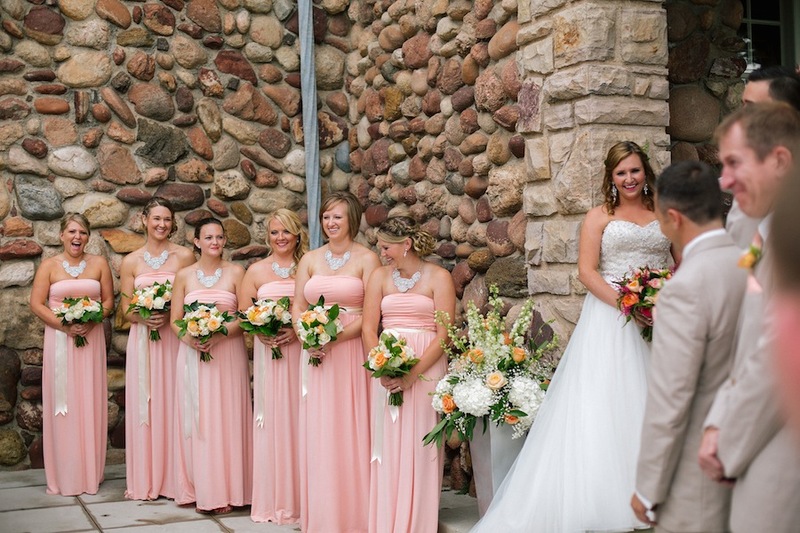 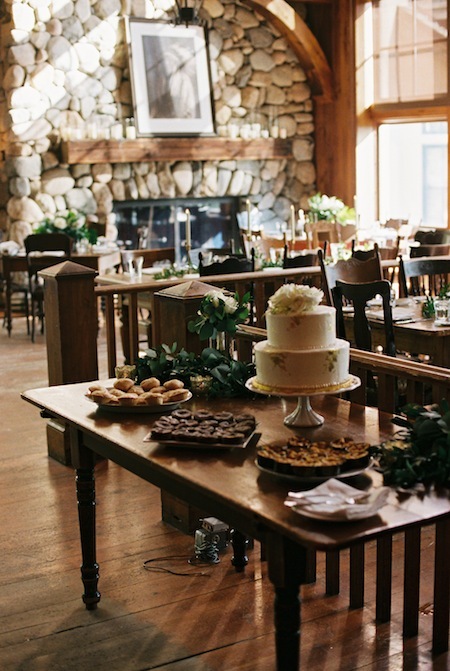 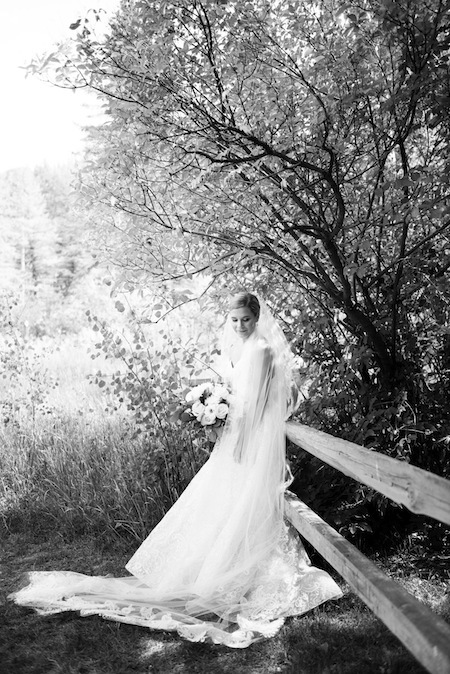 Crestview Lodge served as the perfect backdrop for Laura + Zach’s outdoor wedding. 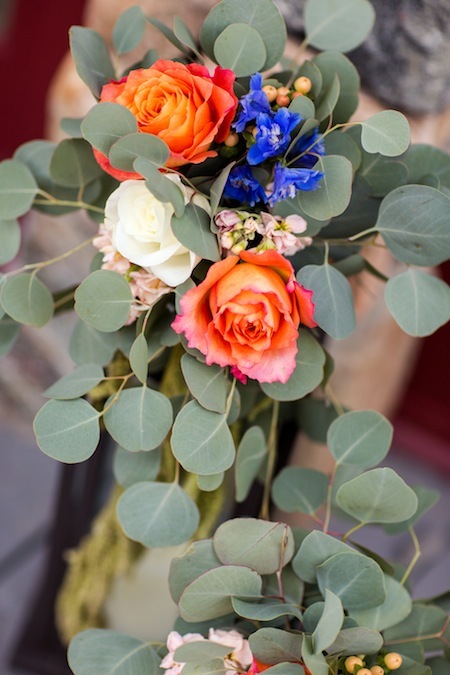 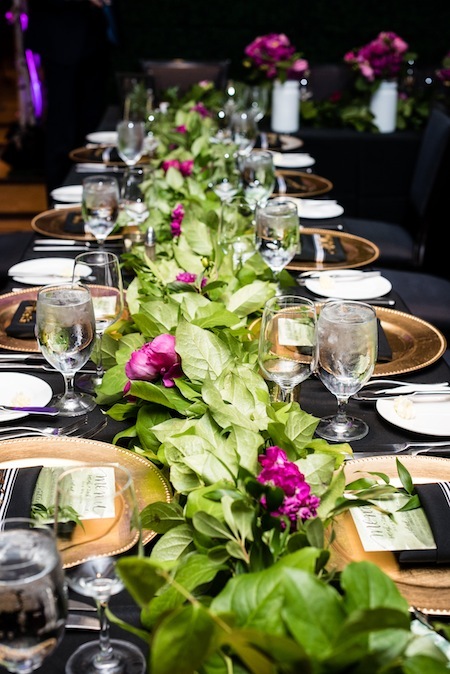 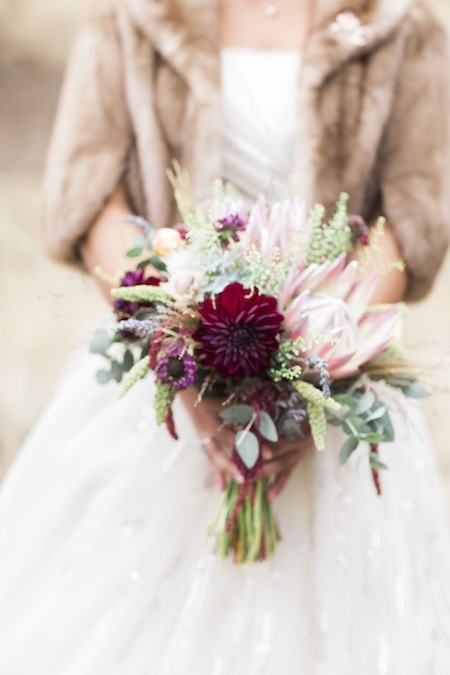 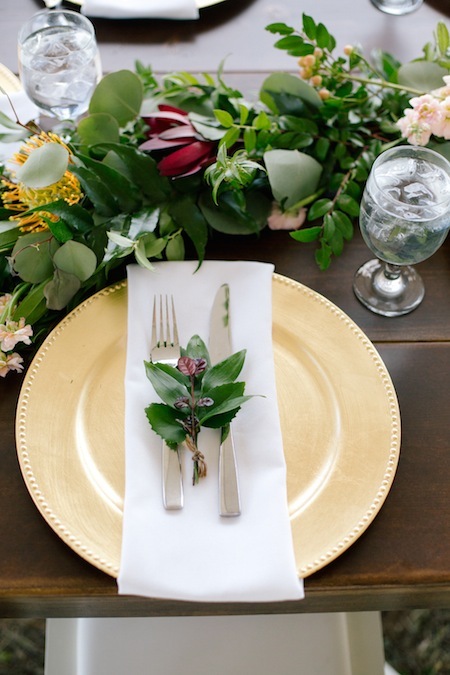 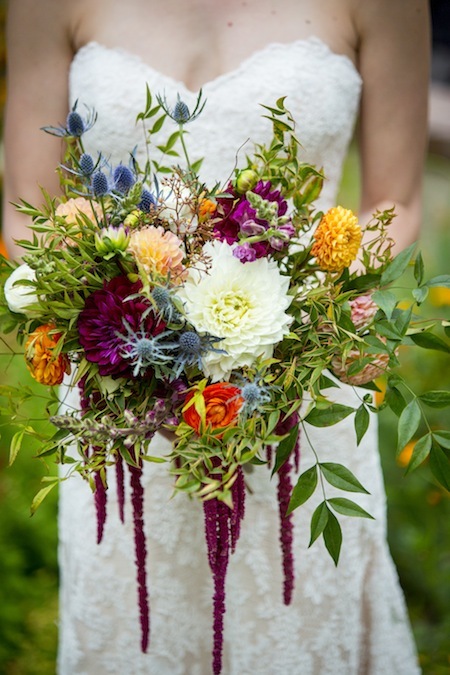 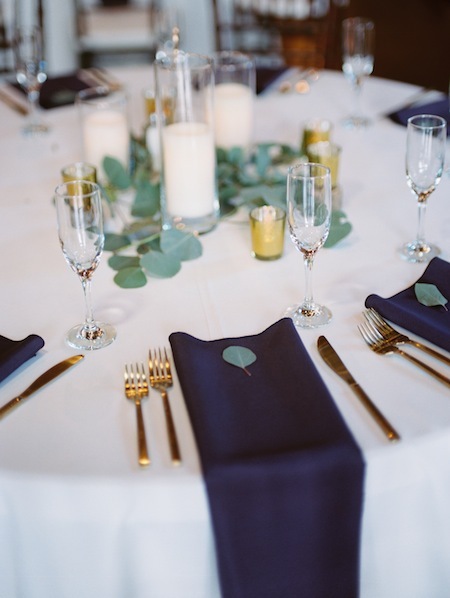 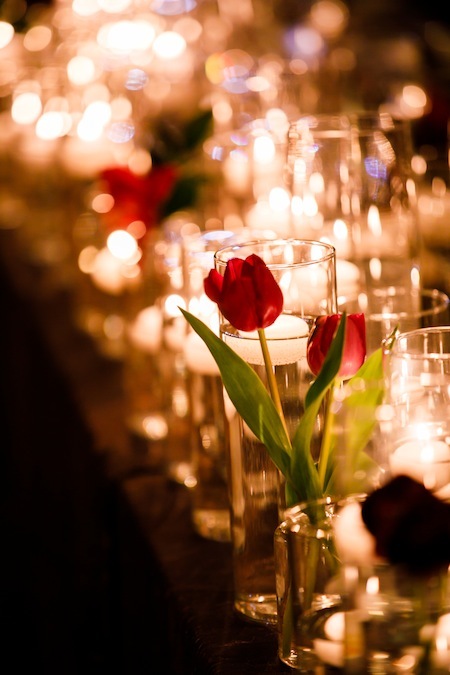 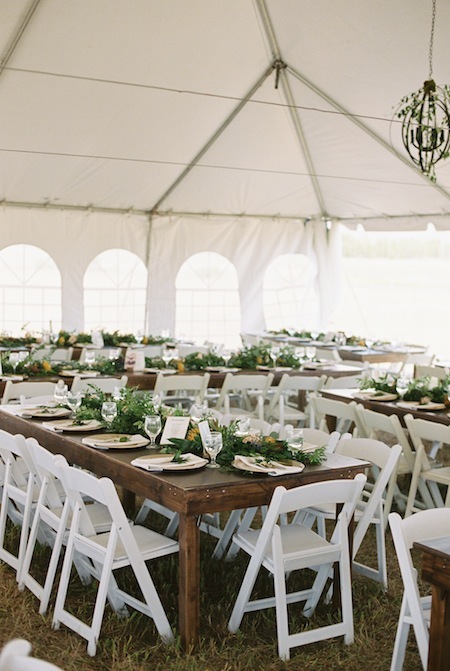 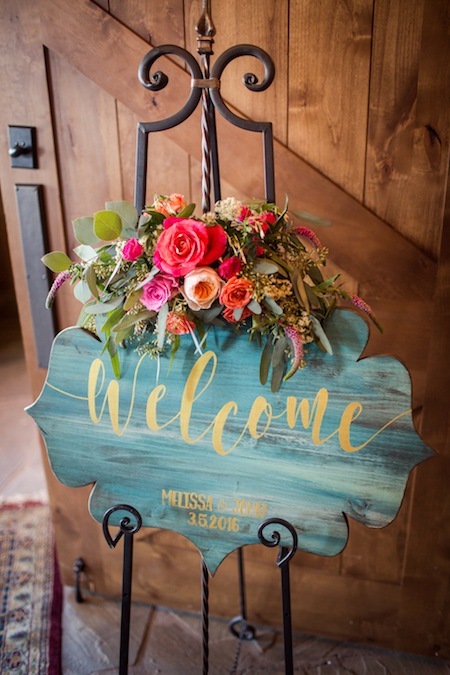 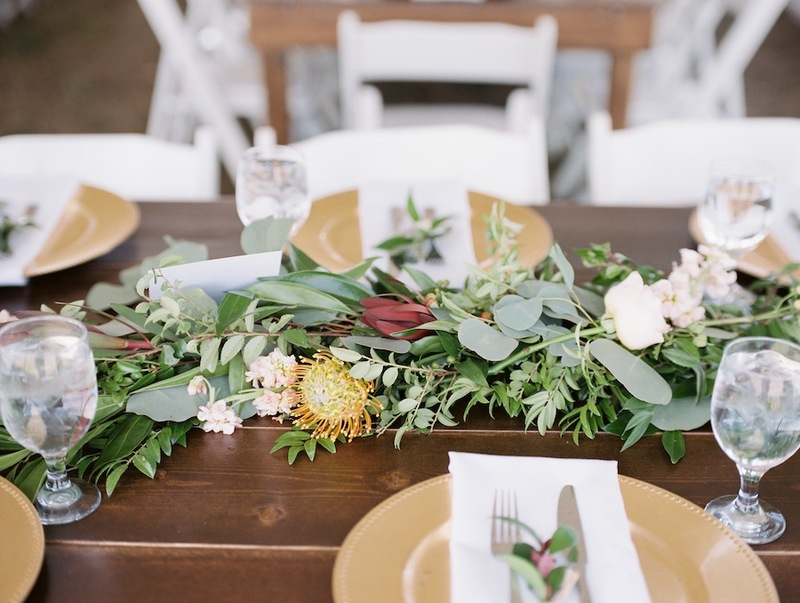 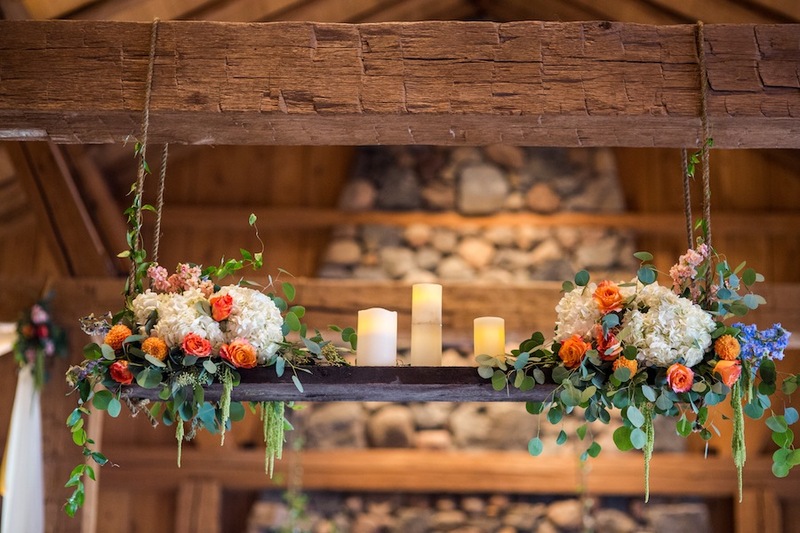 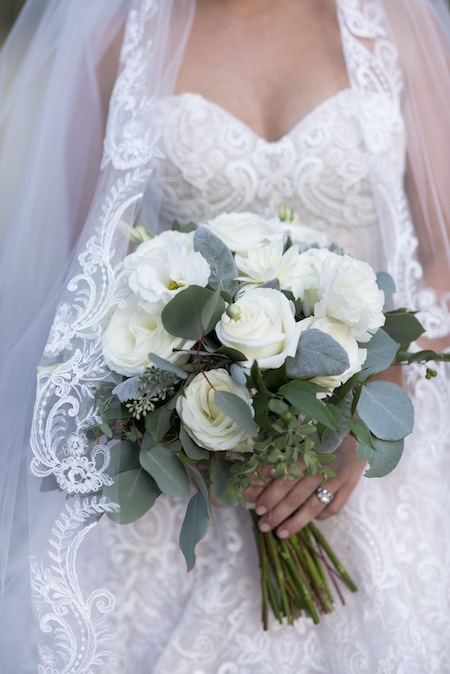 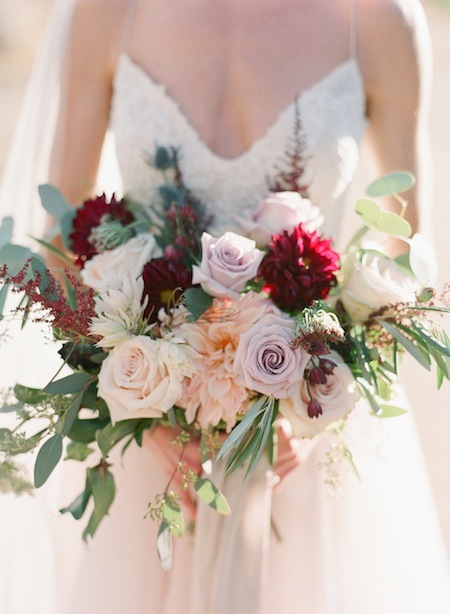 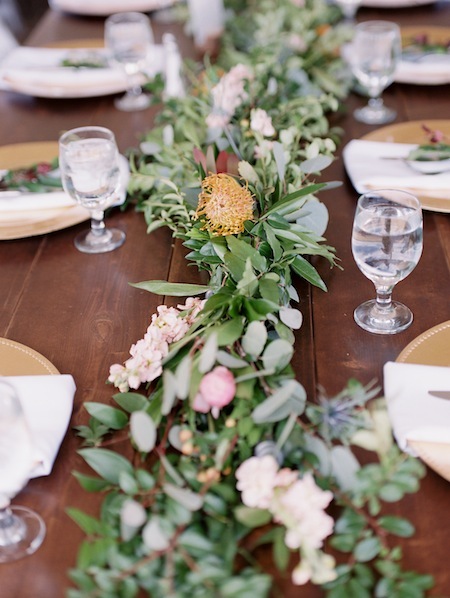 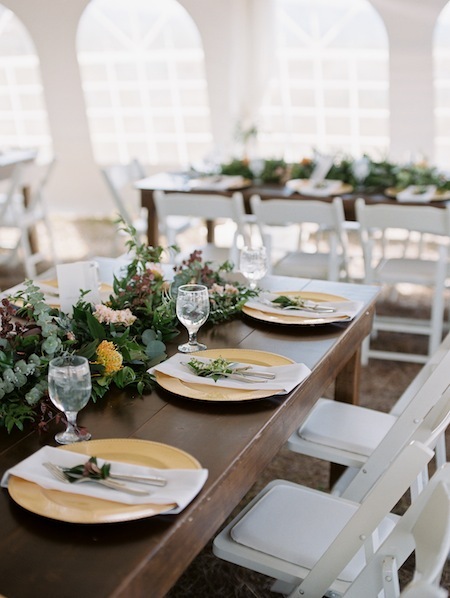 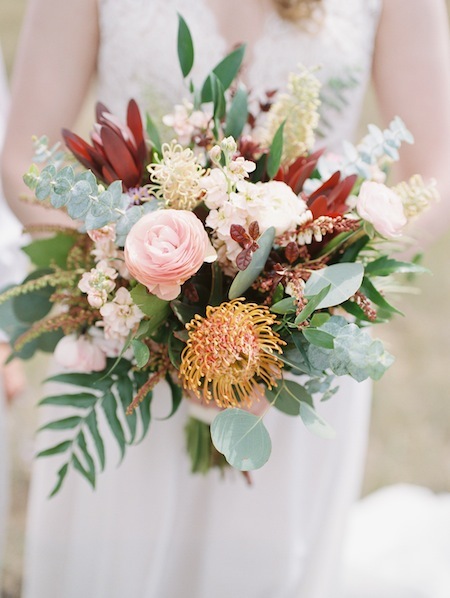 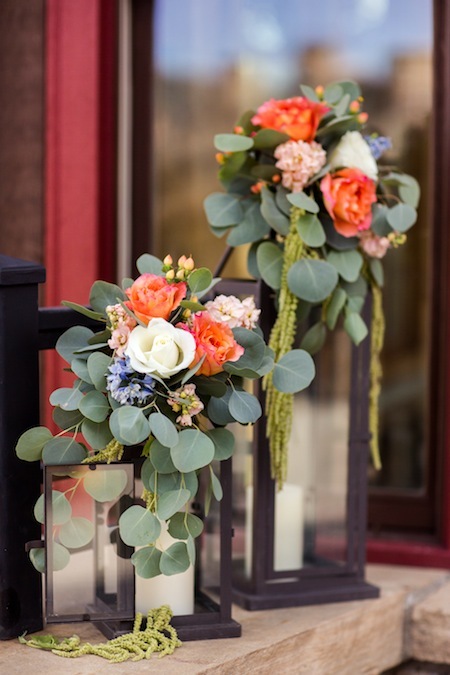 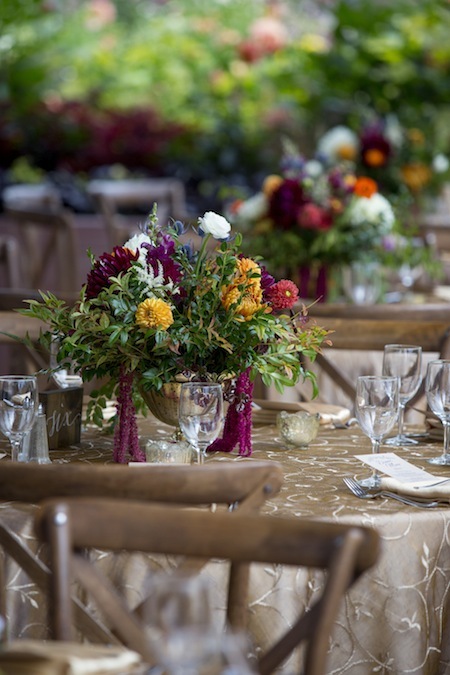 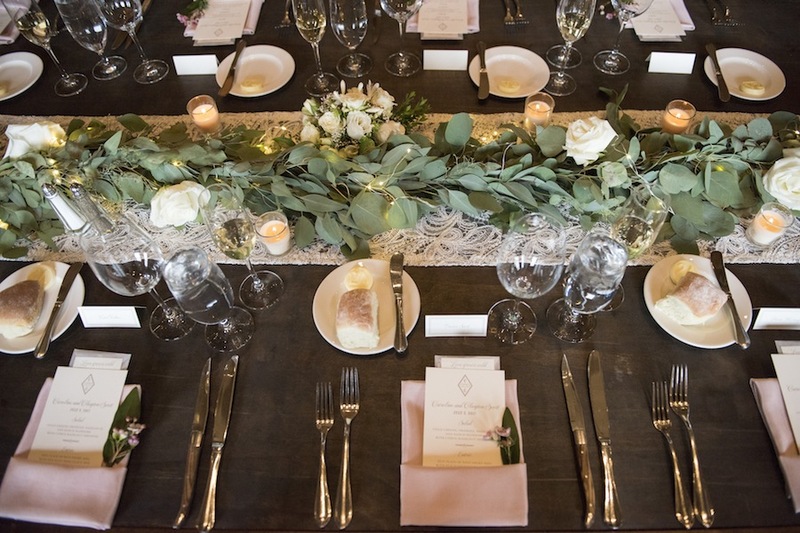 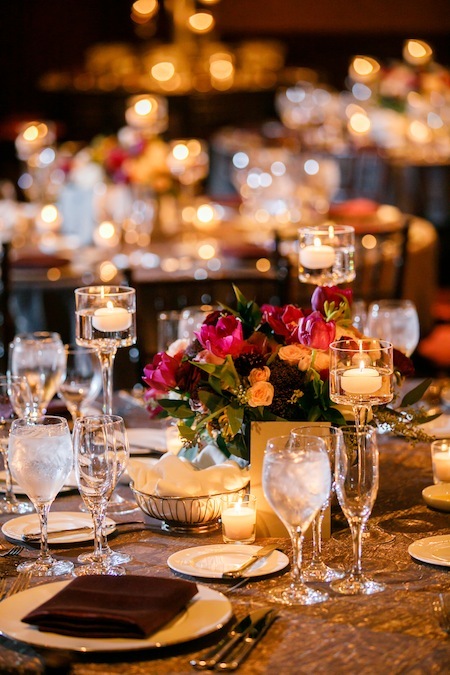 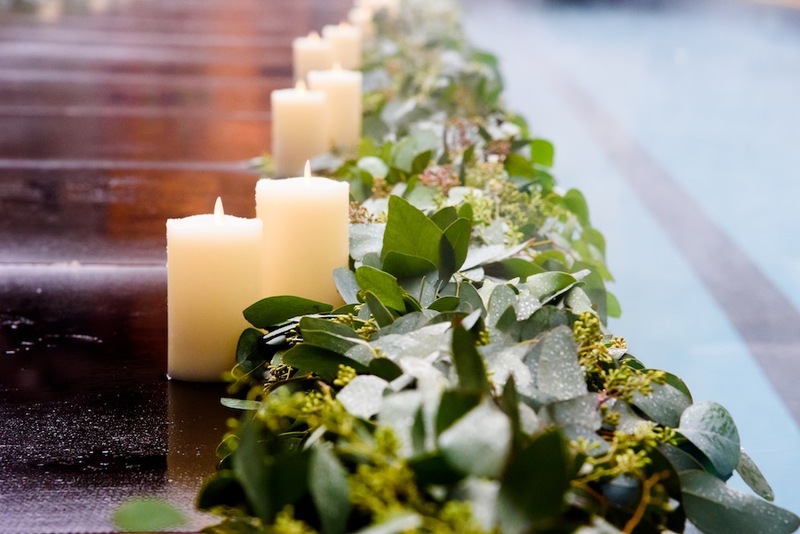 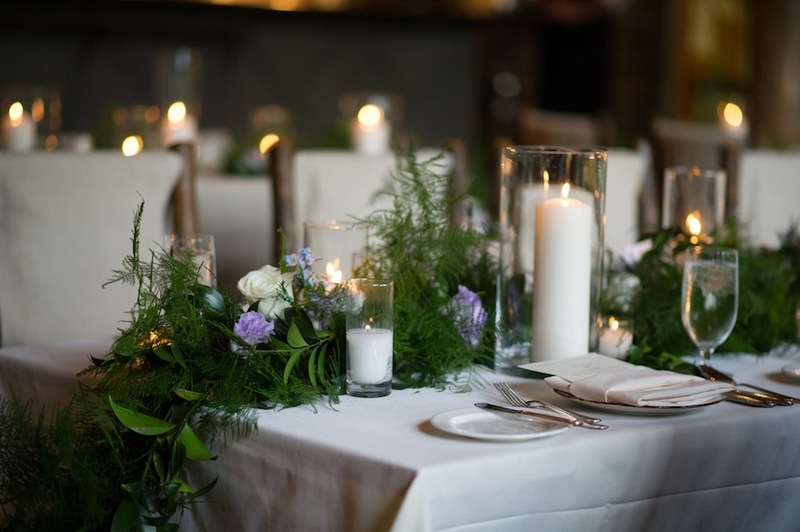 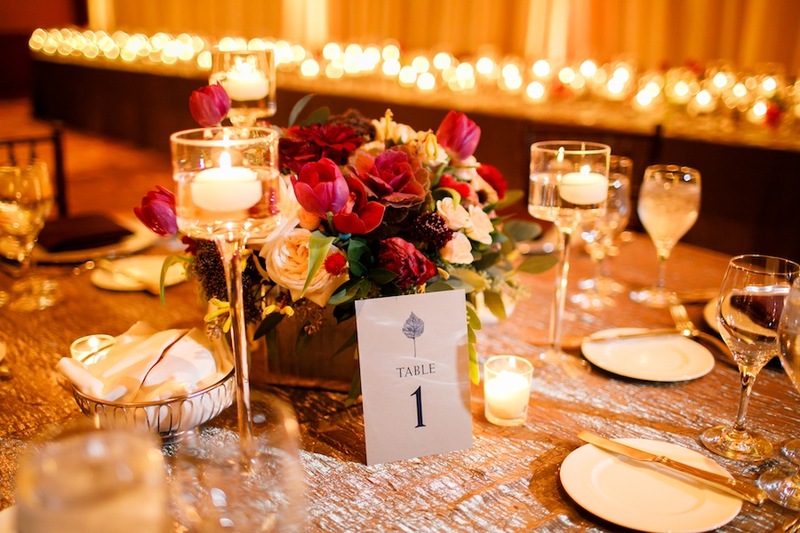 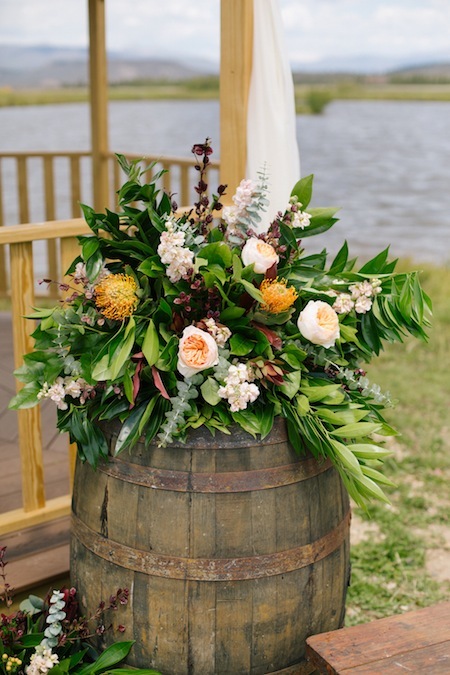 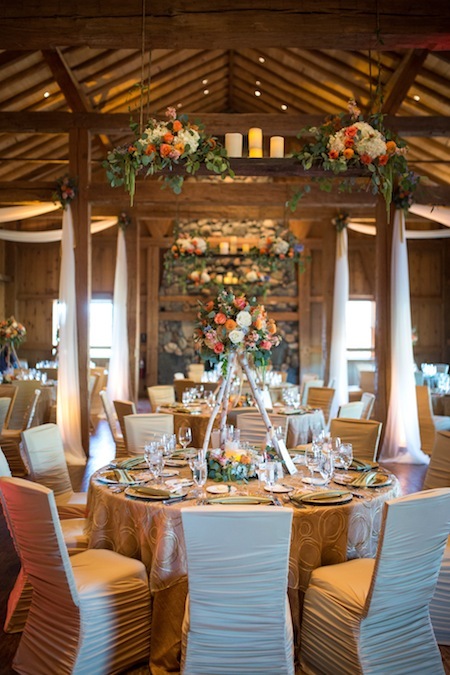 The stunning fall florals from Statice Floral further enhanced the natural beauty of the venue, and Caitlin Hamilton Photography captured wonderful images from the day. 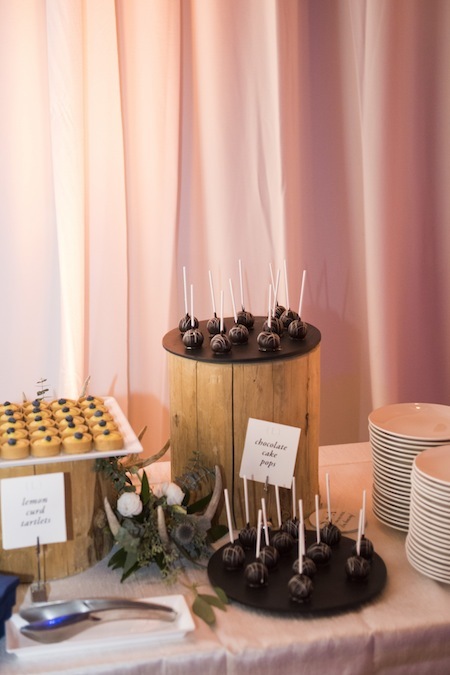 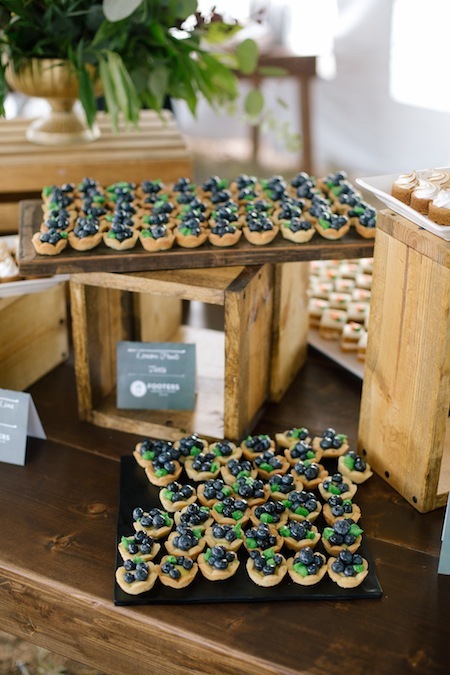 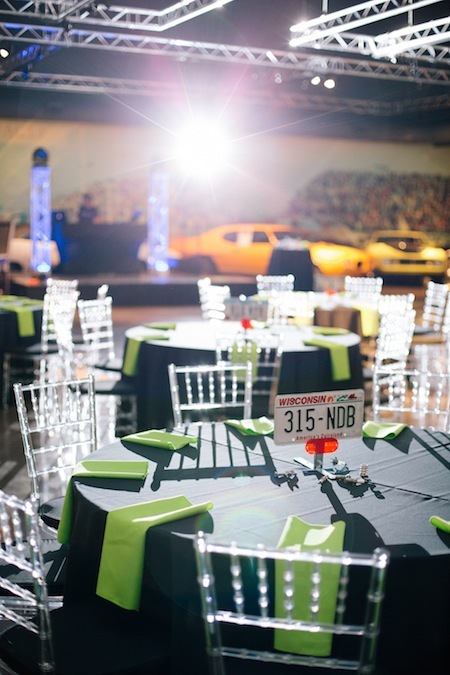 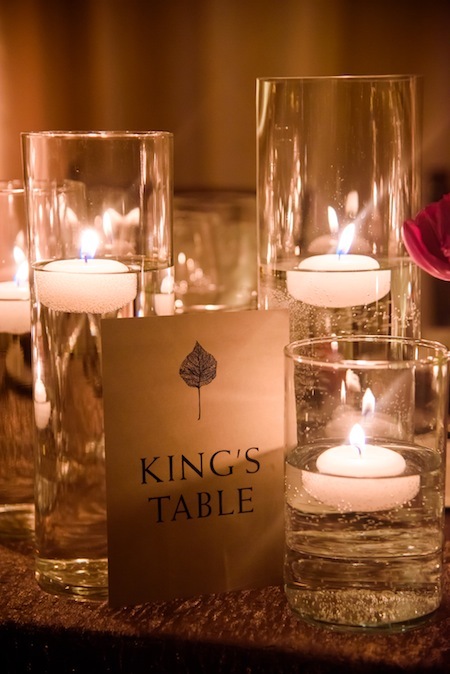 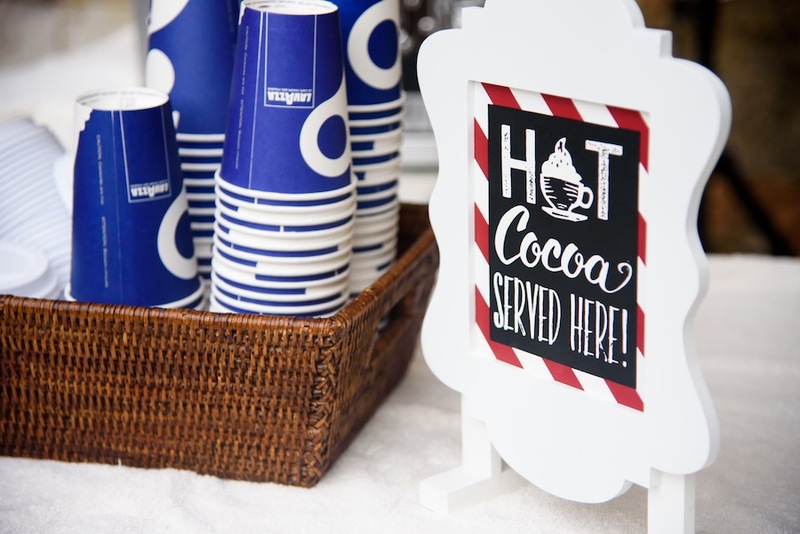 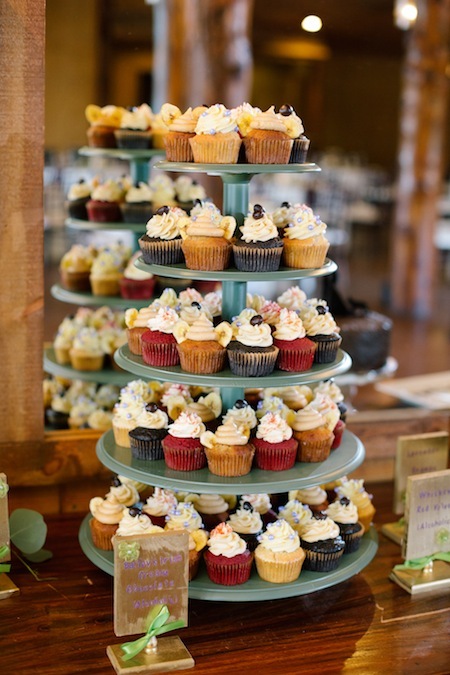 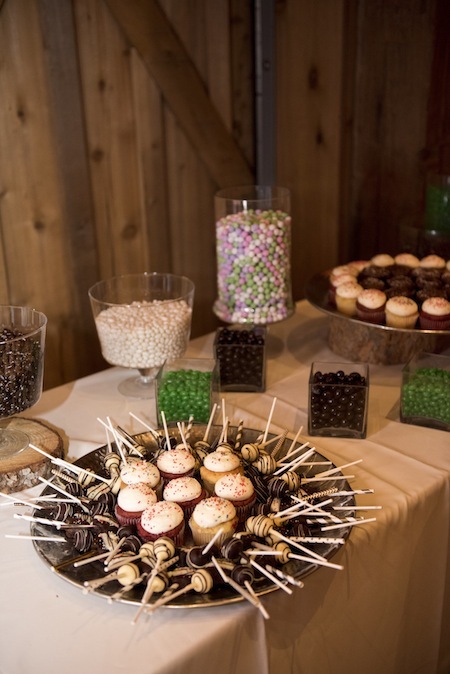 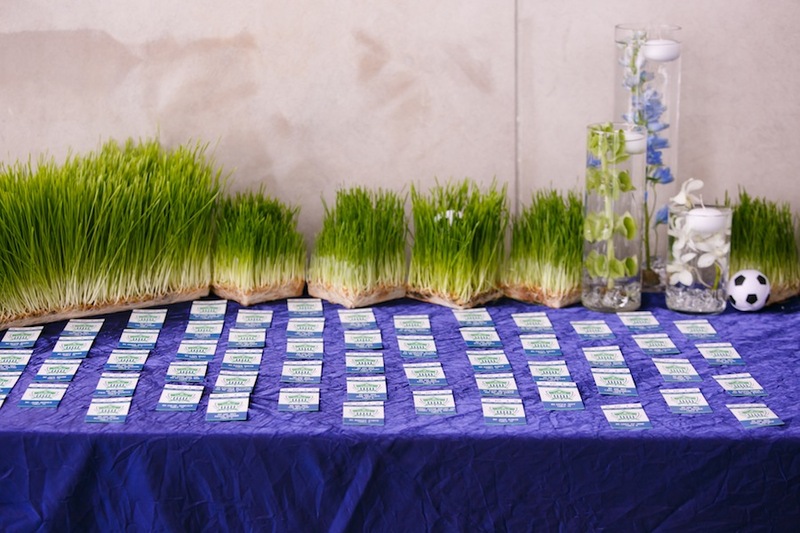 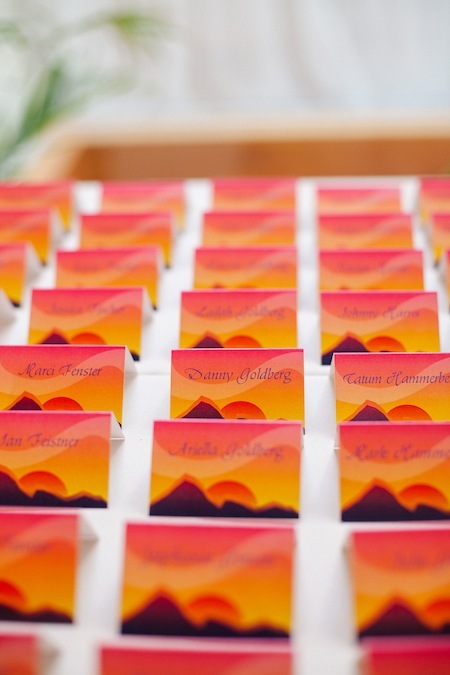 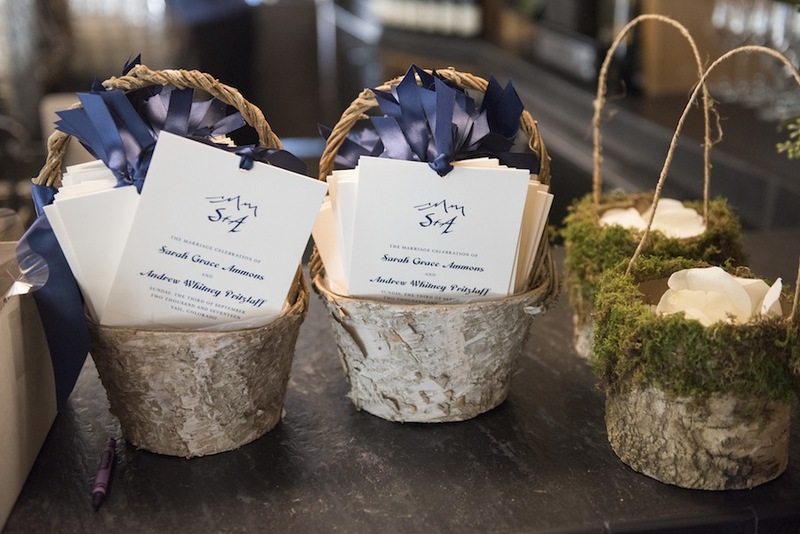 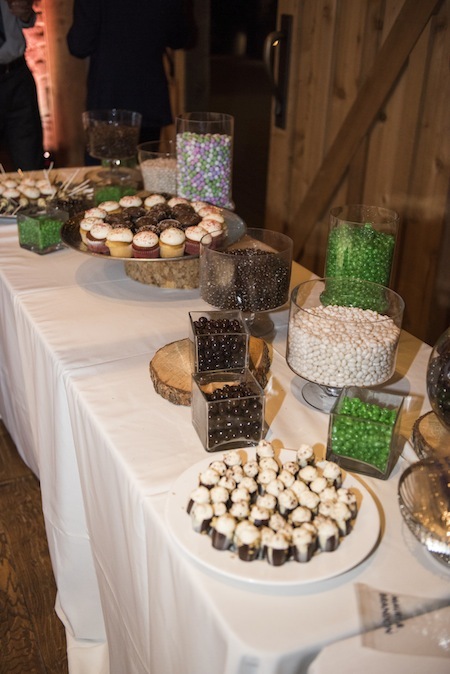 JA Special Events handled the event planning and coordination, and Footers Catering provided guests with delicious food and desserts throughout the evening. 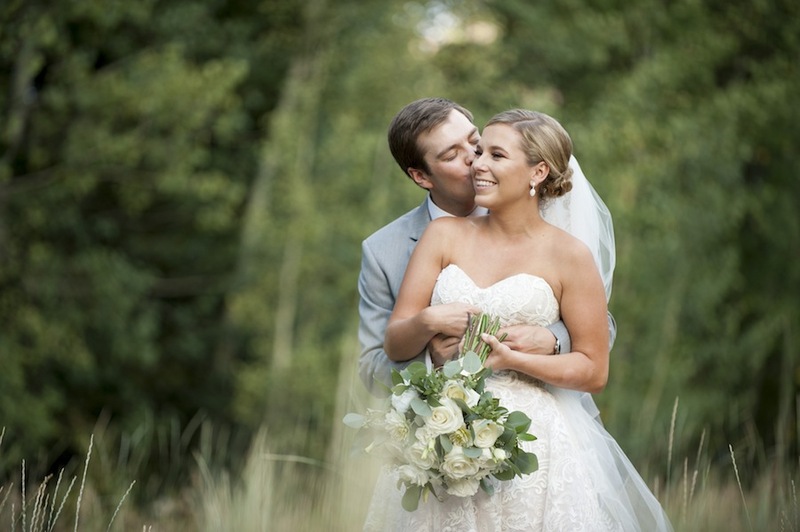 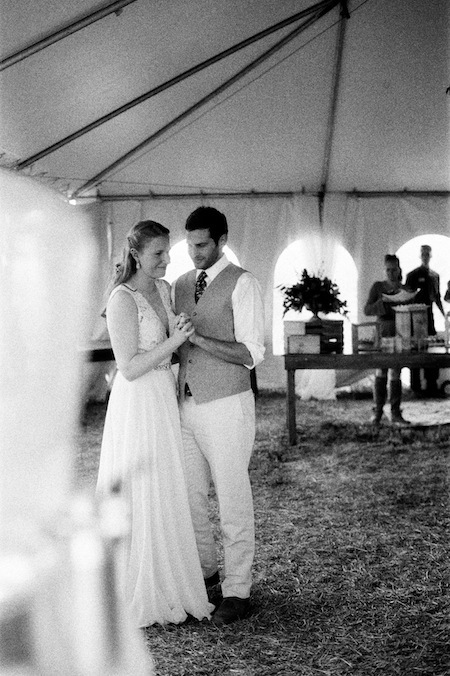 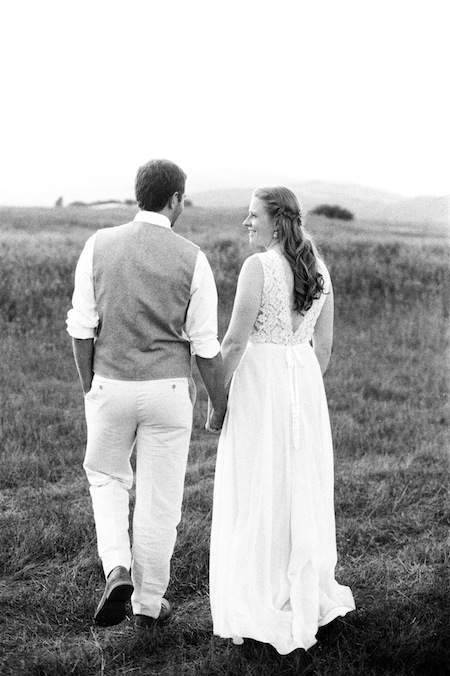 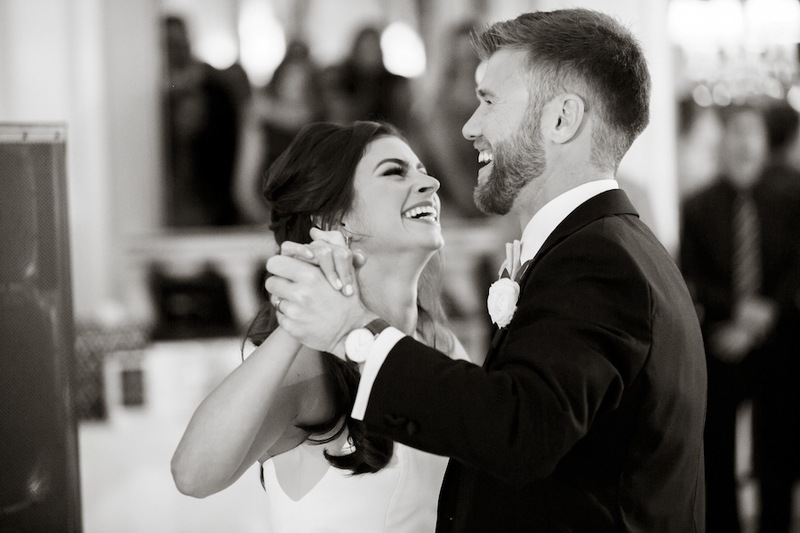 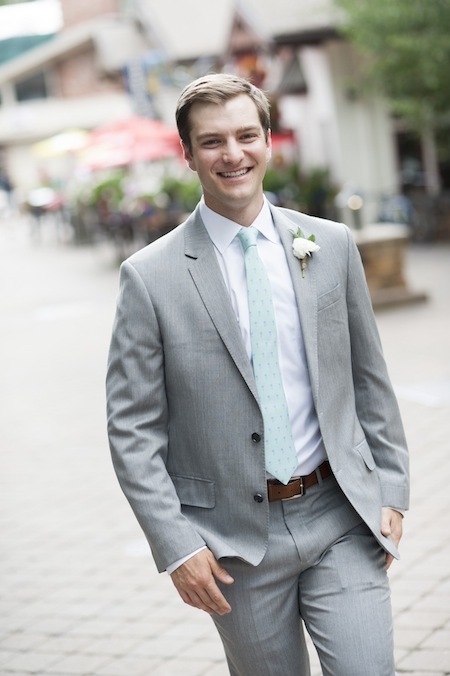 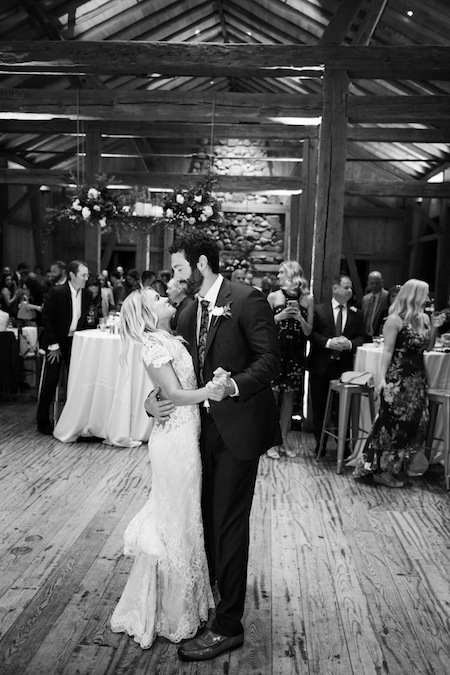 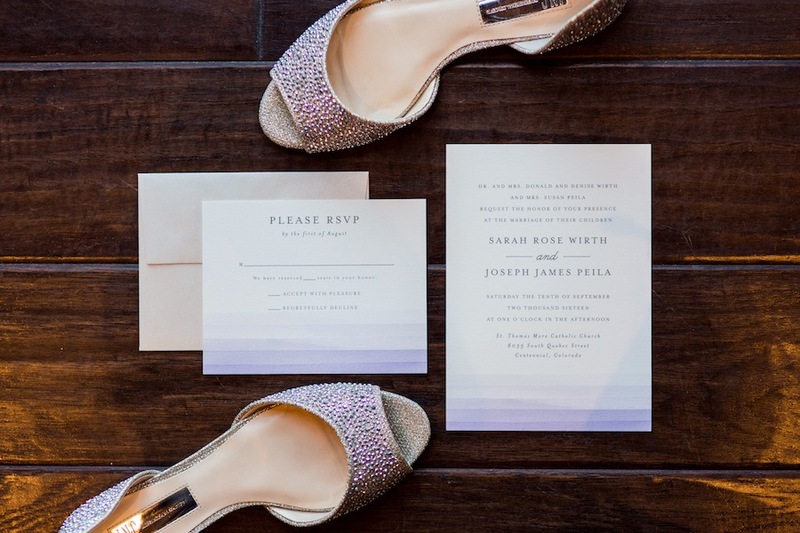 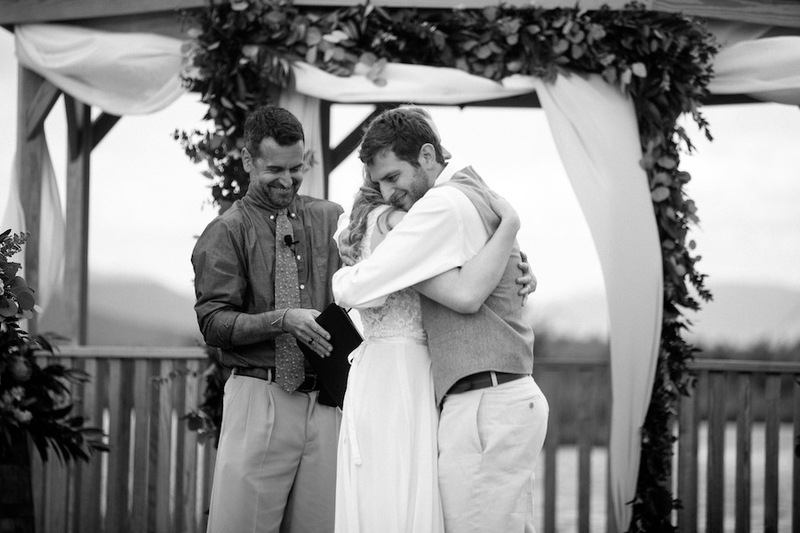 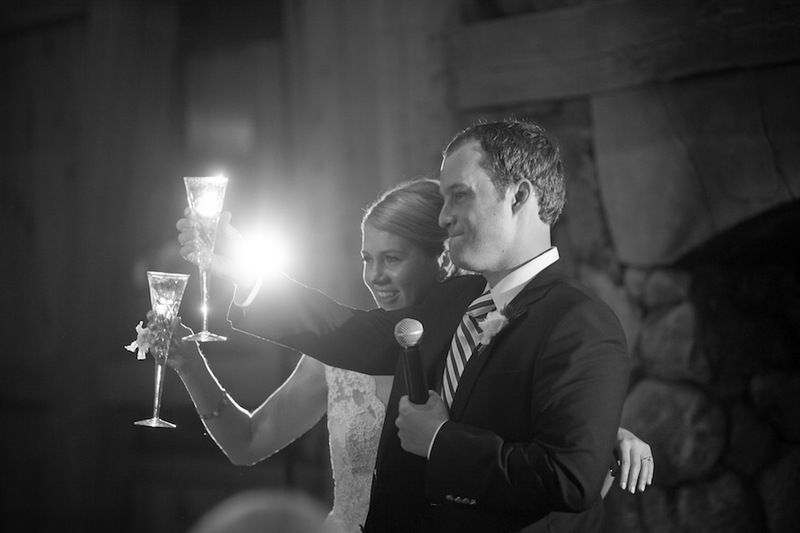 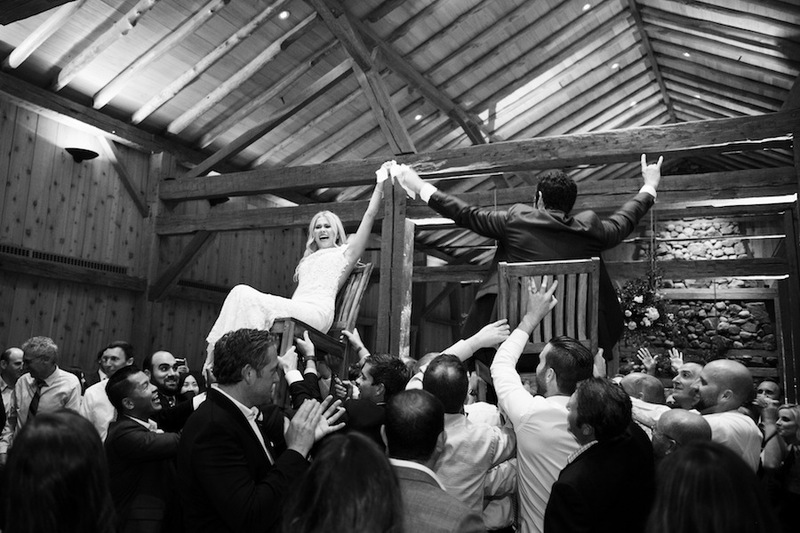 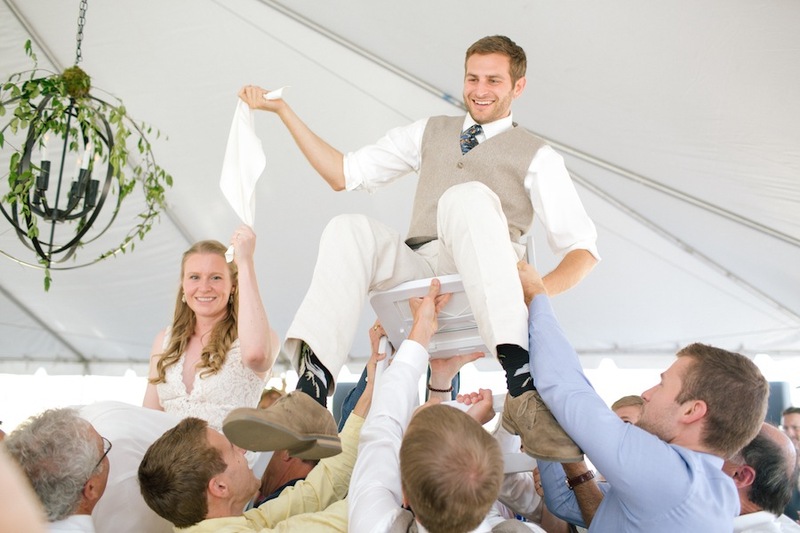 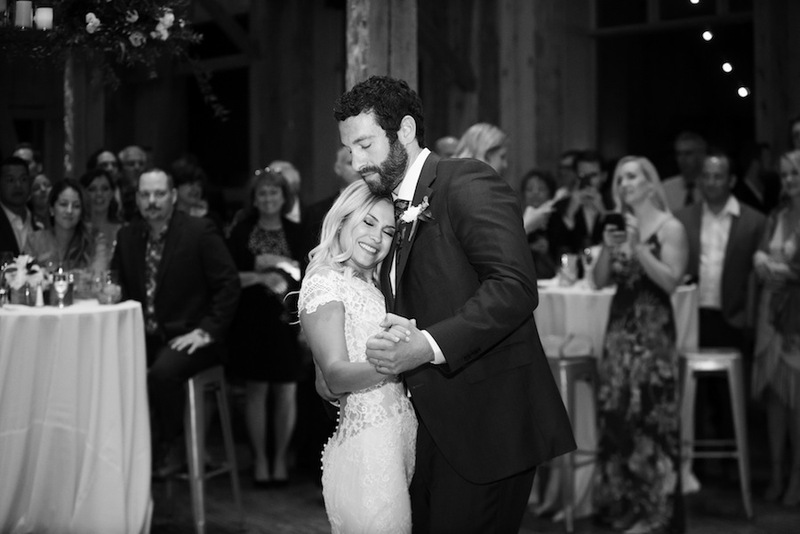 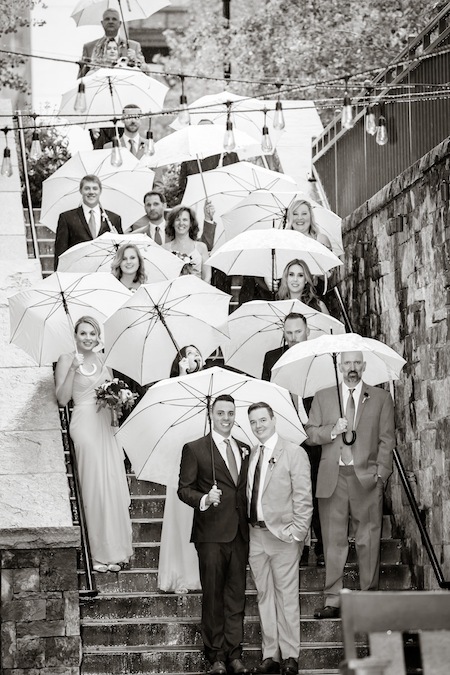 We couldn’t be happier for you, Laura + Zach, and loved being a part of your memorable day! 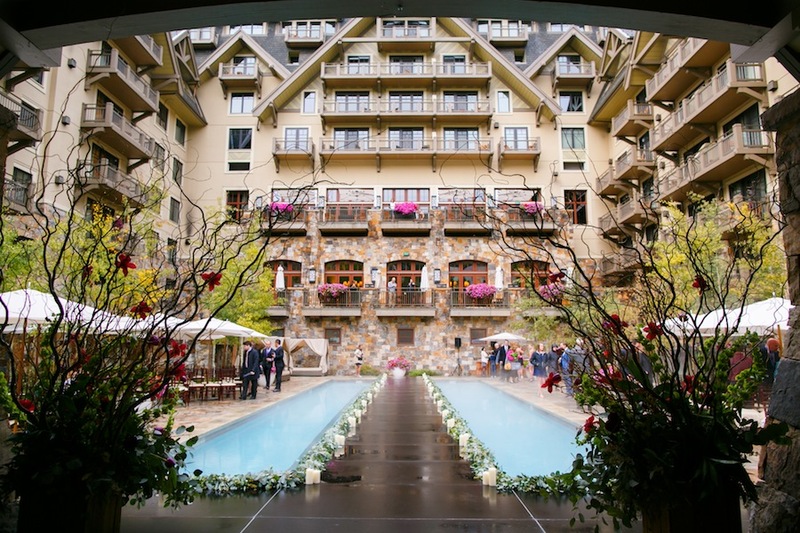 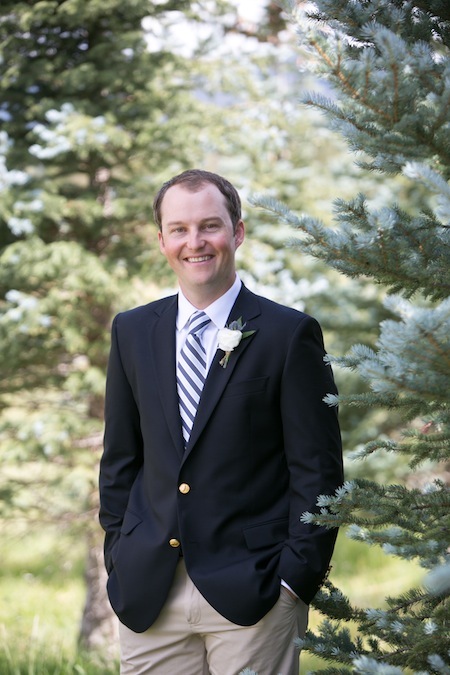 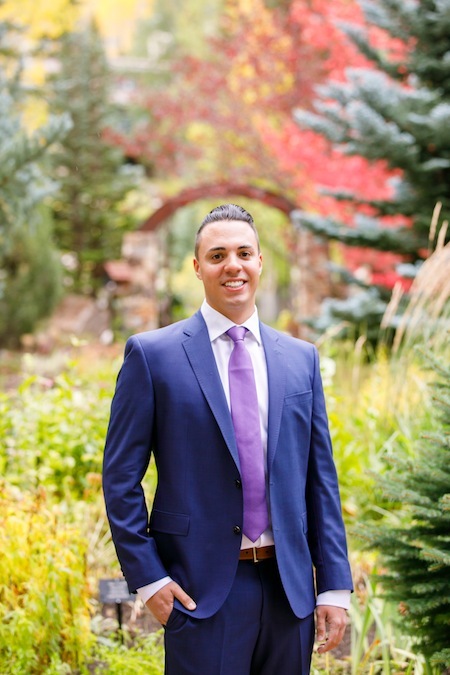 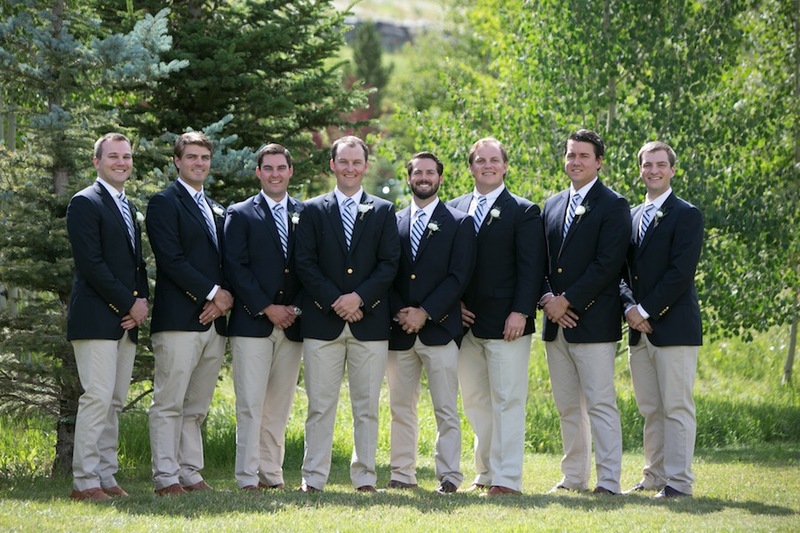 What a privilege it was celebrating the marriage of Peter + Michael at the picturesque Four Seasons Vail. 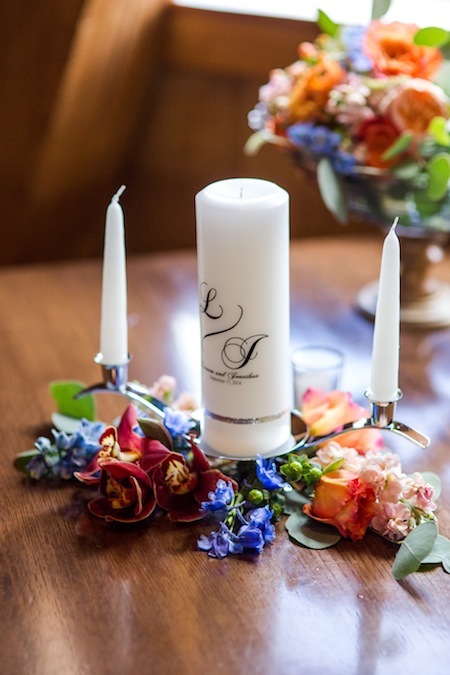 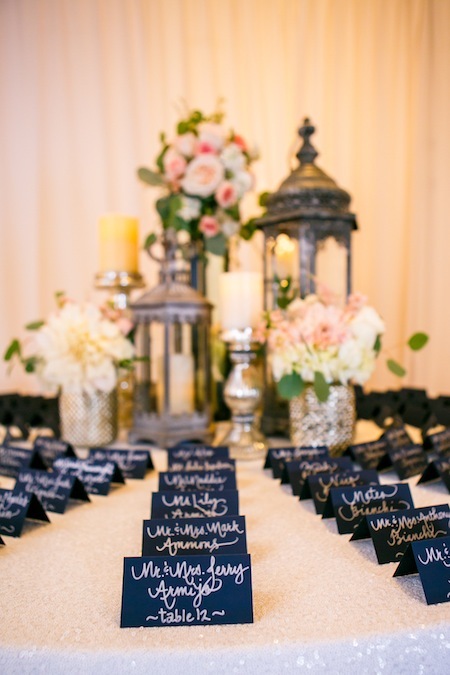 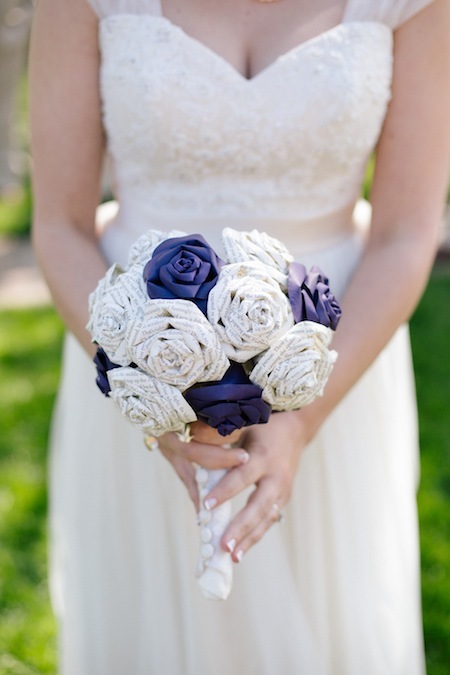 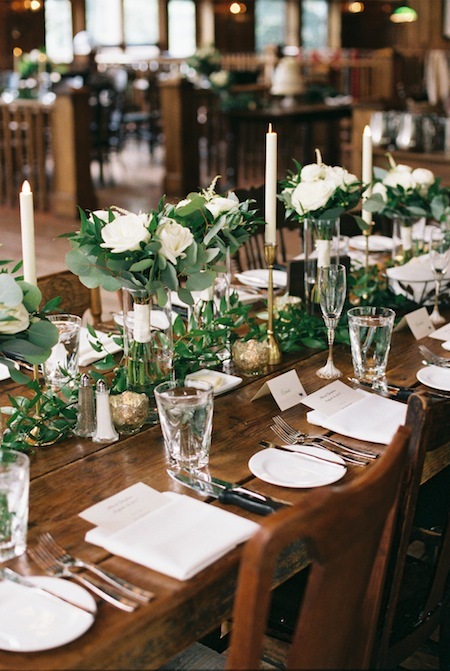 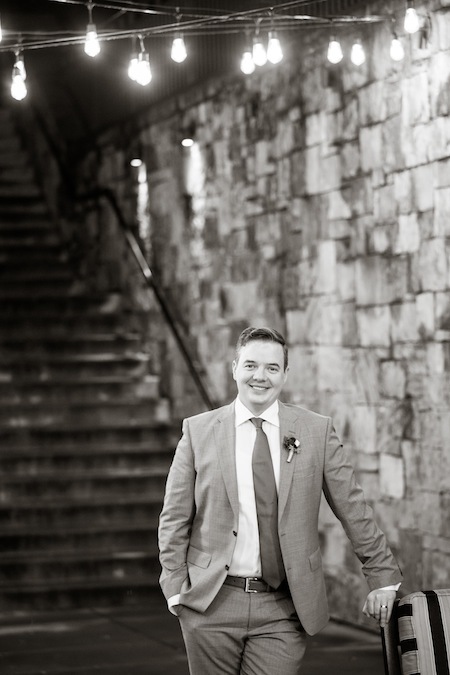 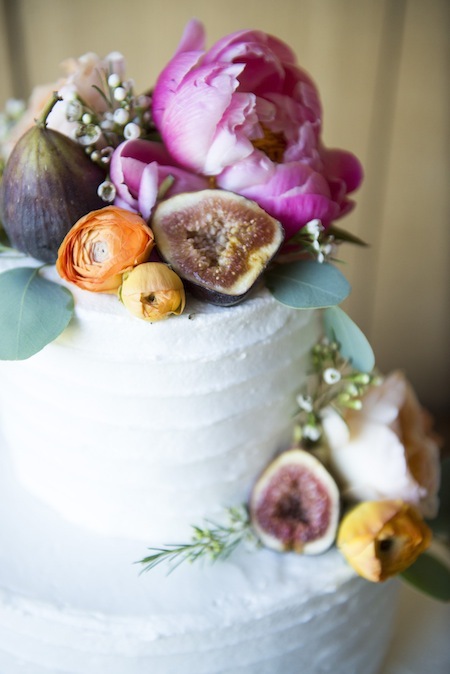 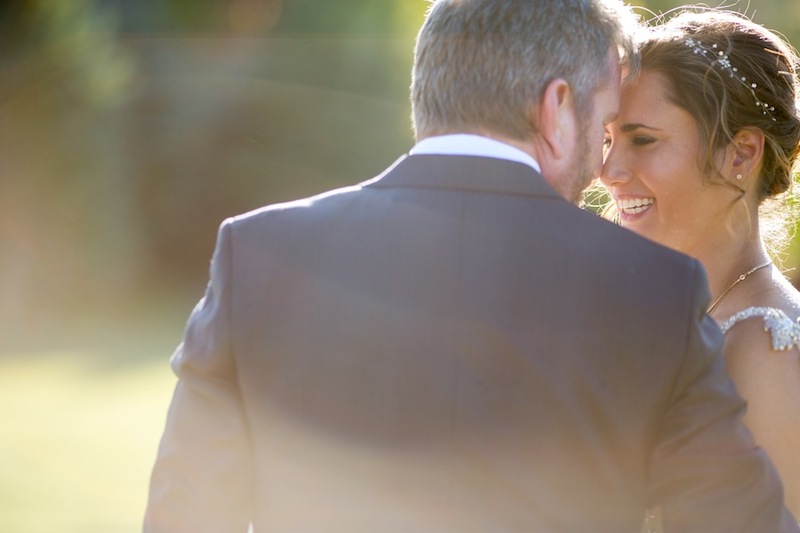 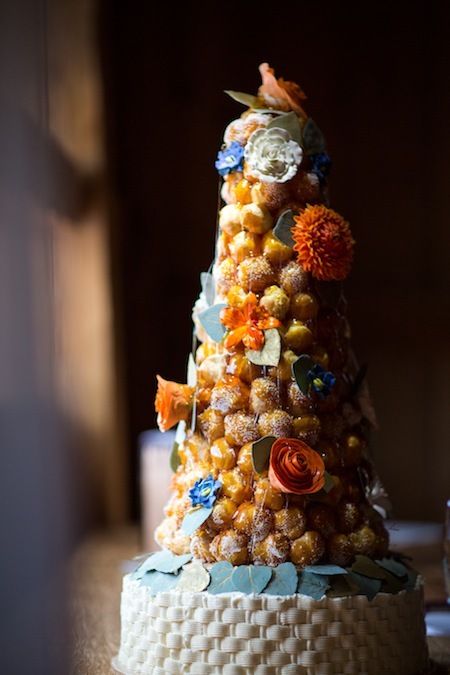 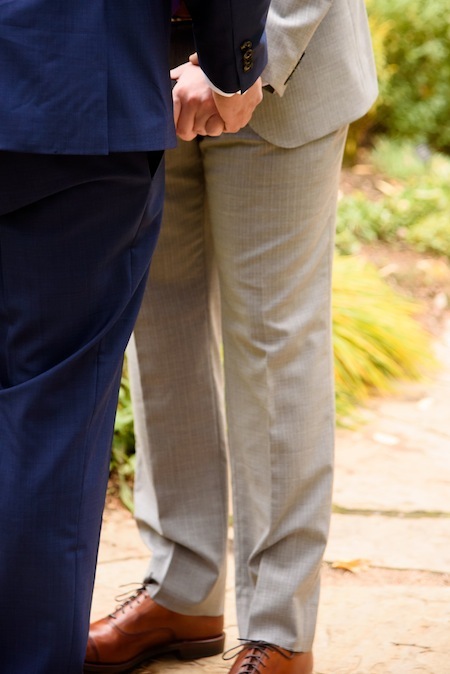 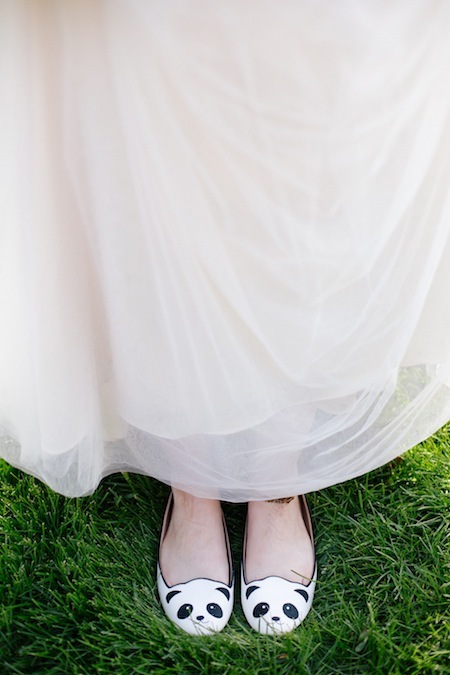 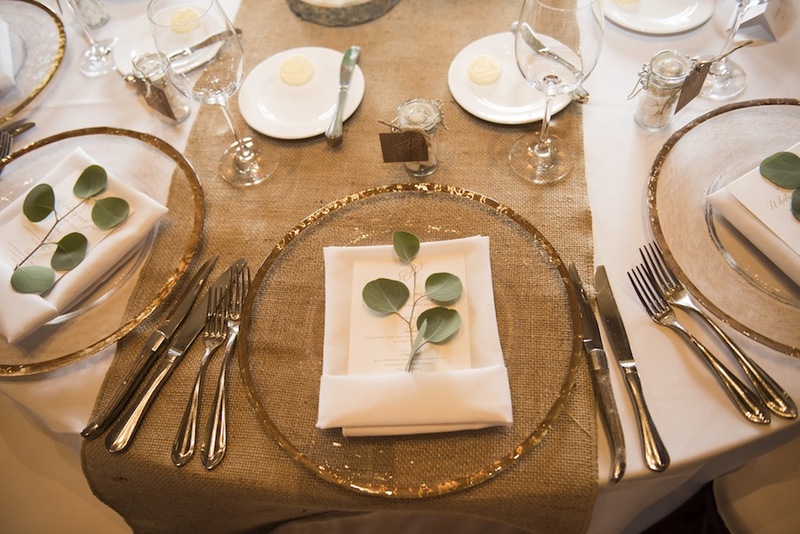 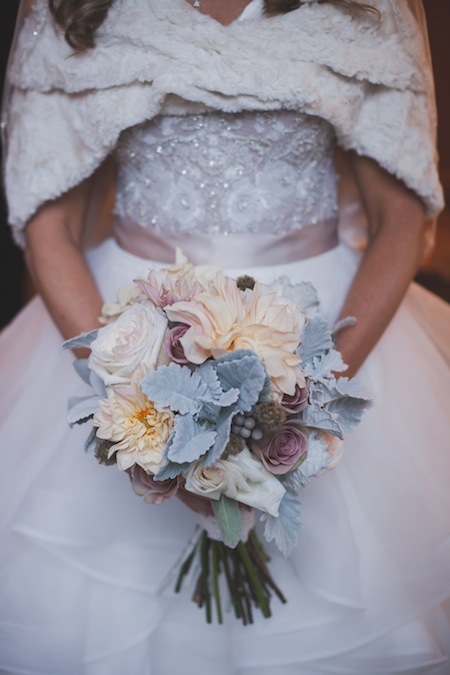 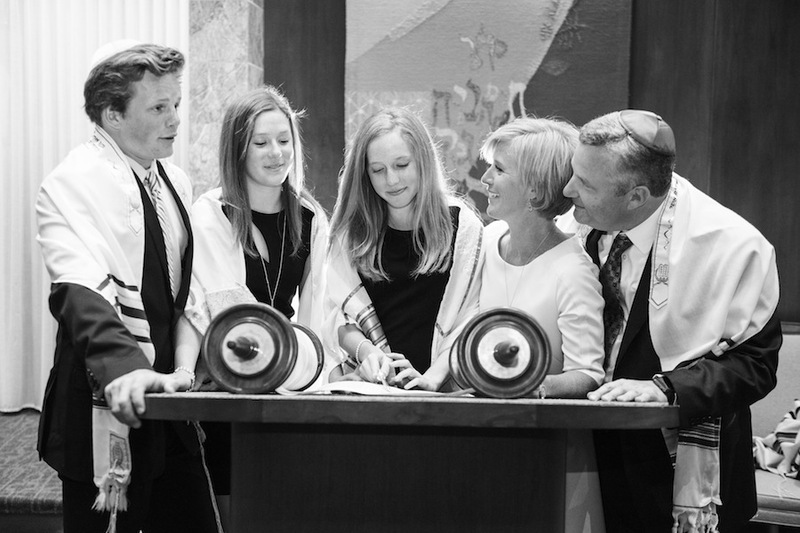 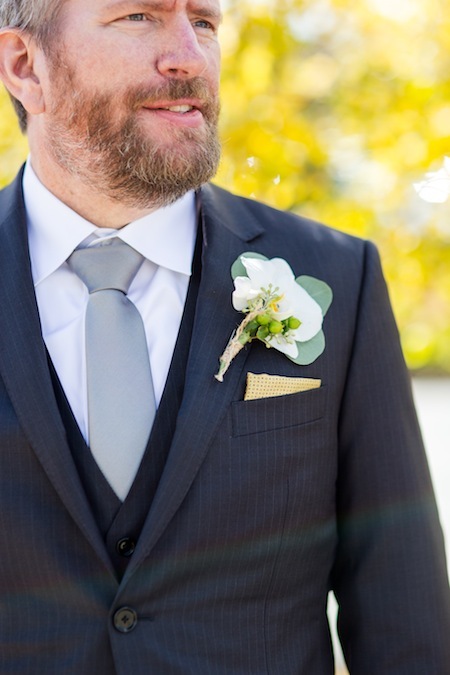 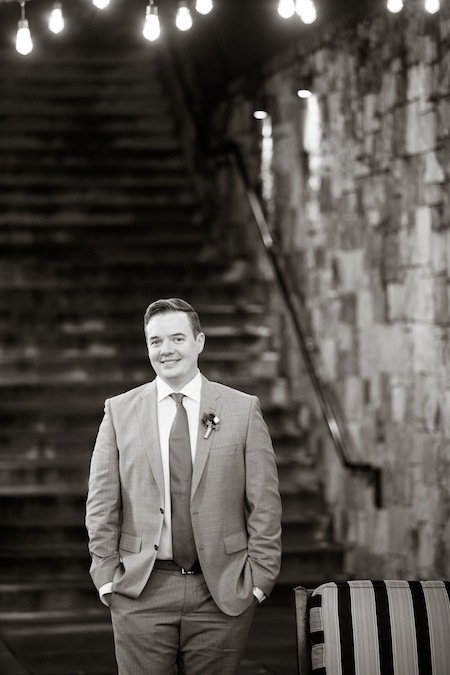 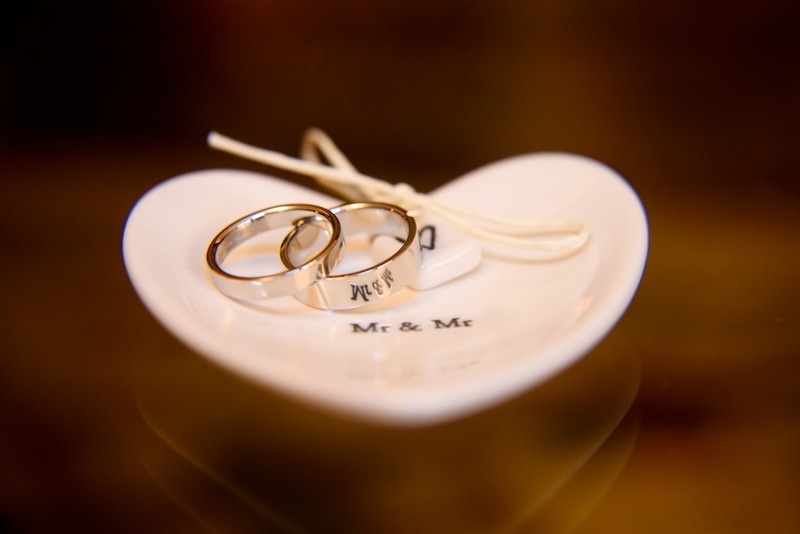 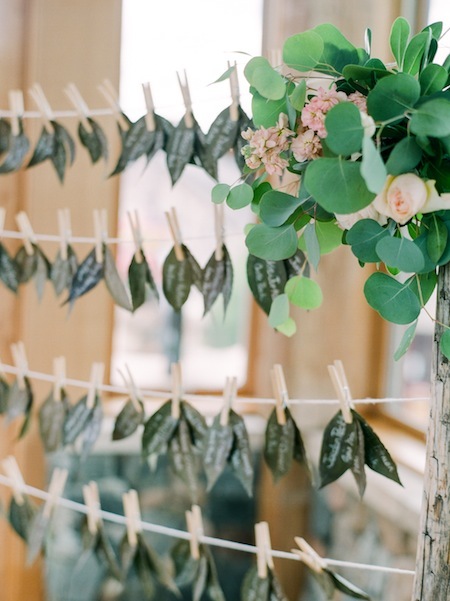 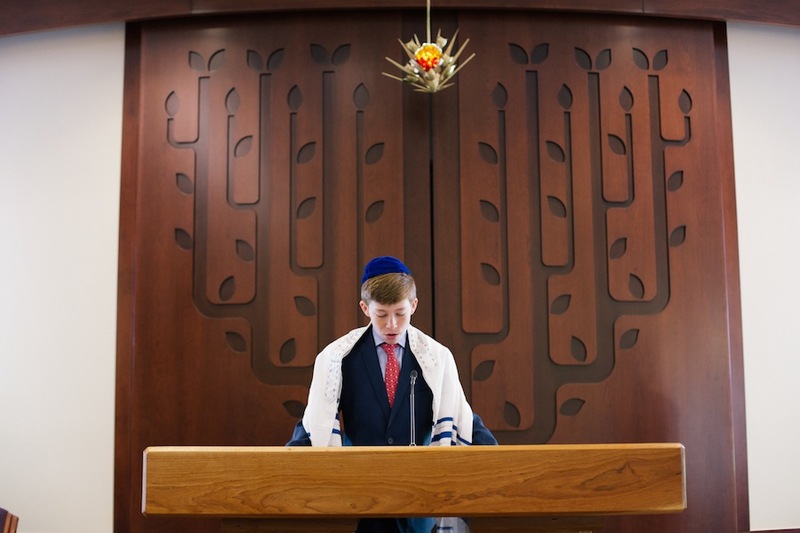 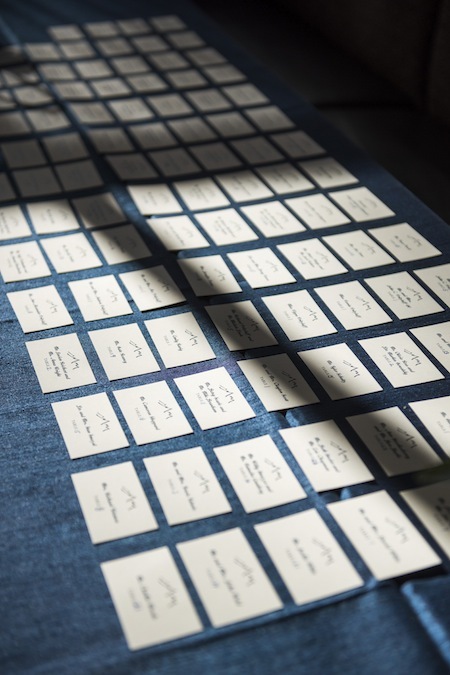 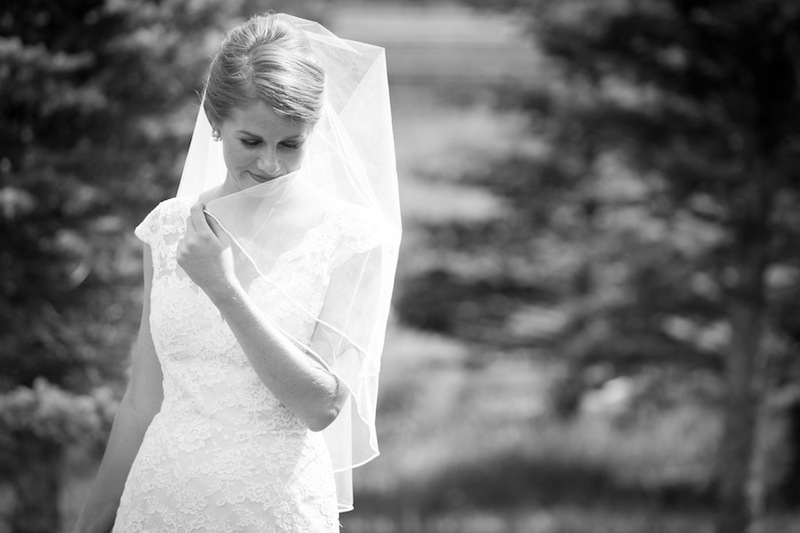 Lovely images of the couple’s special day were captured by the talented Frances Photography. 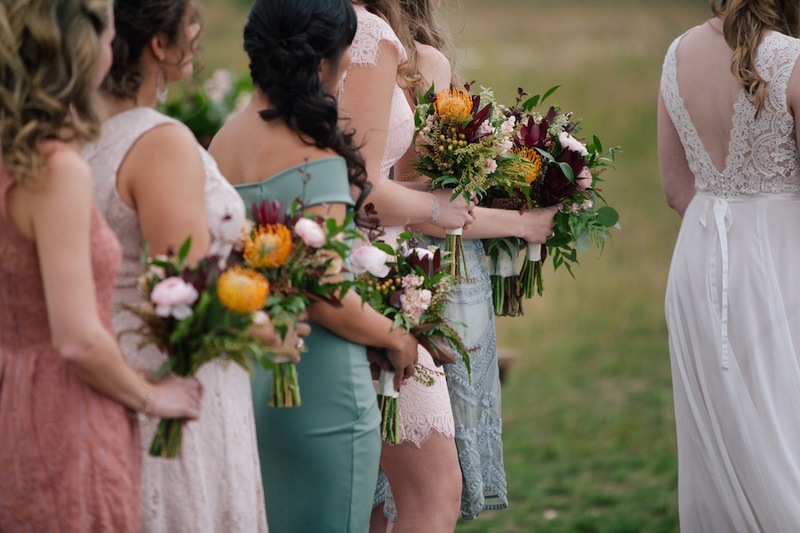 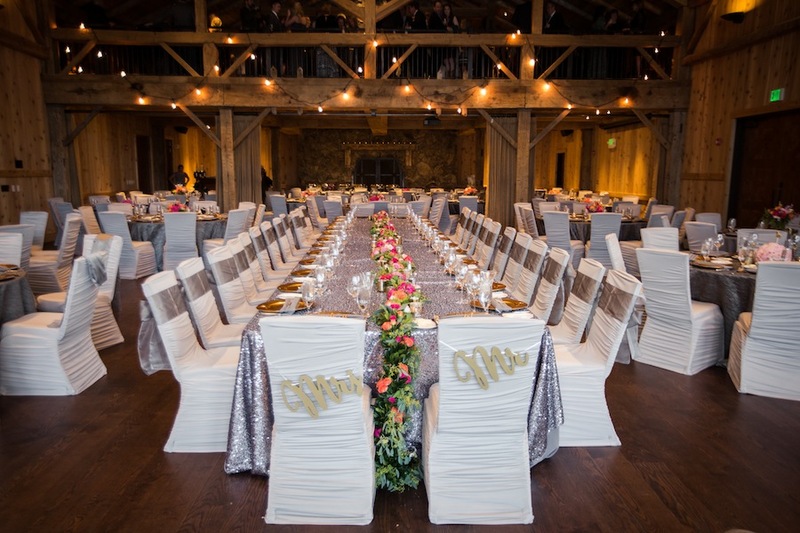 With the stunning fall colors adding such natural beauty, the gorgeous florals provided by Vintage Magnolia and the fabulous decor and lighting by Pink Monkey were the perfect addition to the overall ambiance. 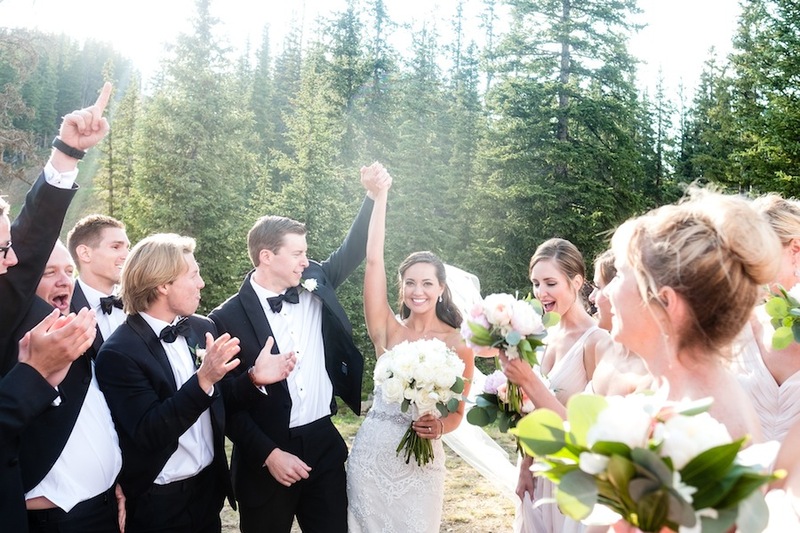 JA Special Events ensured that all planning and coordination were handled so that the couple could relax and enjoy their magnificent day. 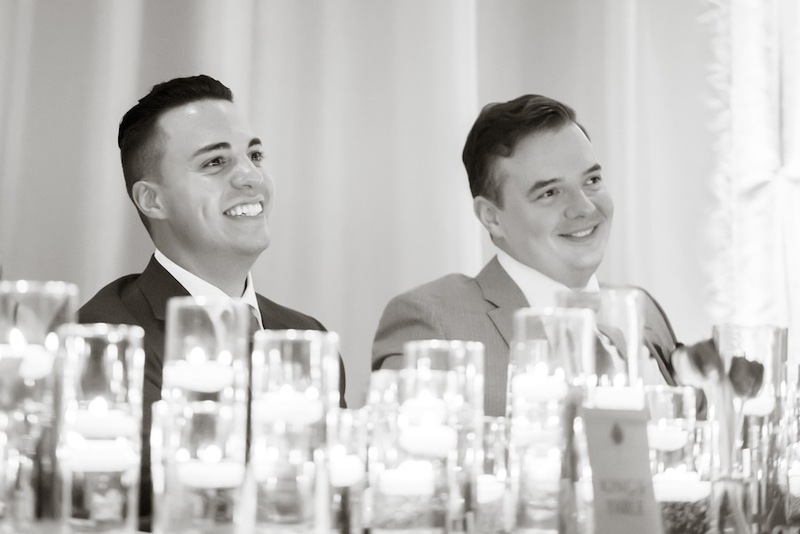 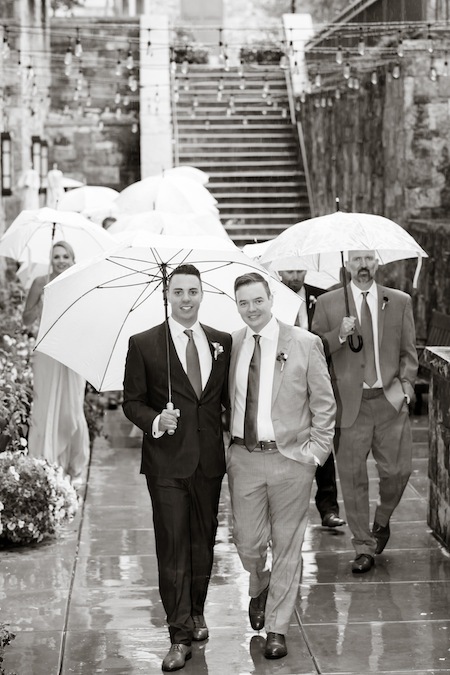 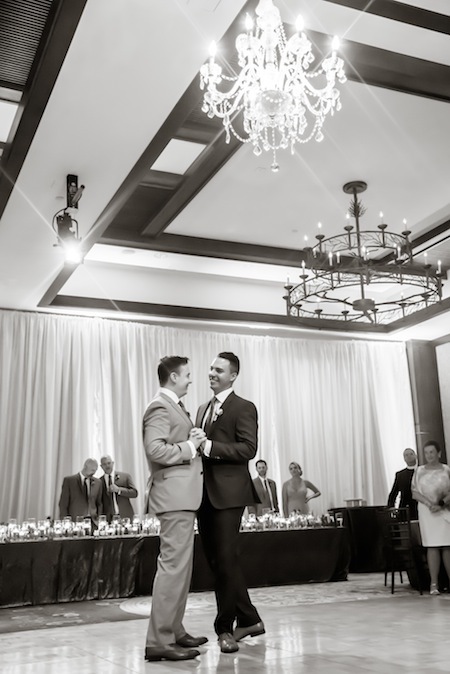 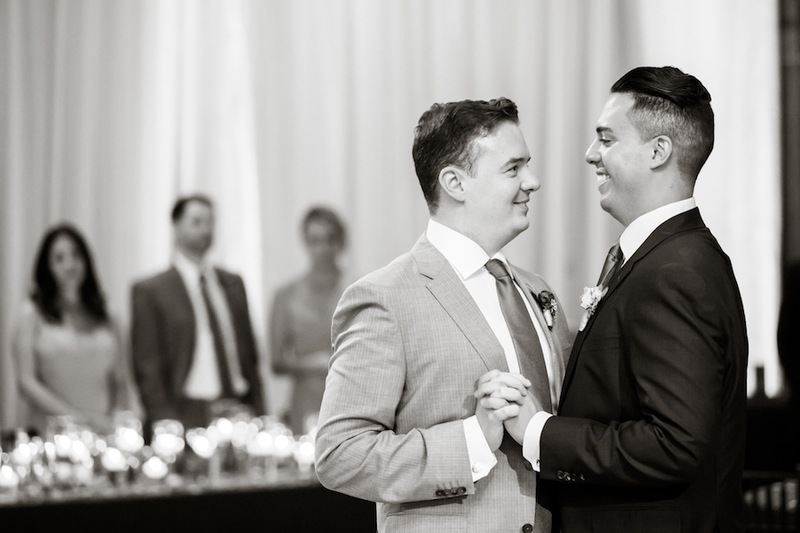 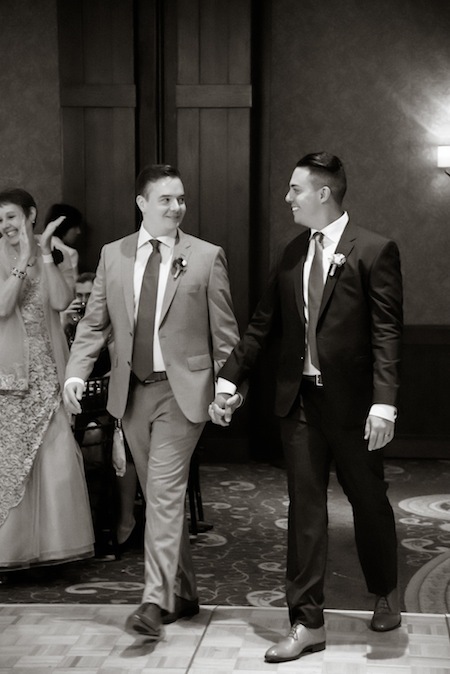 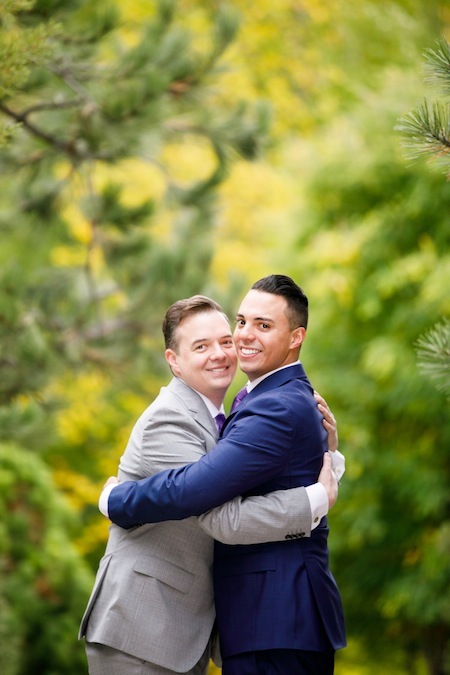 Thanks for letting us share in your joy, Peter + Michael! 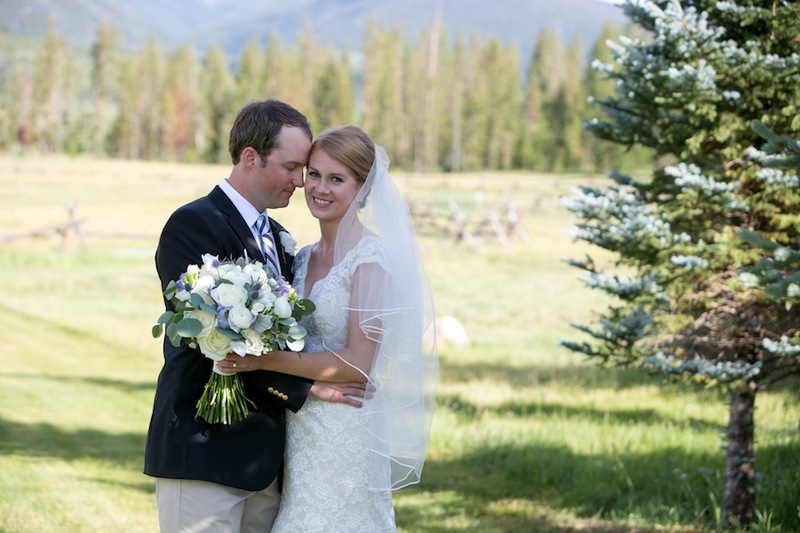 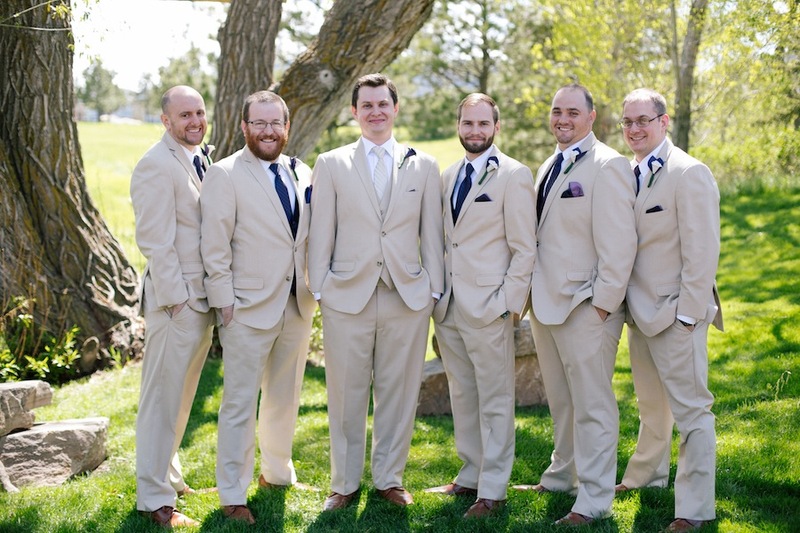 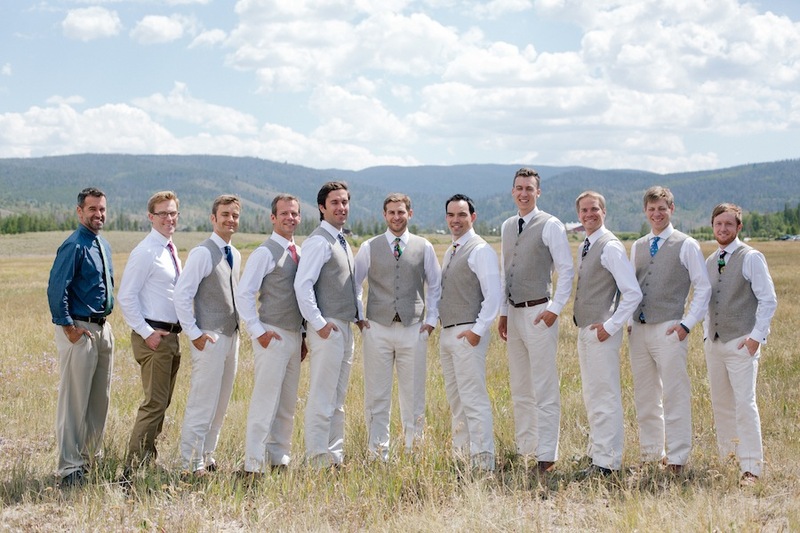 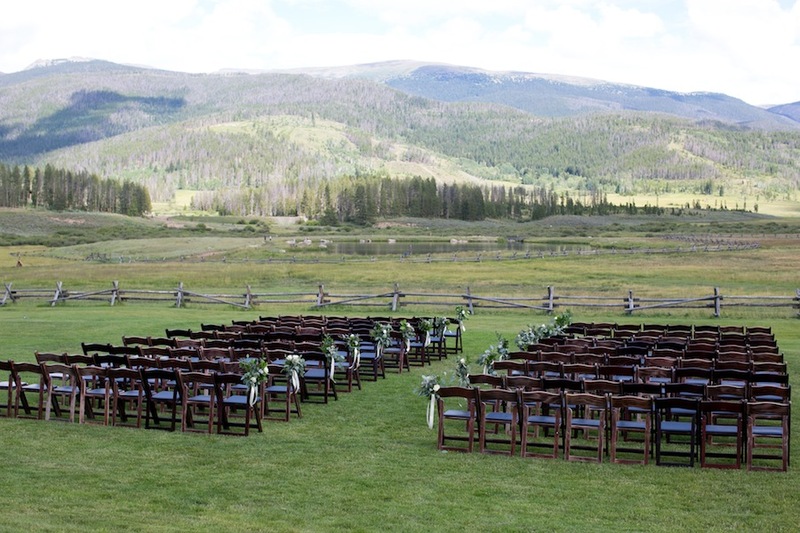 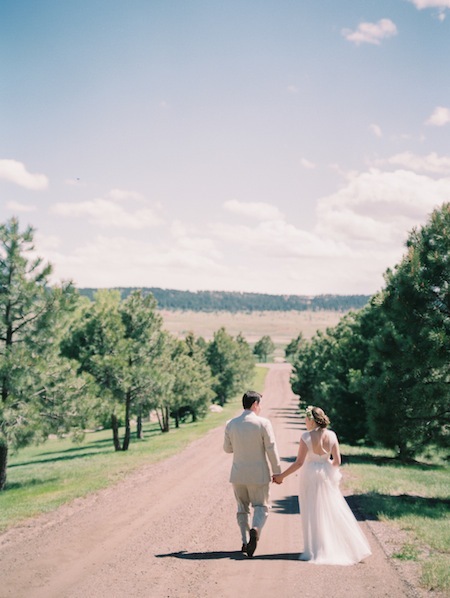 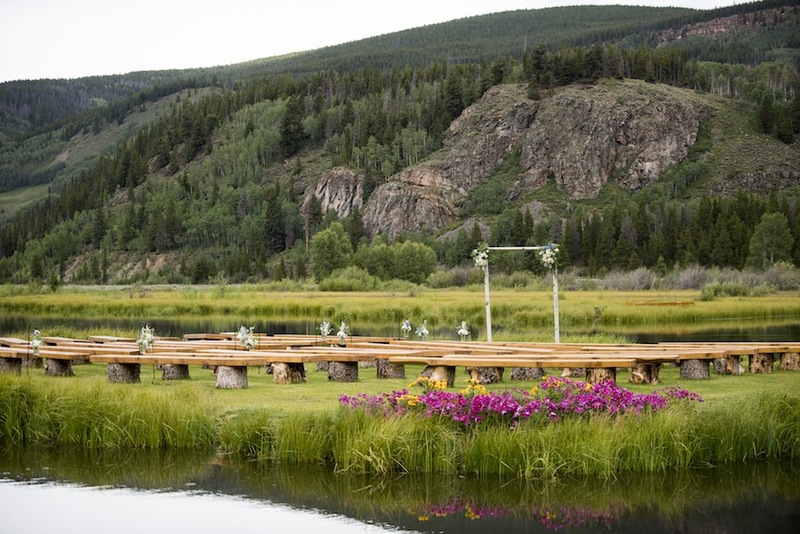 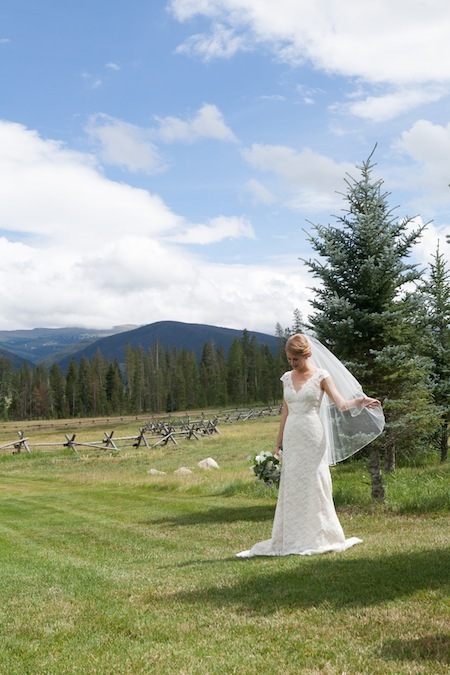 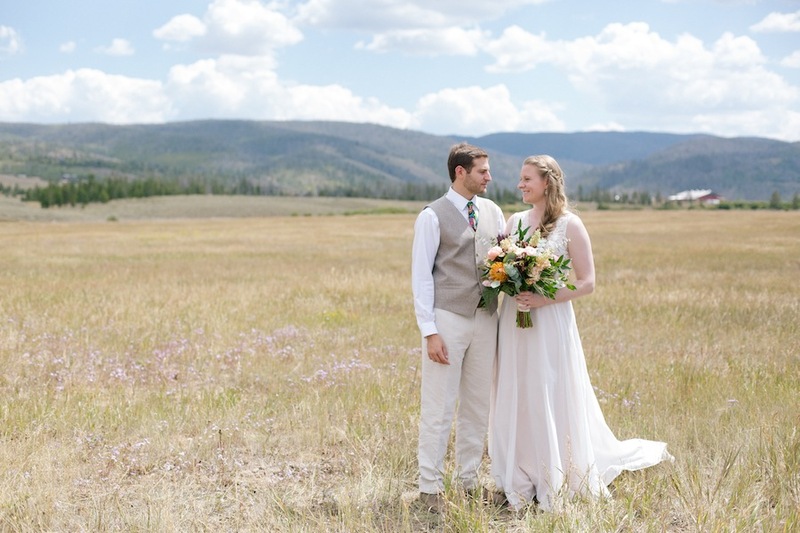 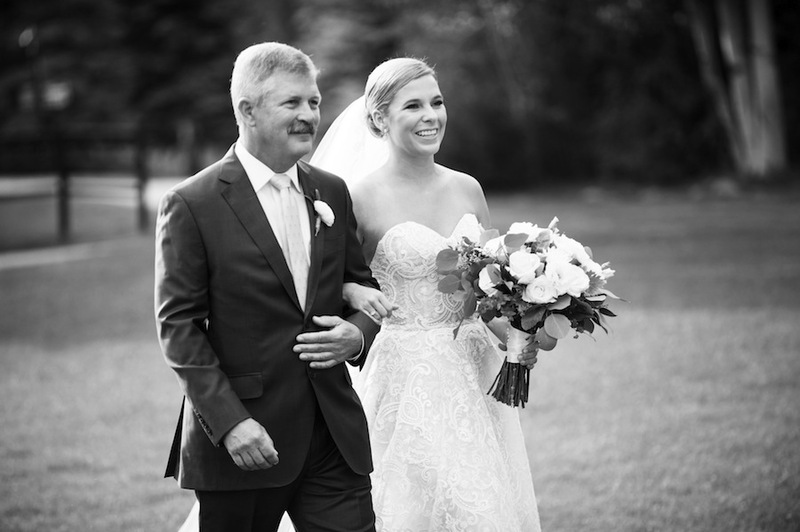 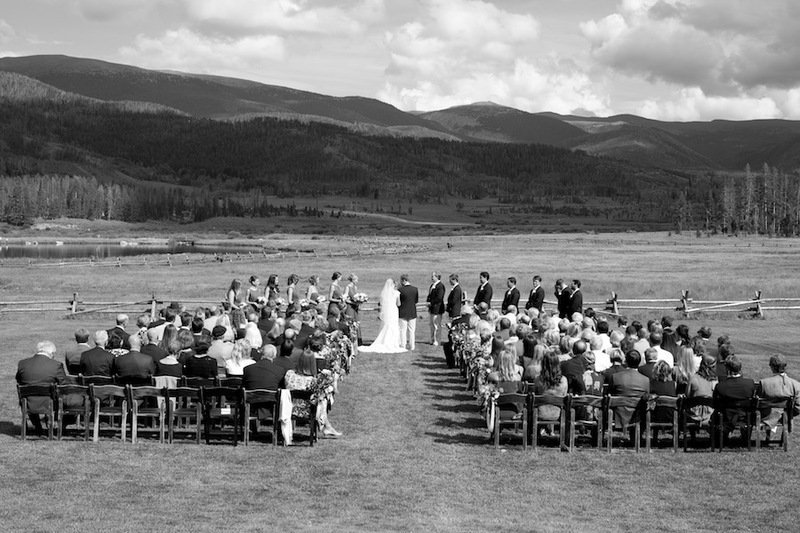 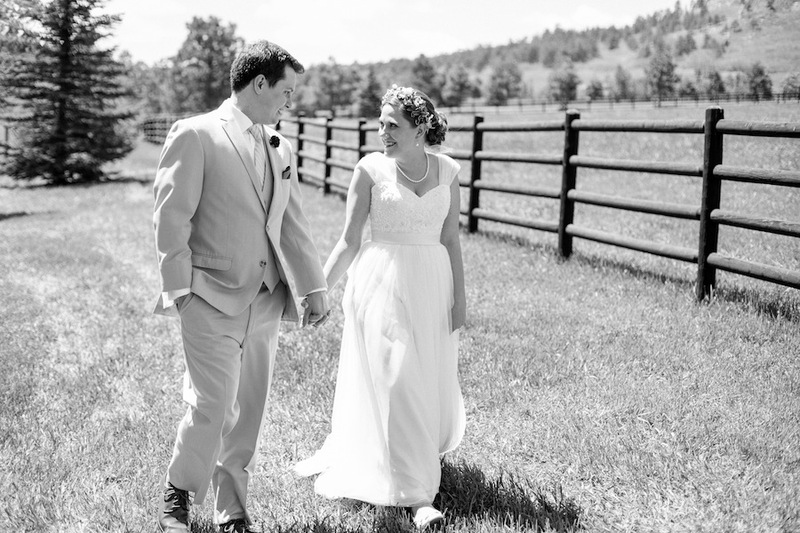 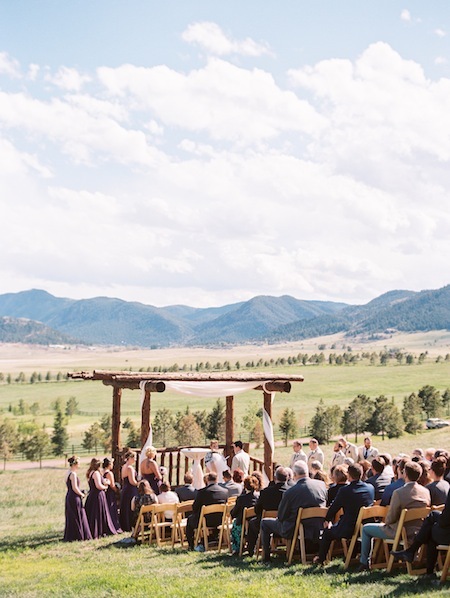 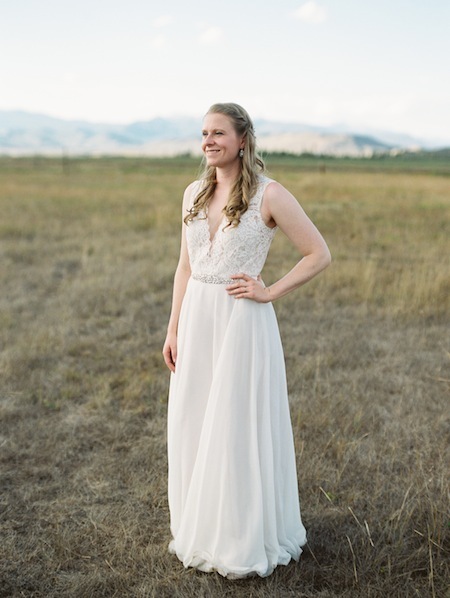 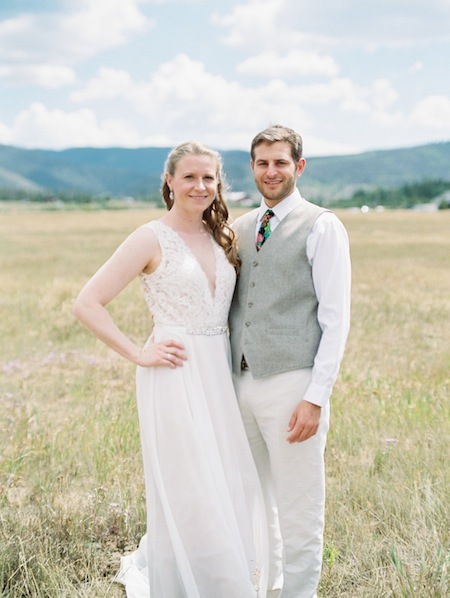 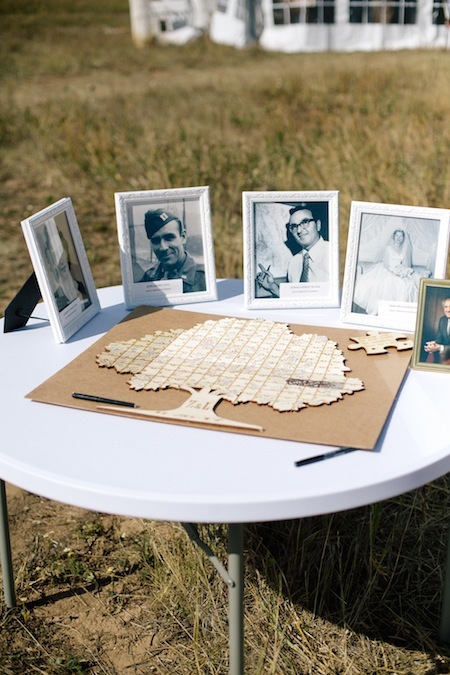 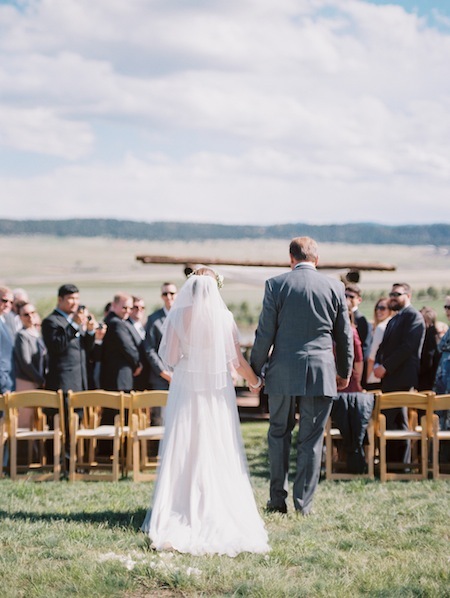 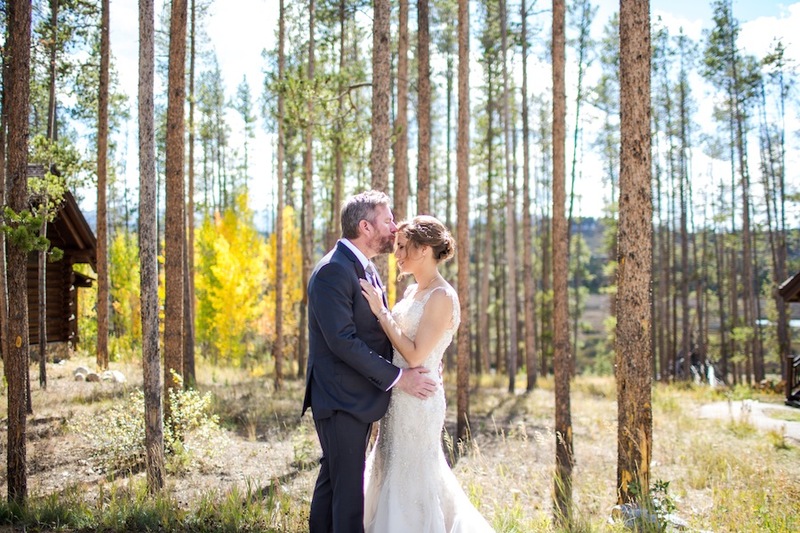 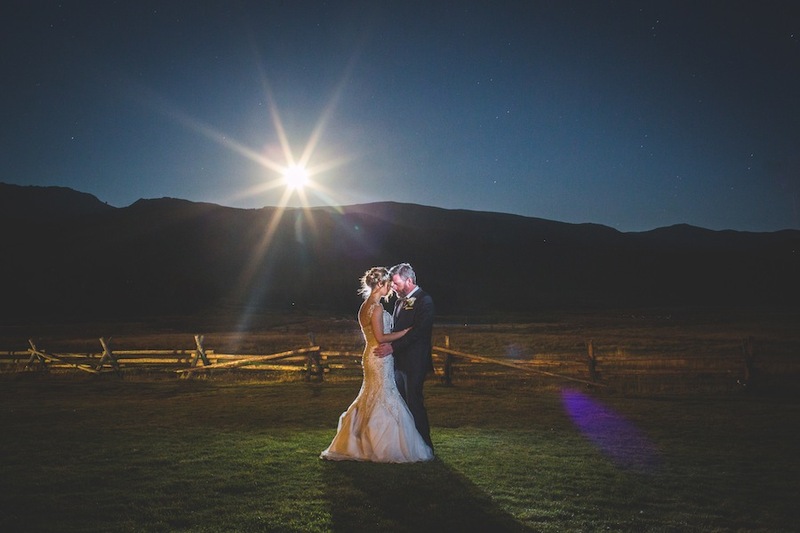 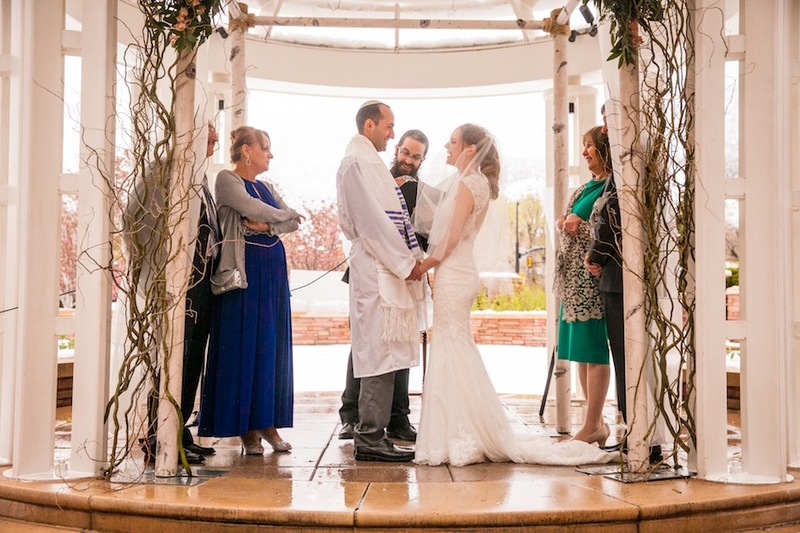 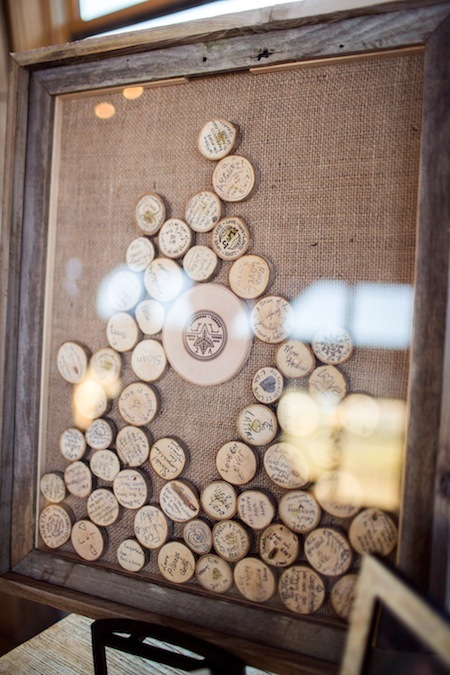 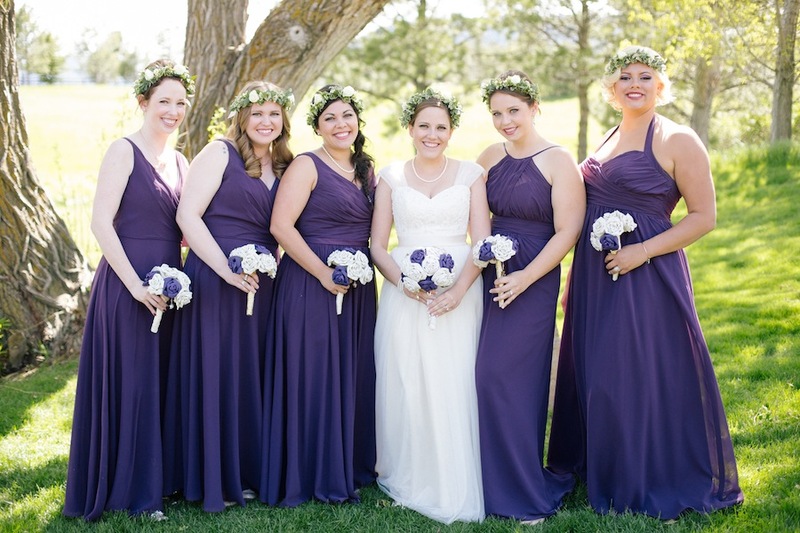 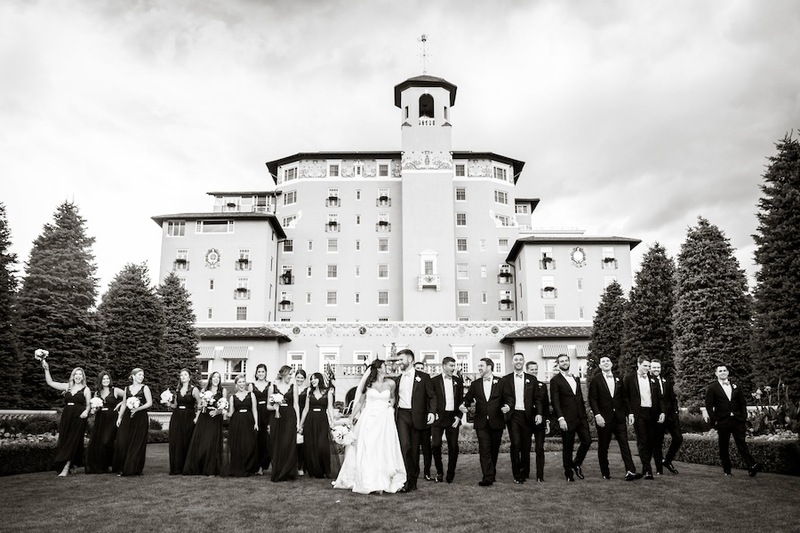 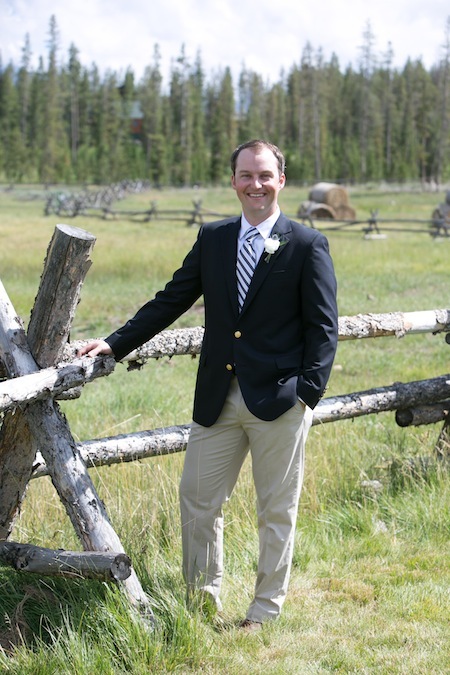 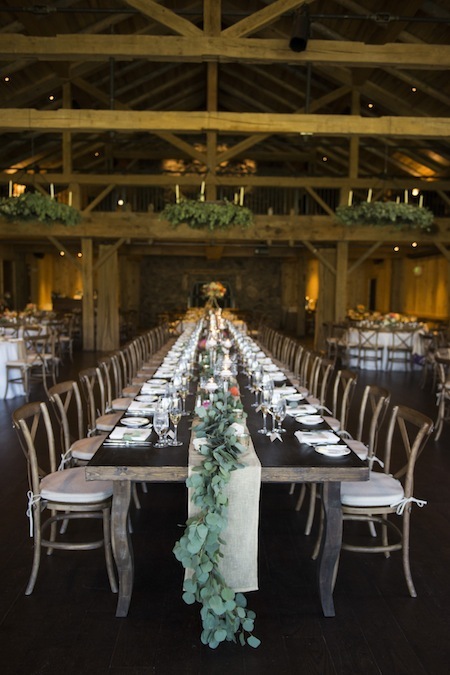 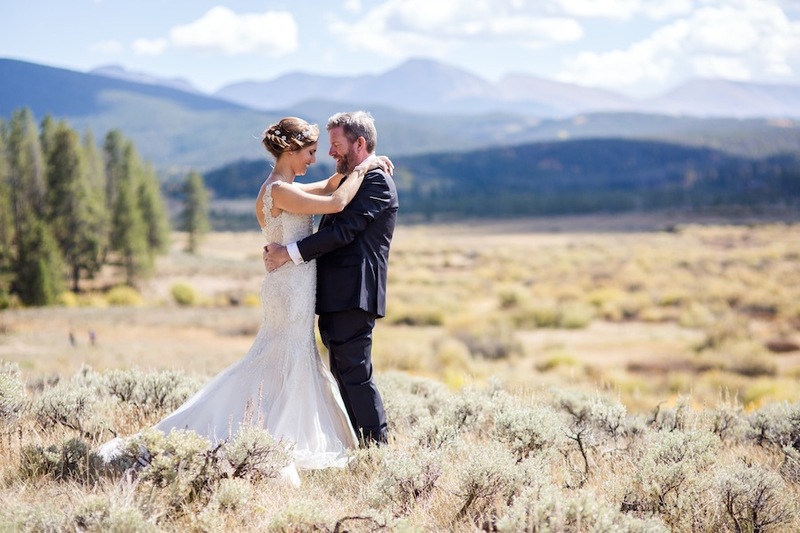 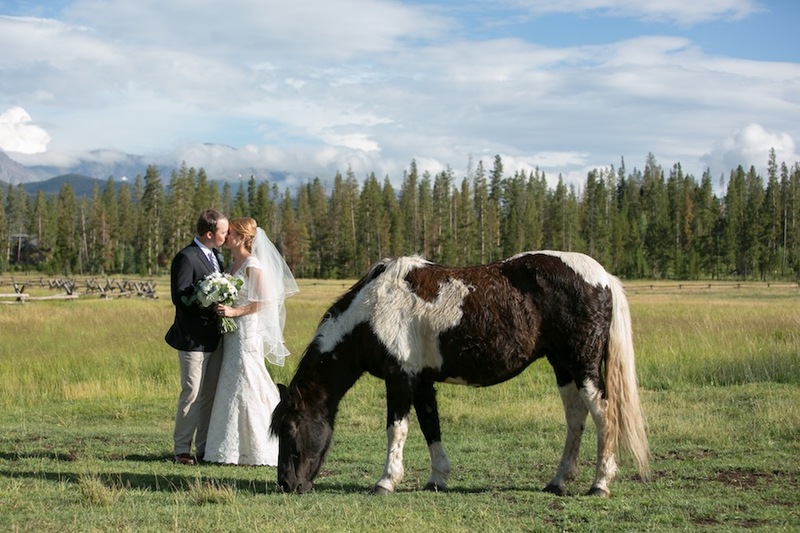 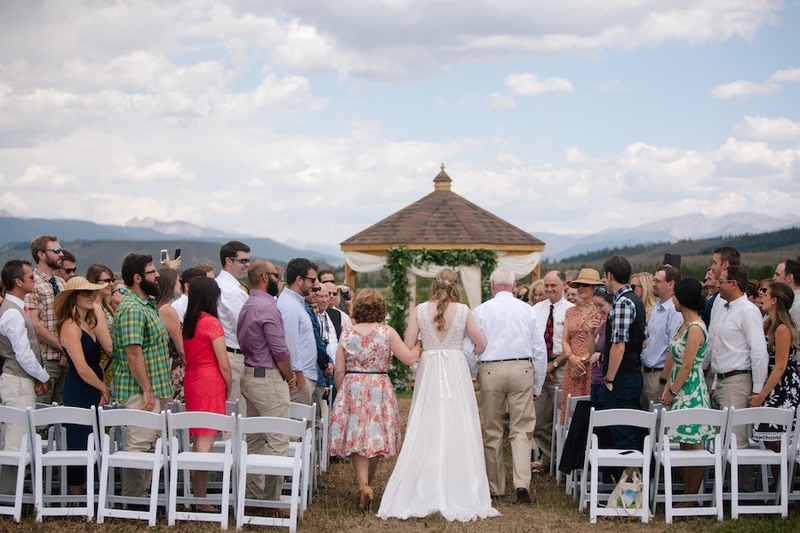 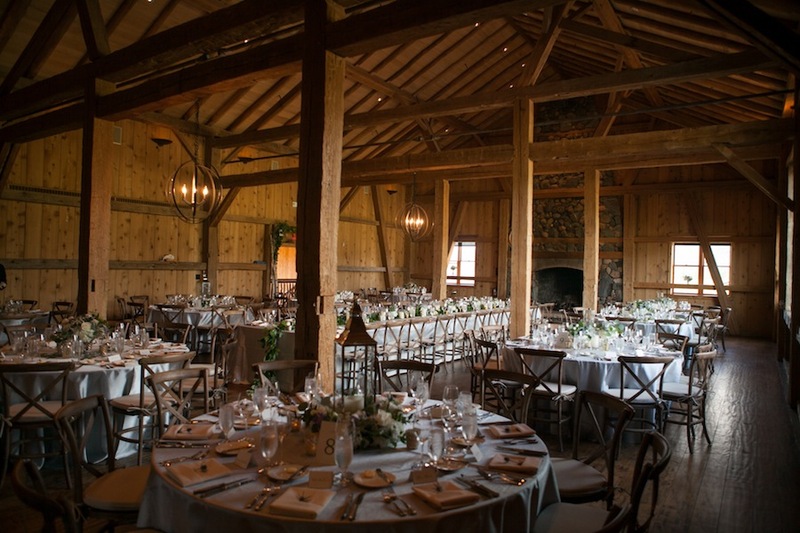 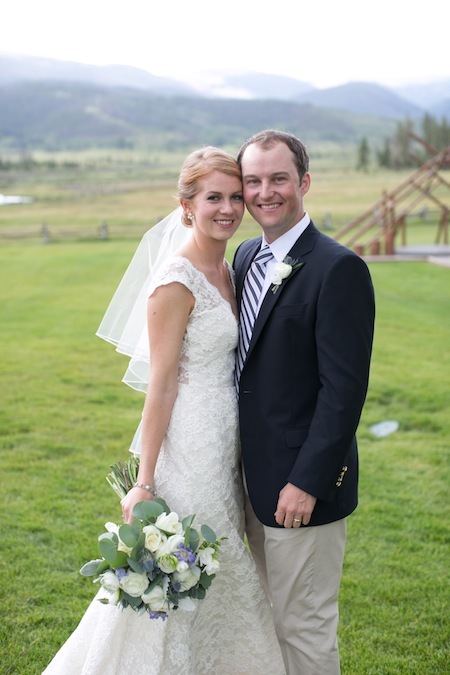 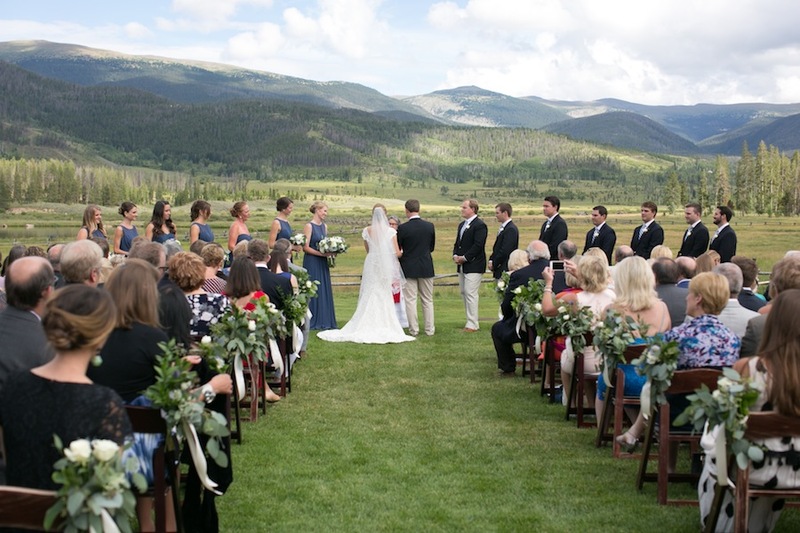 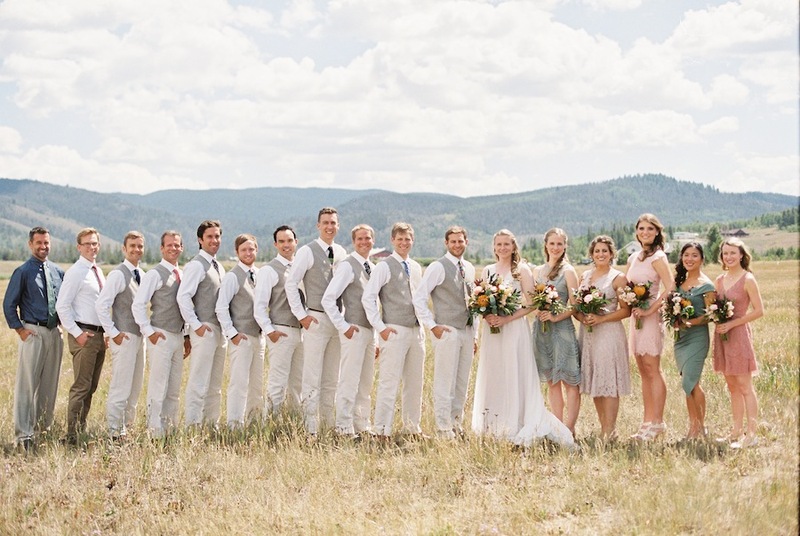 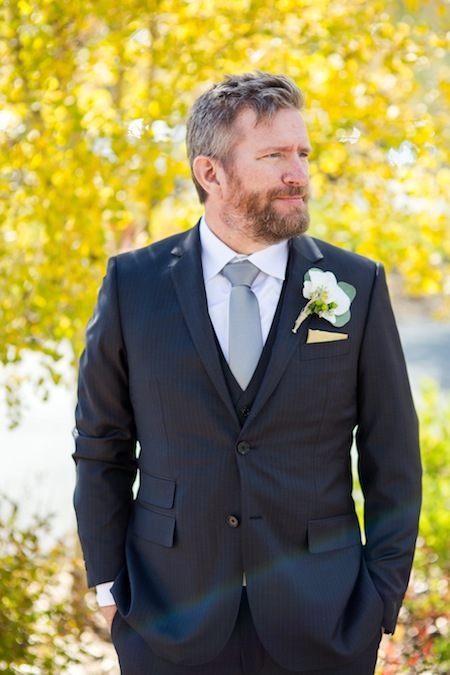 Bethany + Jim said “I Do” alongside of family and friends at the stunning Spruce Mountain Ranch. 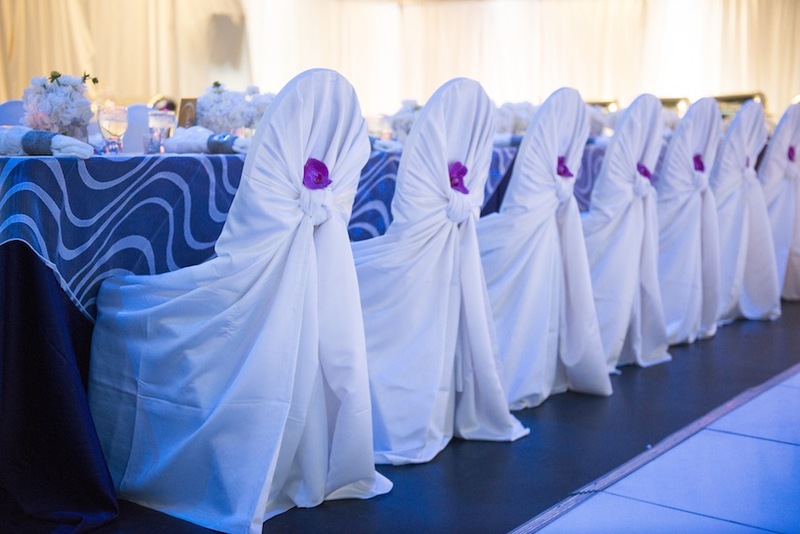 It was a day full of laughter and love, with JA Special Events taking care of all planning, coordinating, and even decor. 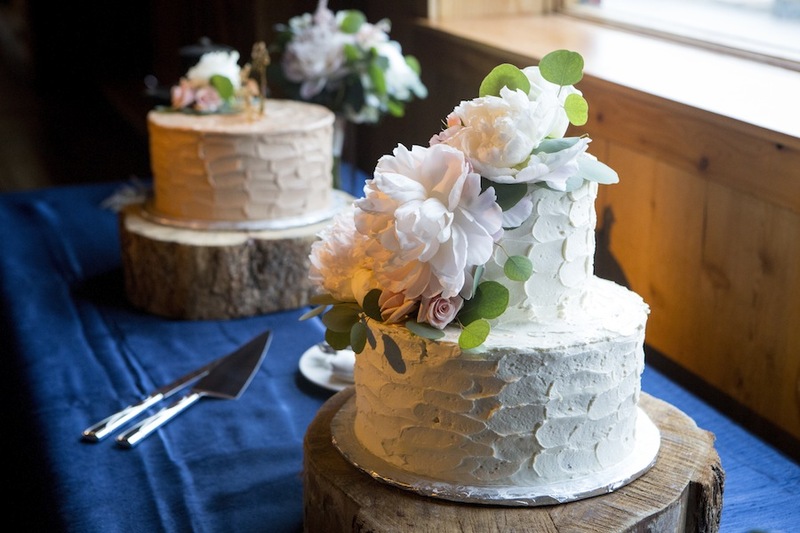 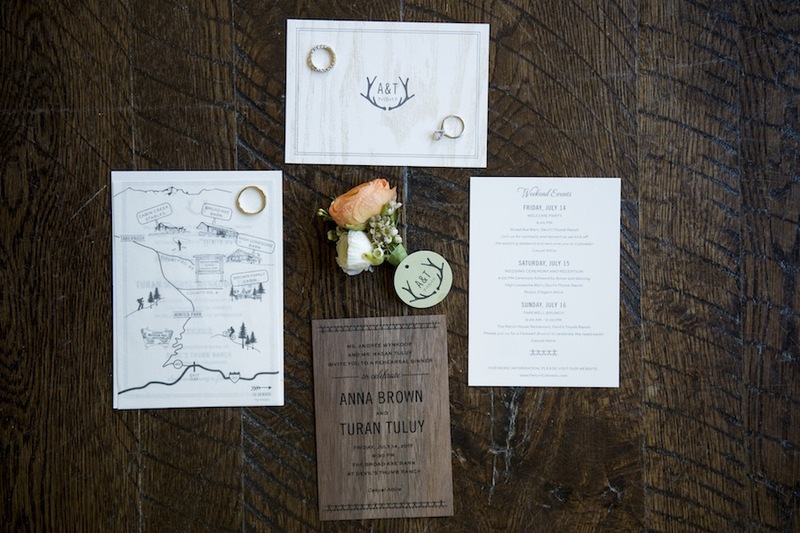 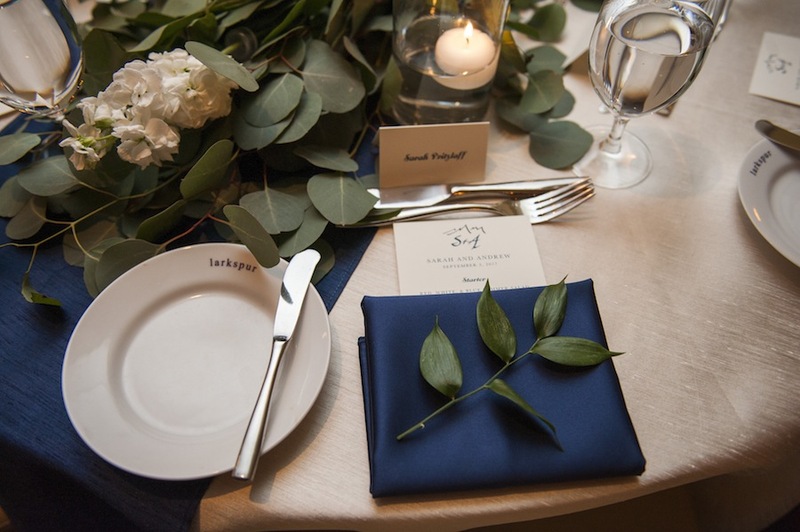 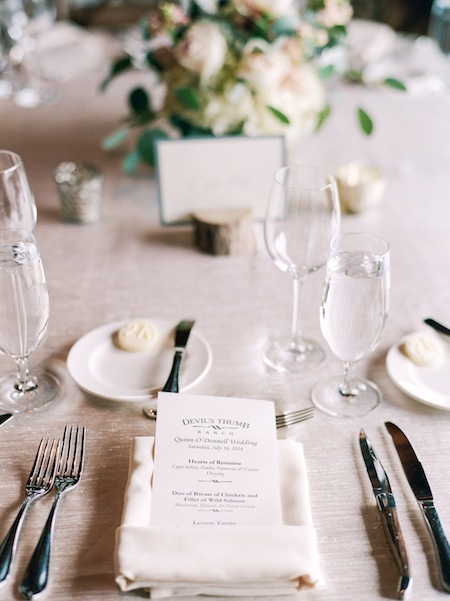 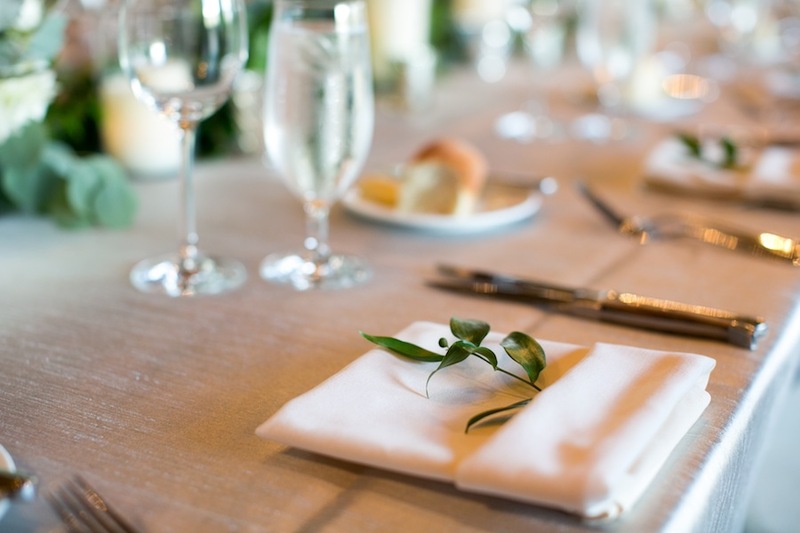 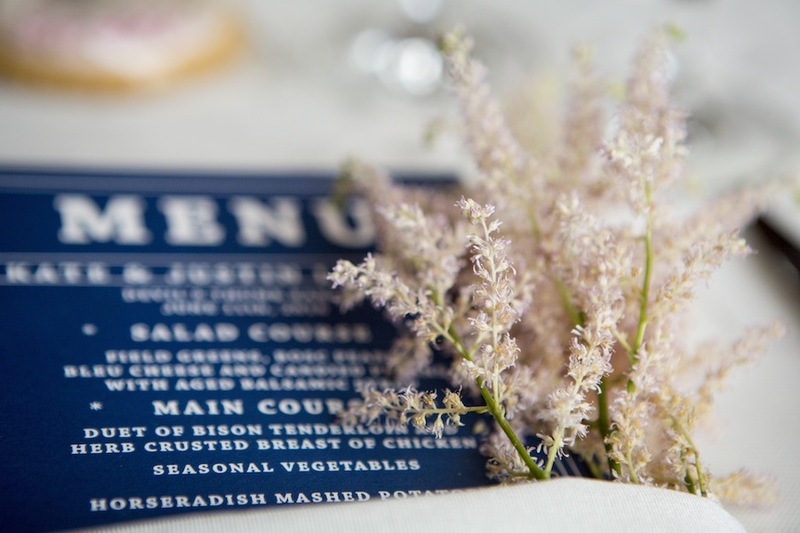 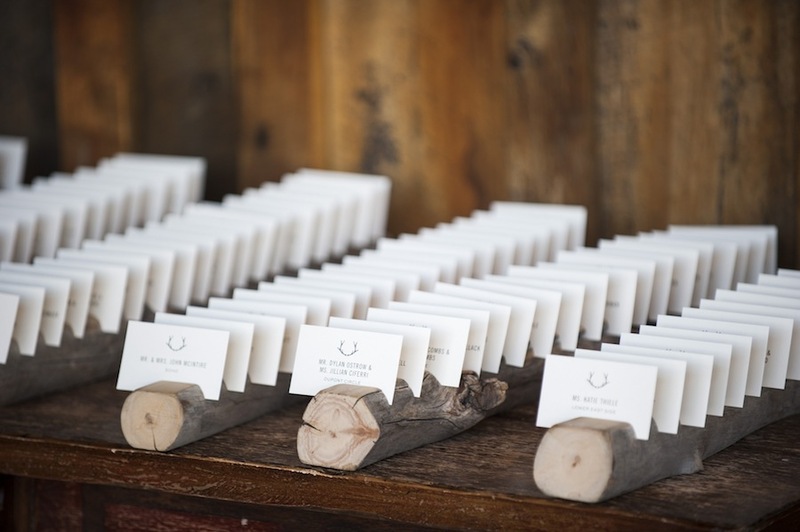 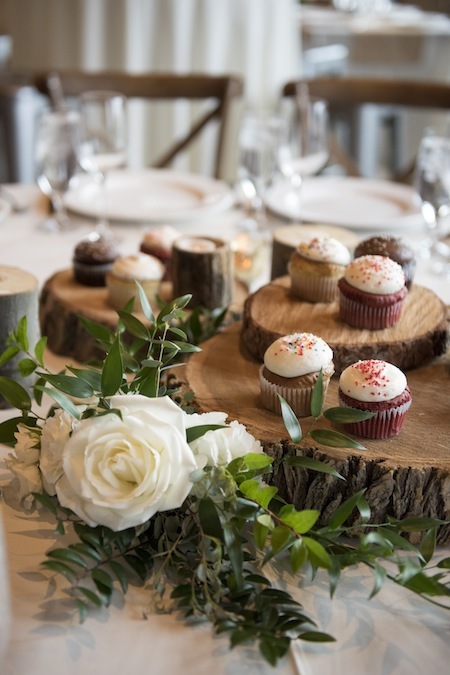 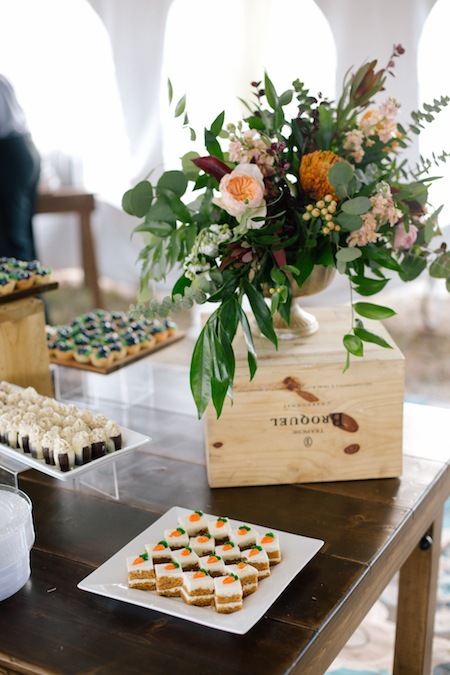 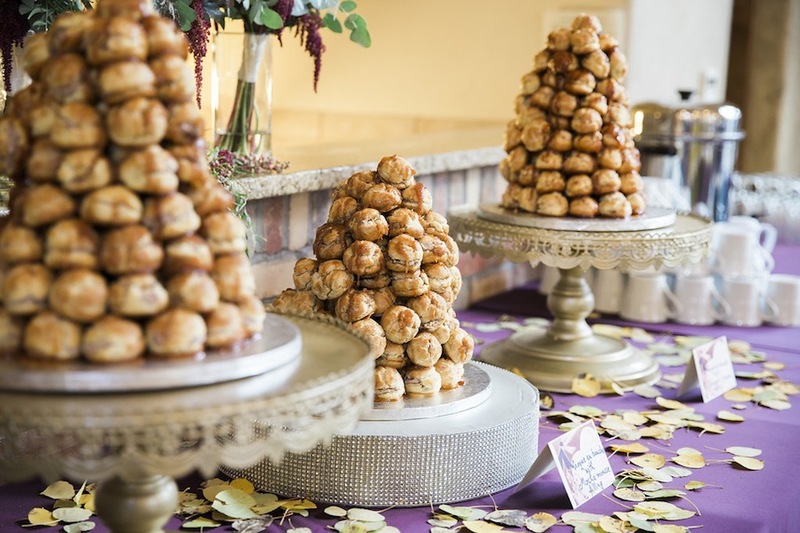 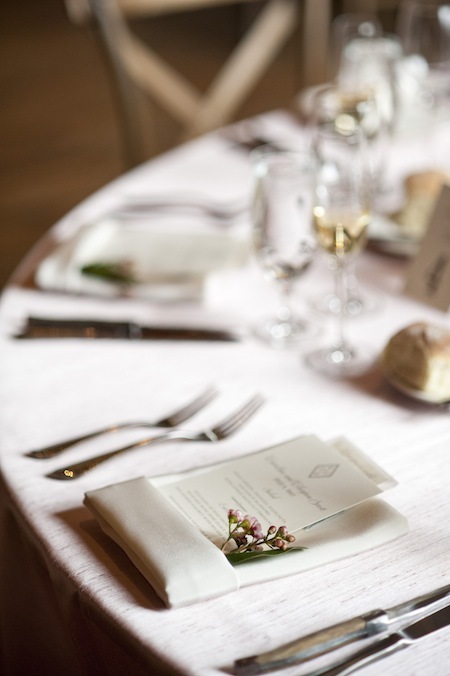 Caitlin Hamilton beautifully captured the happy couple and lovely details, and Footers Catering made sure guests were well fed and content. 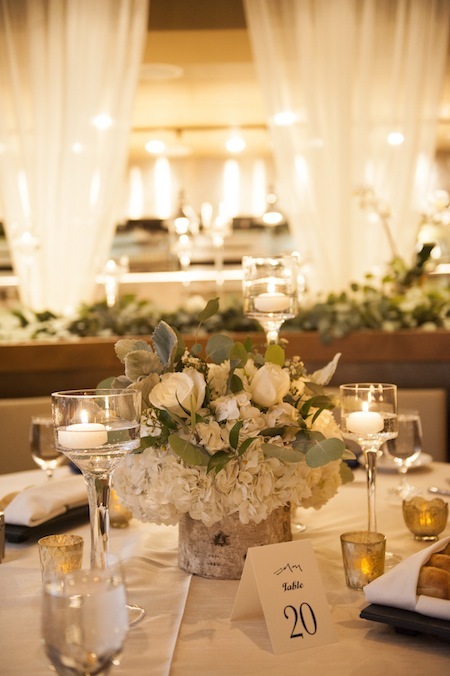 Elite DJ livened up the party well into the night and Statice Floral provided the flowers for the joyous day. 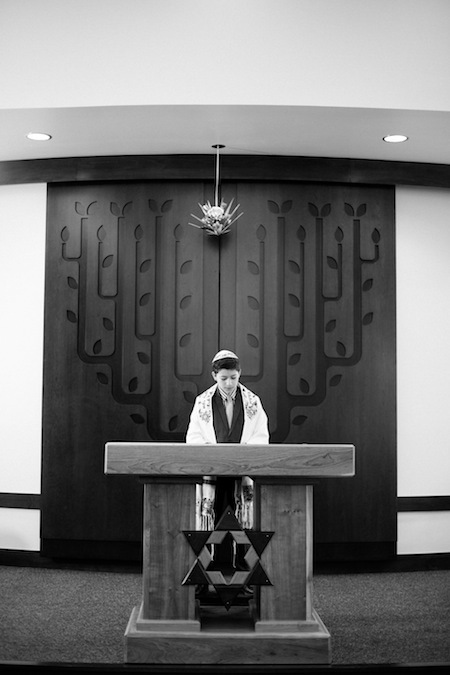 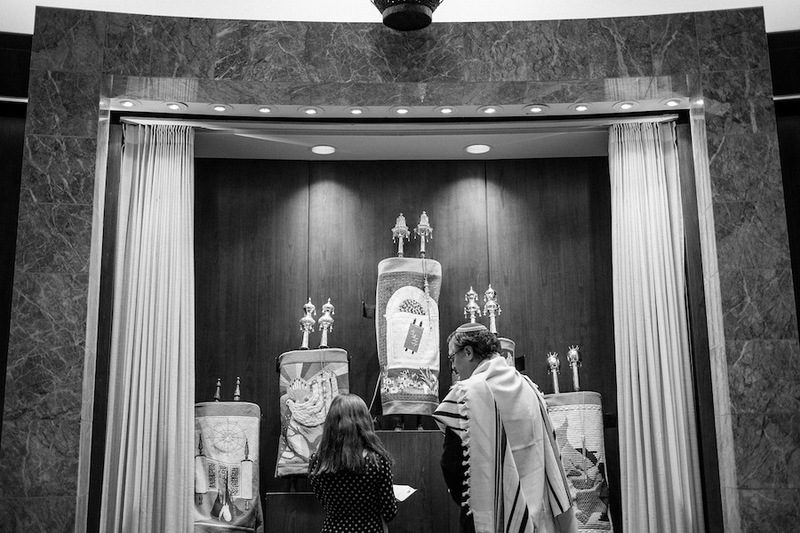 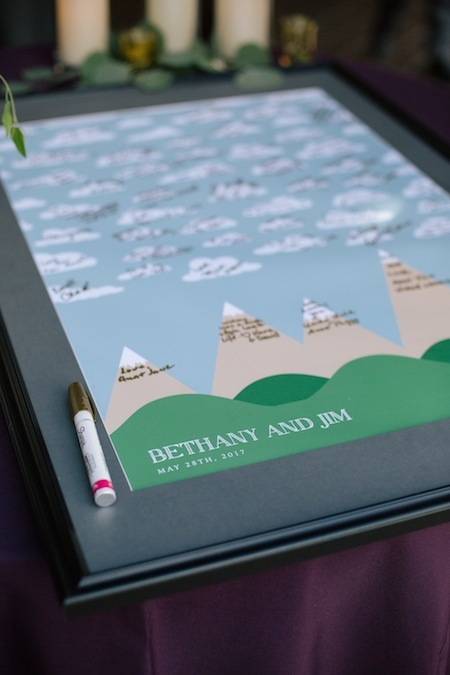 Congratulations, Bethany + Jim, we loved sharing in your special day! 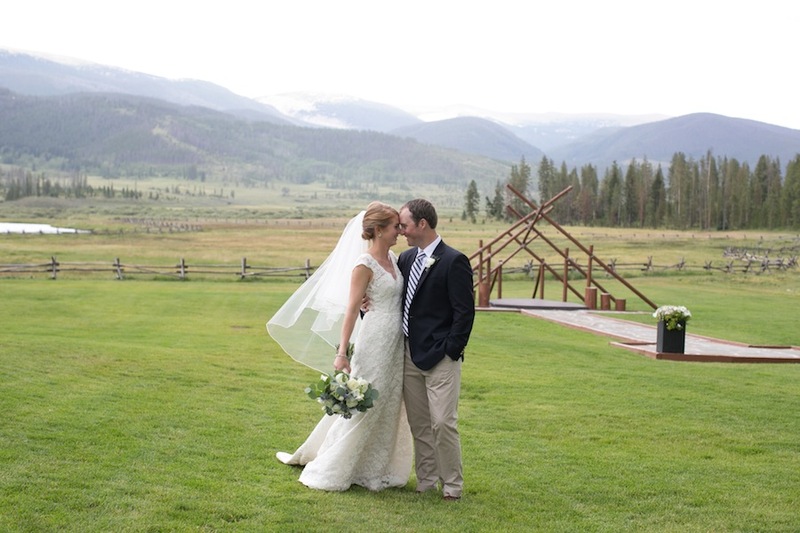 What a privilege it was celebrating the marriage of Lauren + Jonathan at the picturesque Devil’s Thumb Ranch. 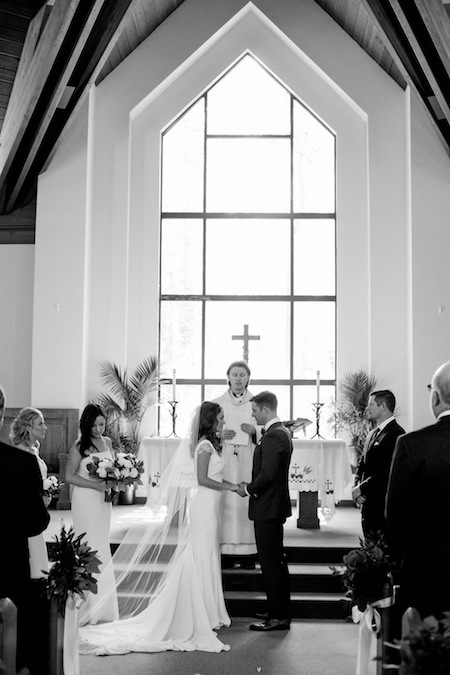 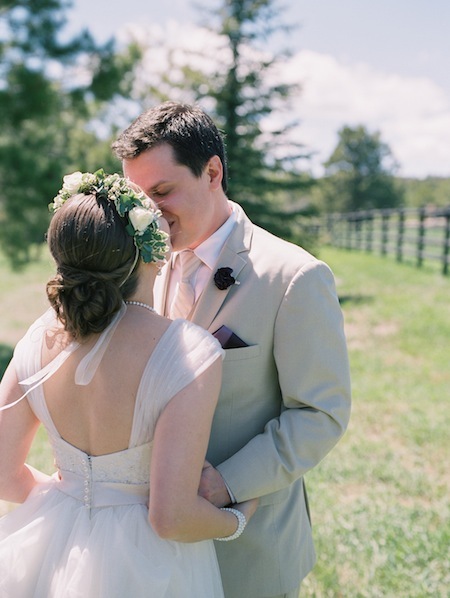 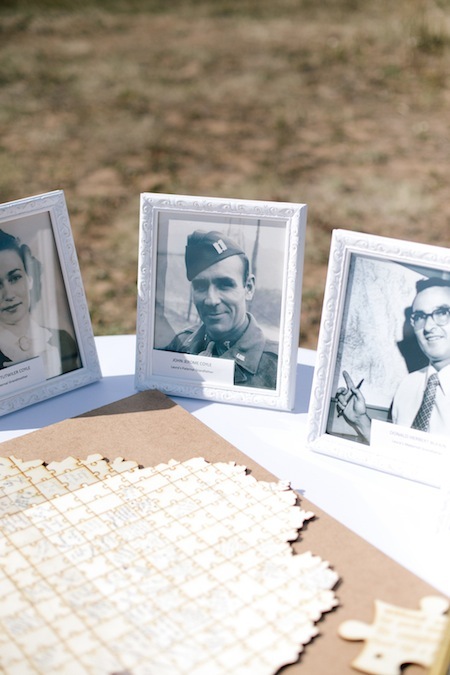 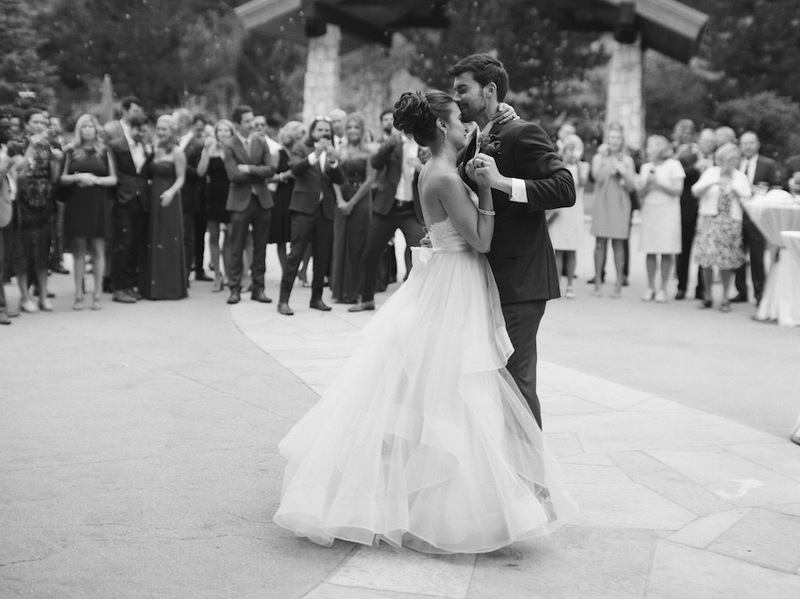 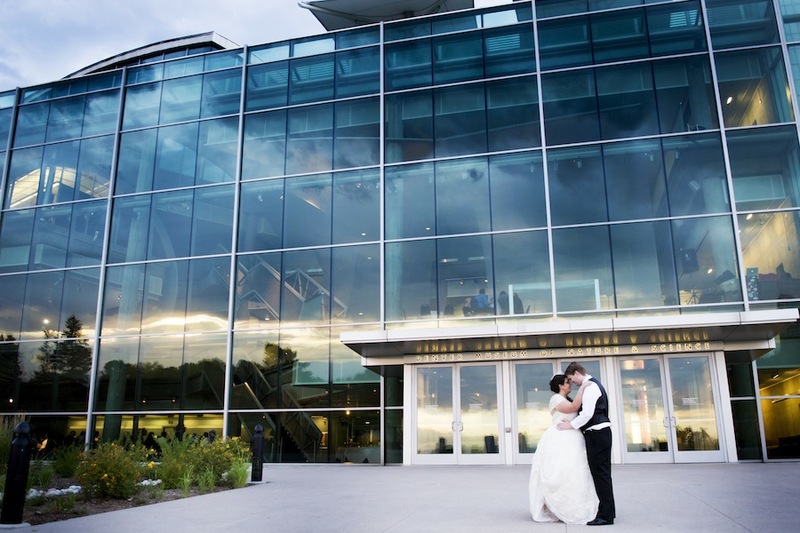 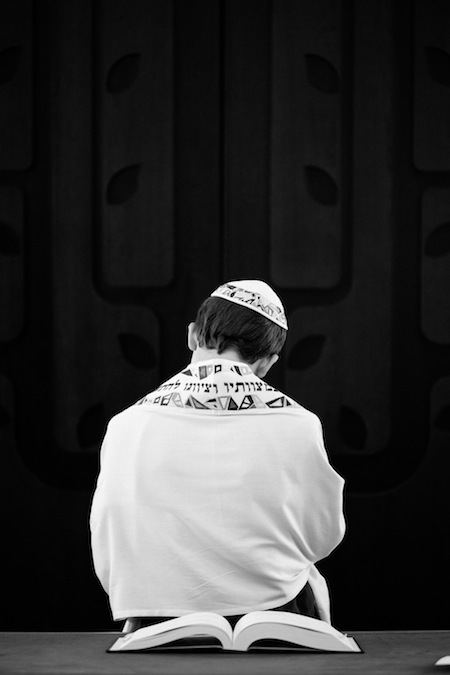 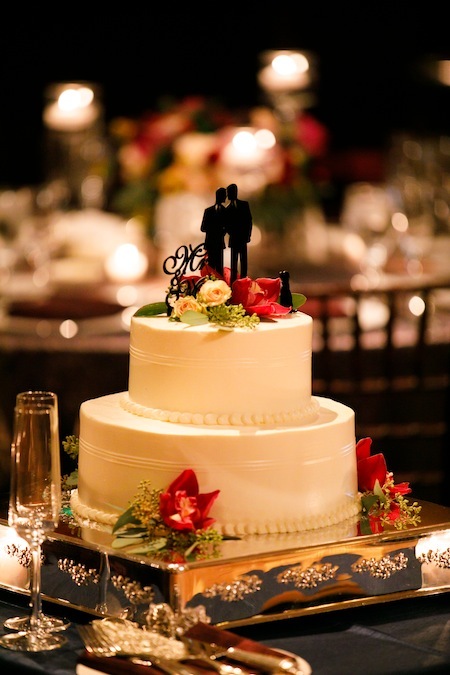 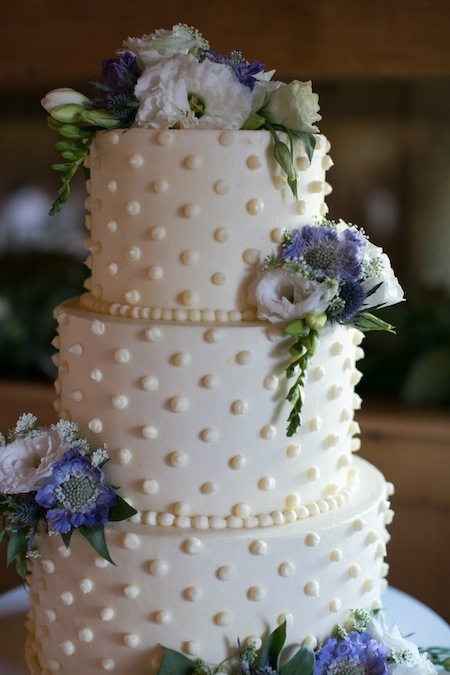 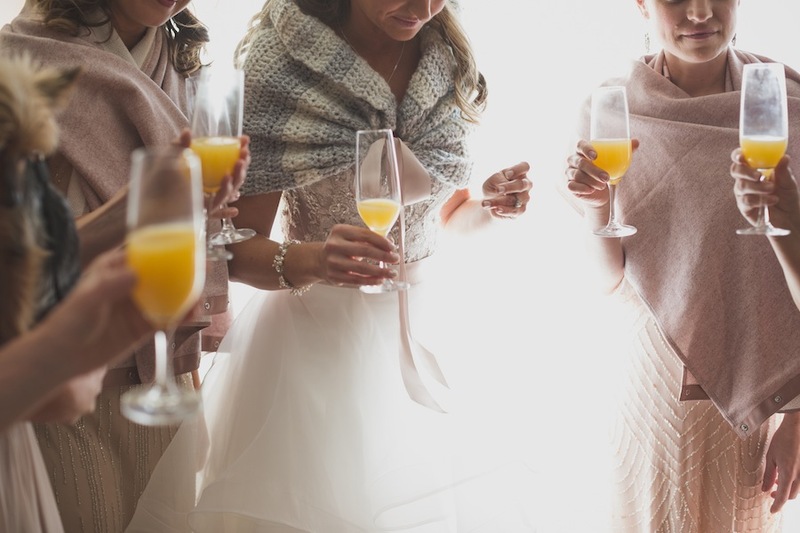 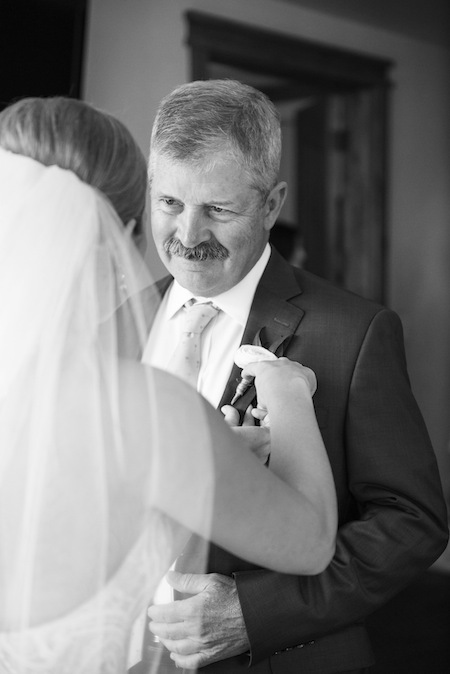 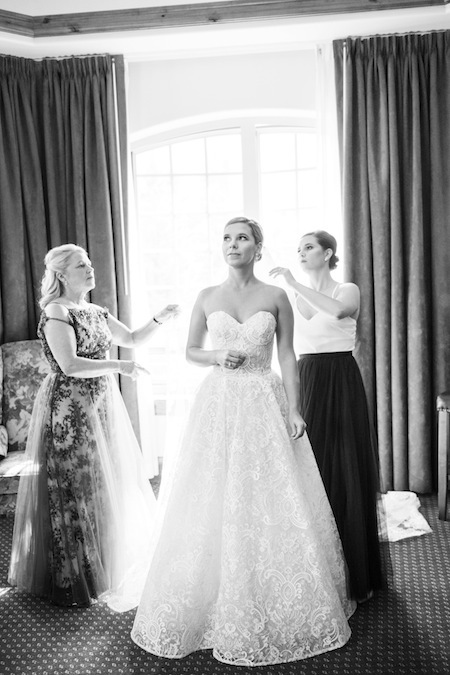 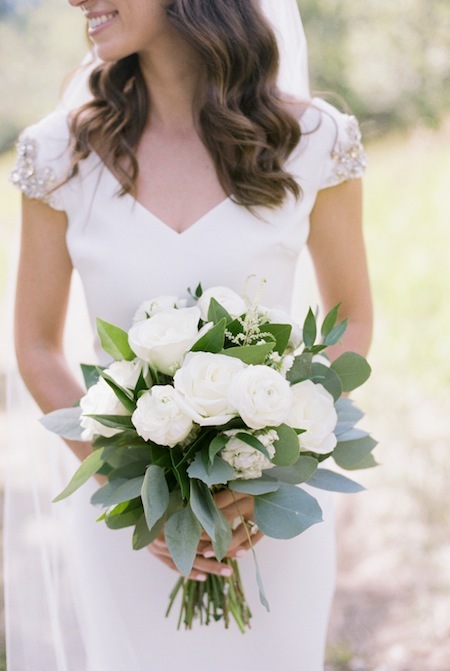 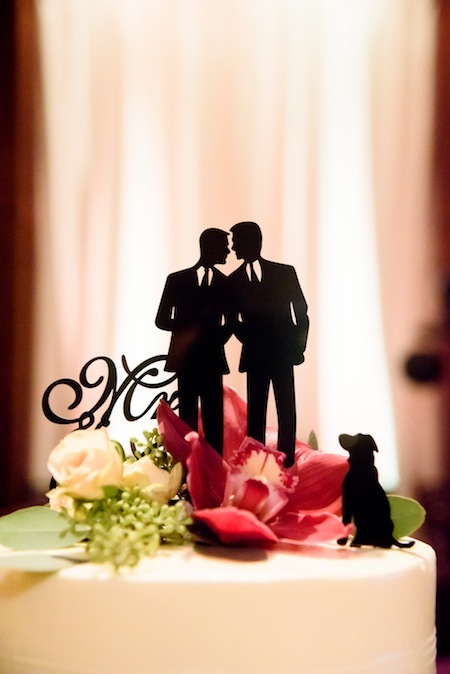 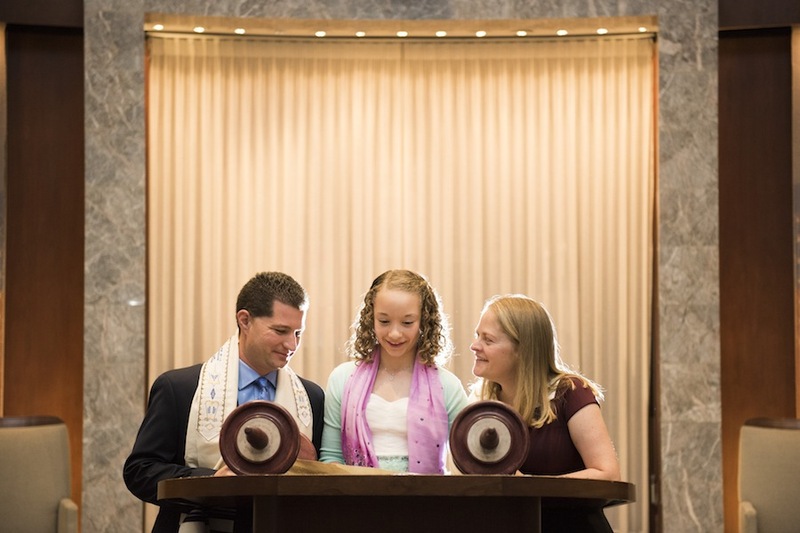 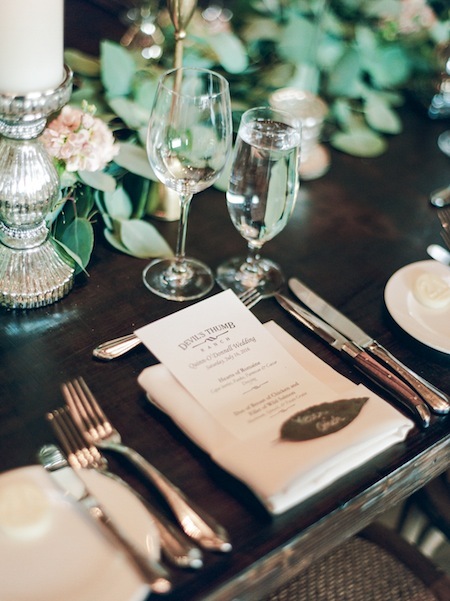 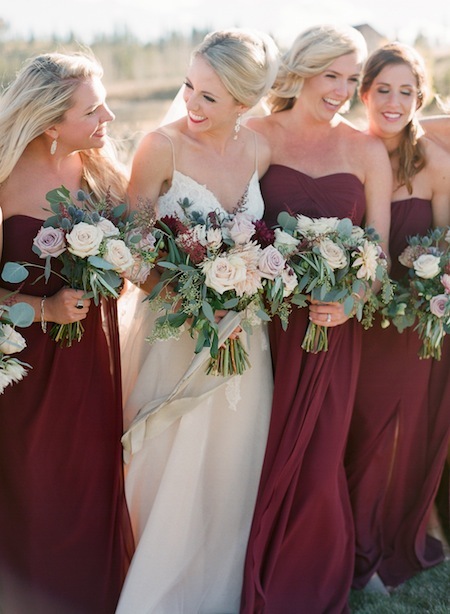 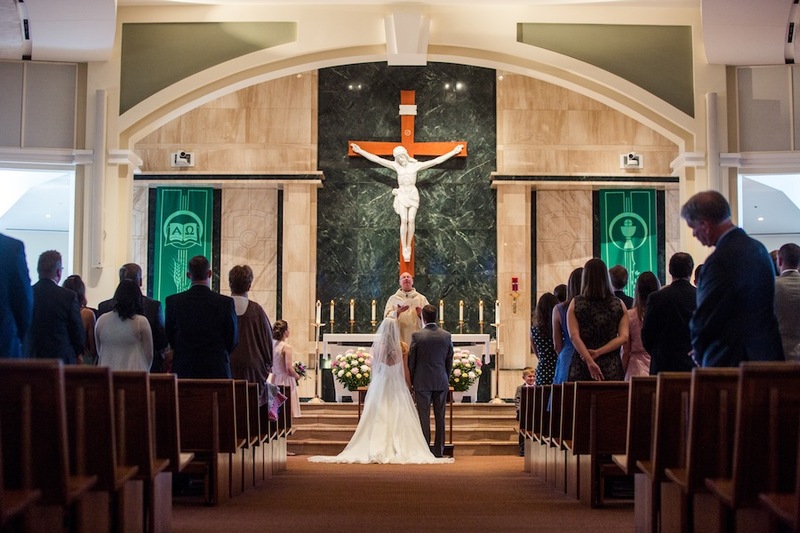 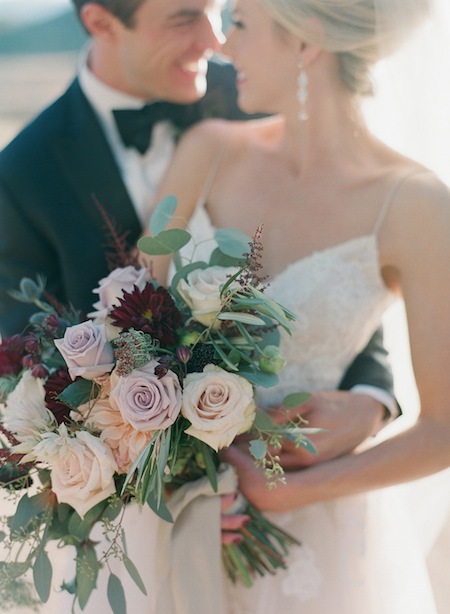 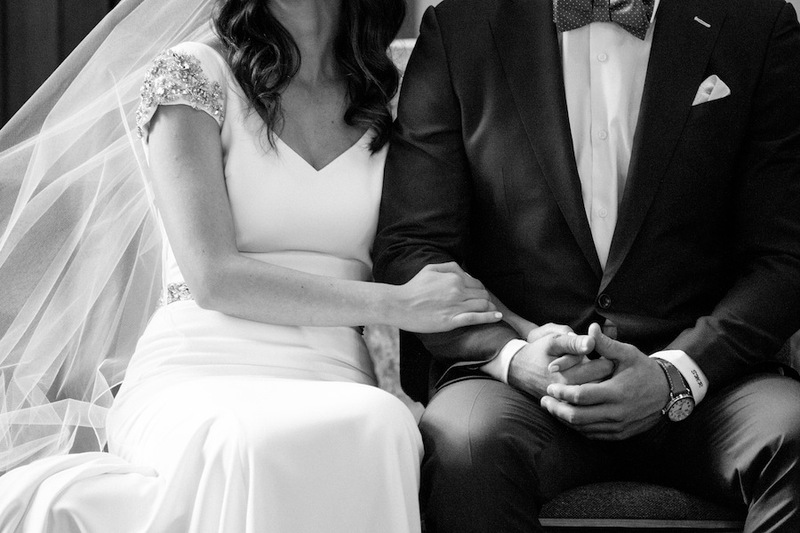 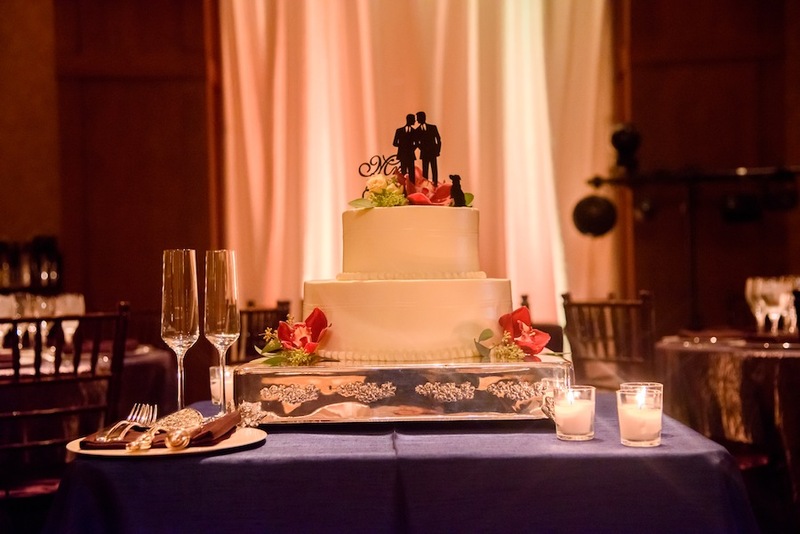 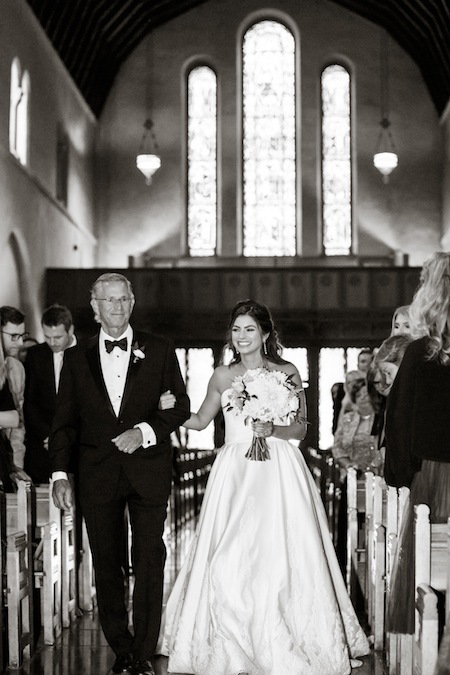 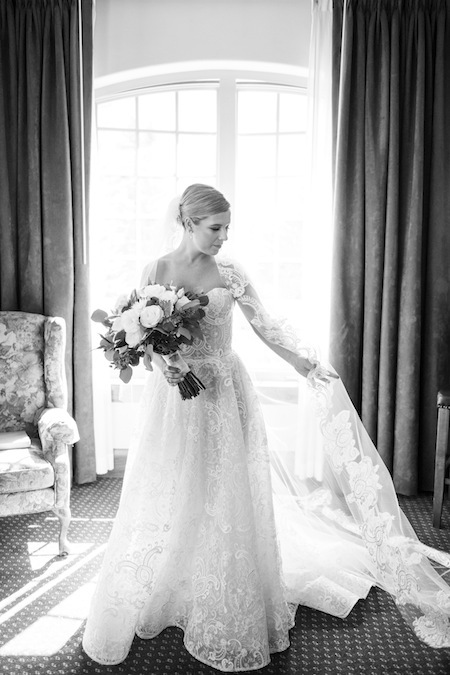 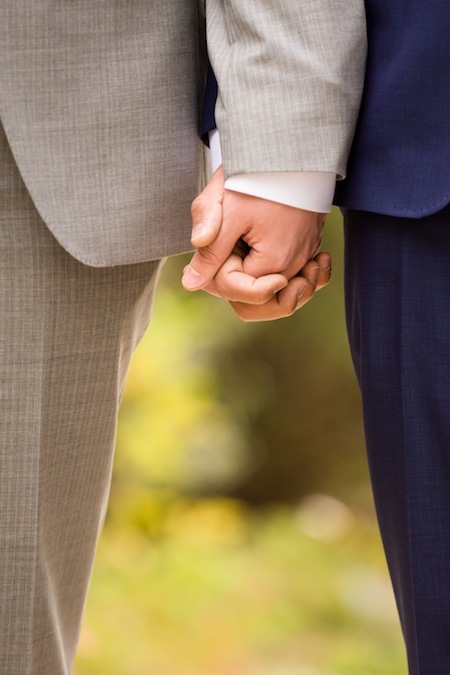 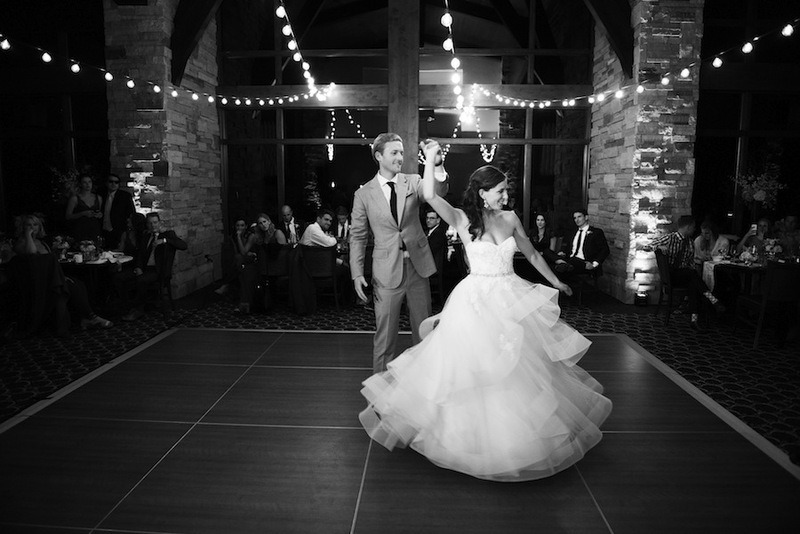 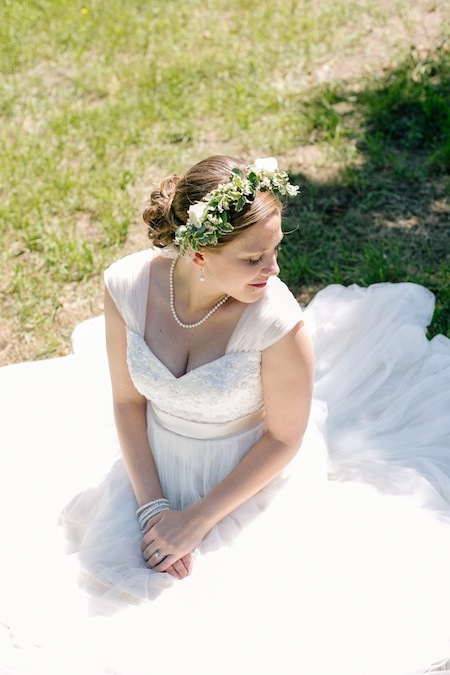 Gorgeous images of the couple’s special day were captured by the talented Daylene Wilson. 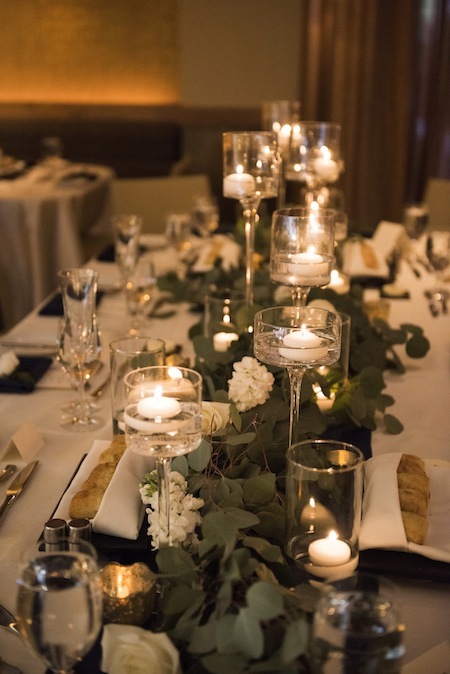 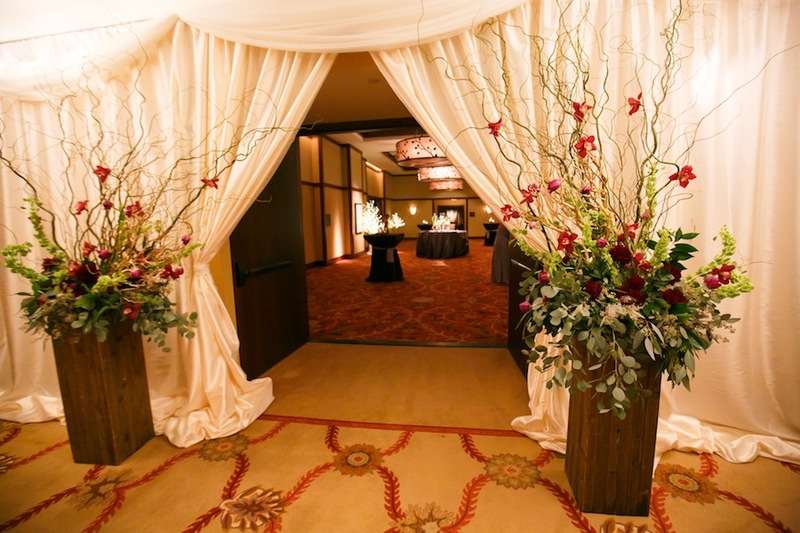 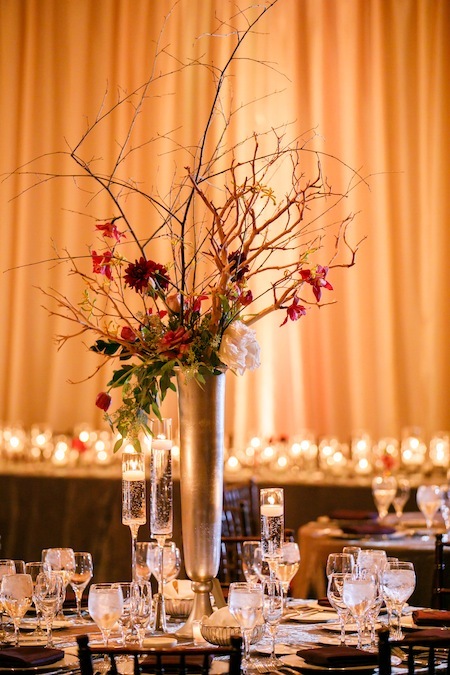 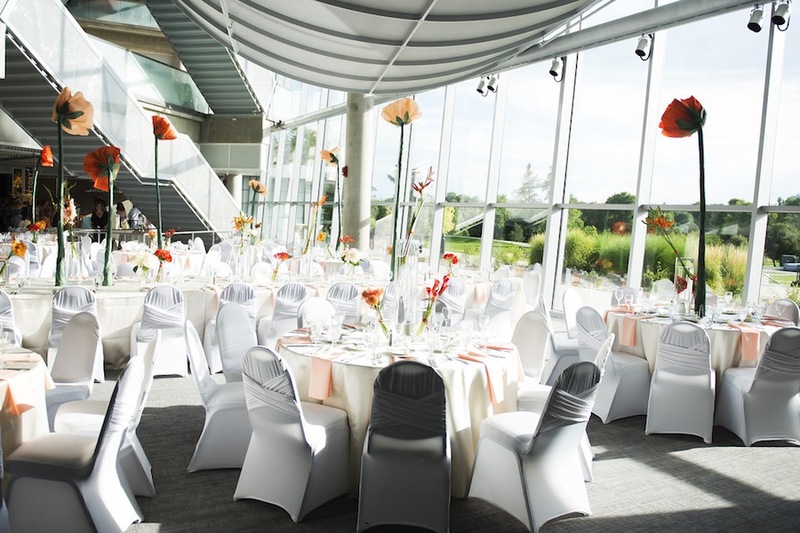 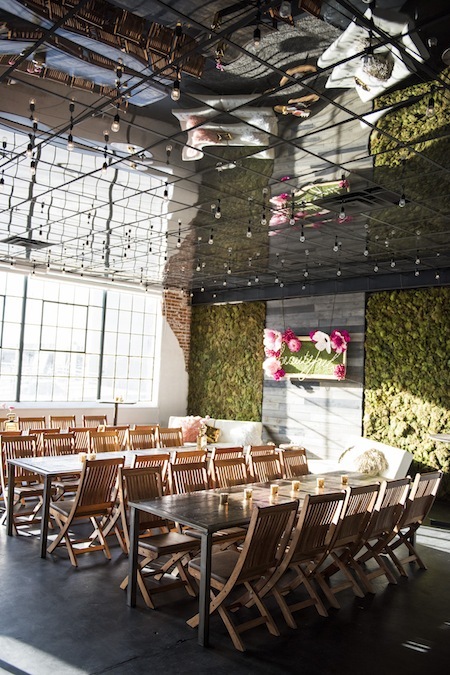 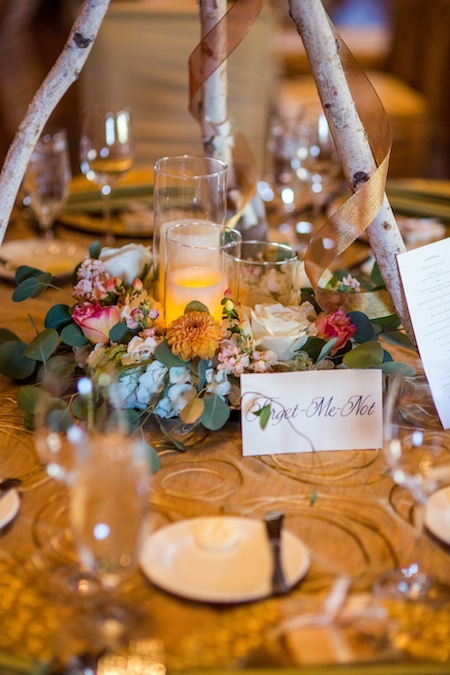 With the lovely fall colors adding such natural beauty, the stunning florals and decor provided by Statice Floral were the perfect addition to the overall ambiance. 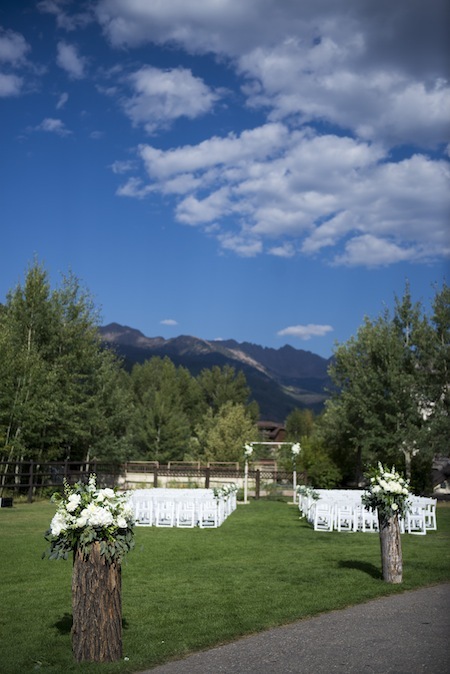 JA Special Events ensured that all planning and coordination were handled so that the couple could relax and enjoy their beautiful day. 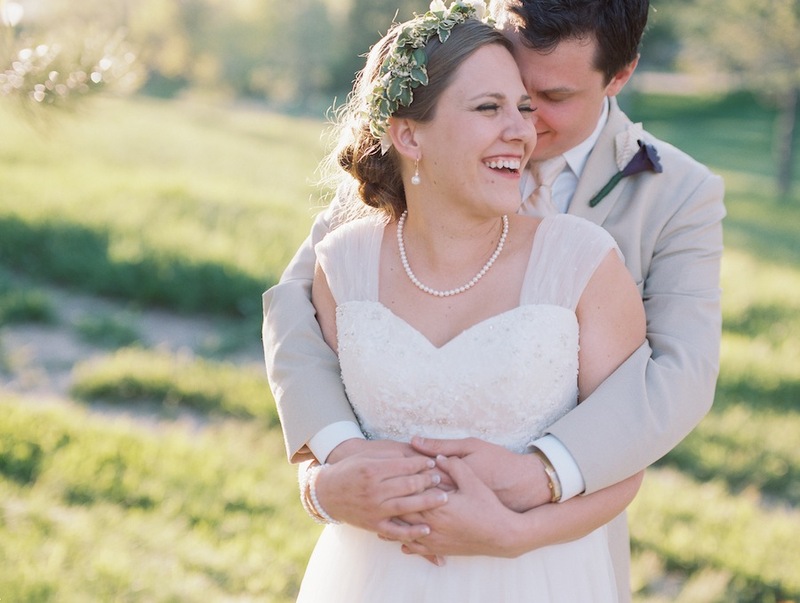 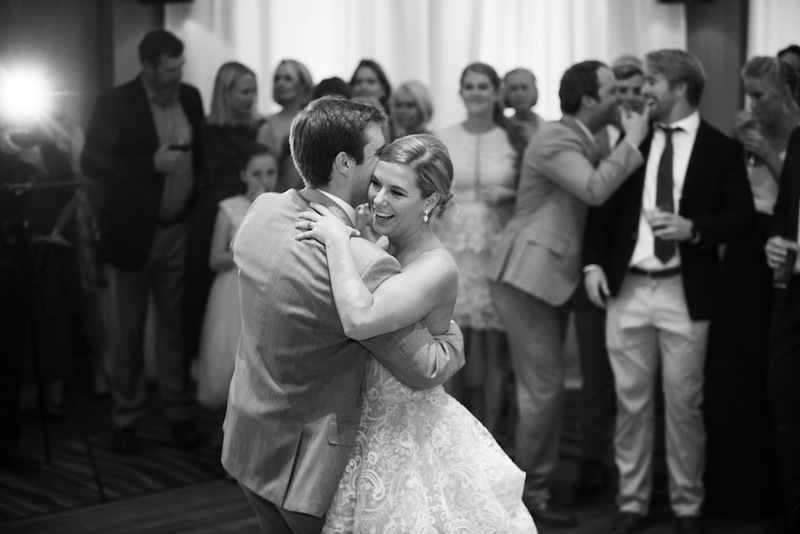 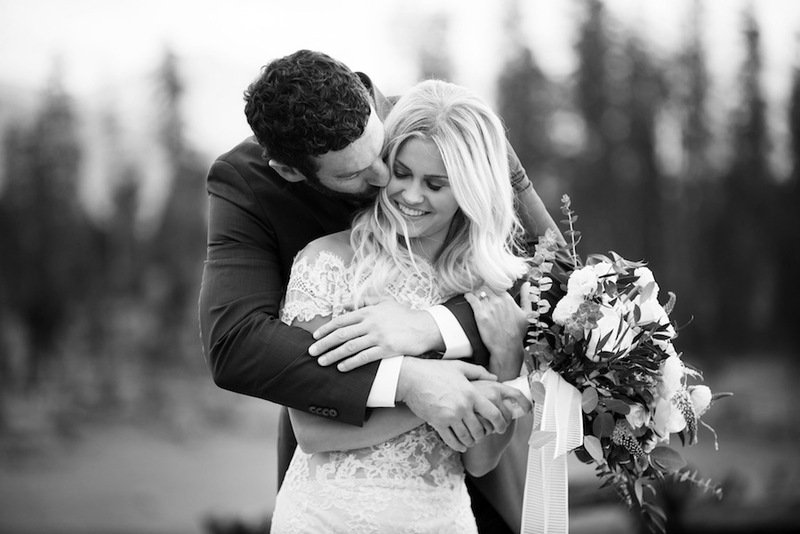 We are so very happy for you, Lauren + Jonathan! 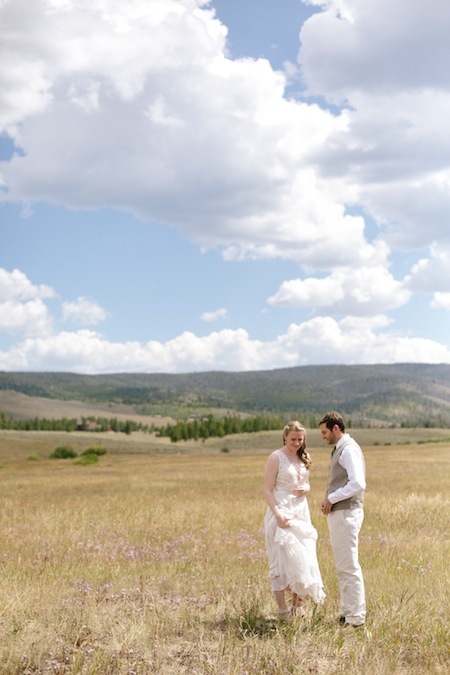 What a special day it was celebrating the marriage between Sarah + Alex at the always picturesque Devil’s Thumb Ranch. 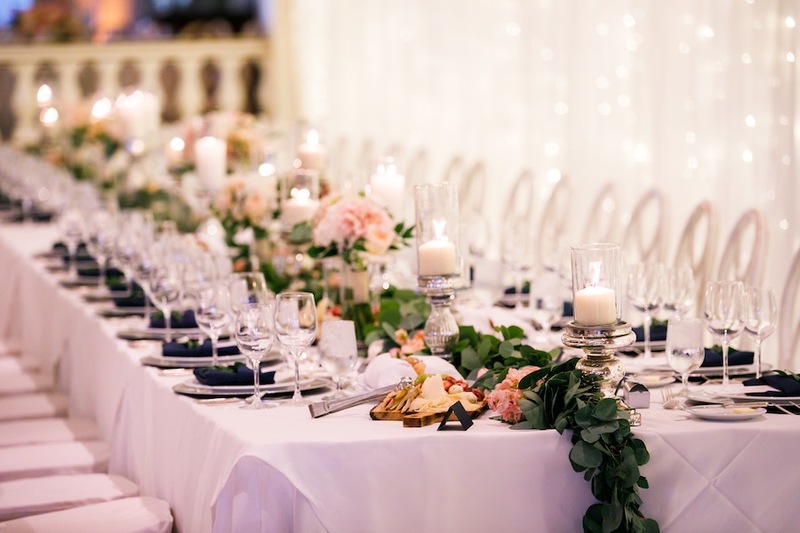 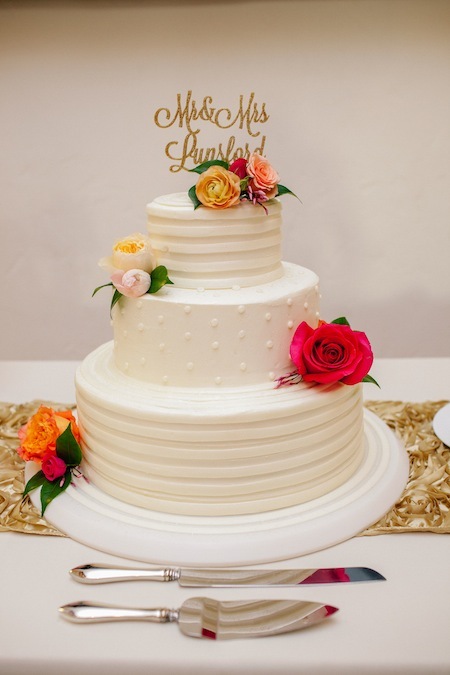 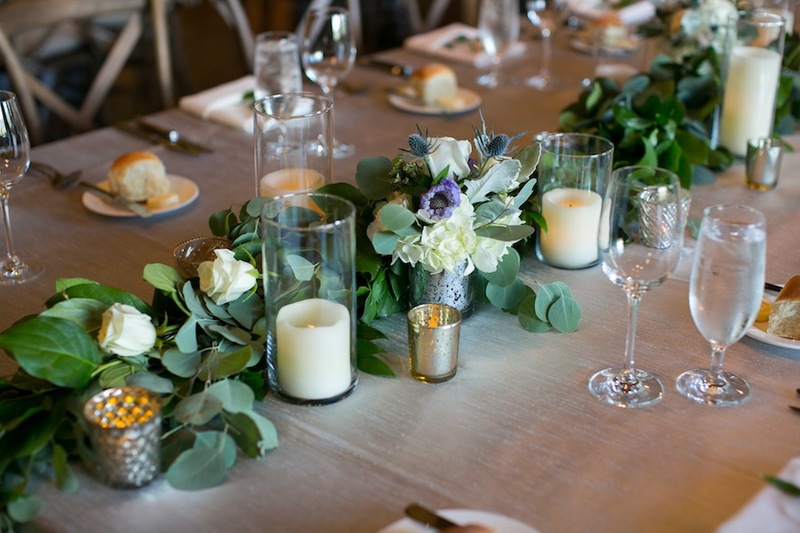 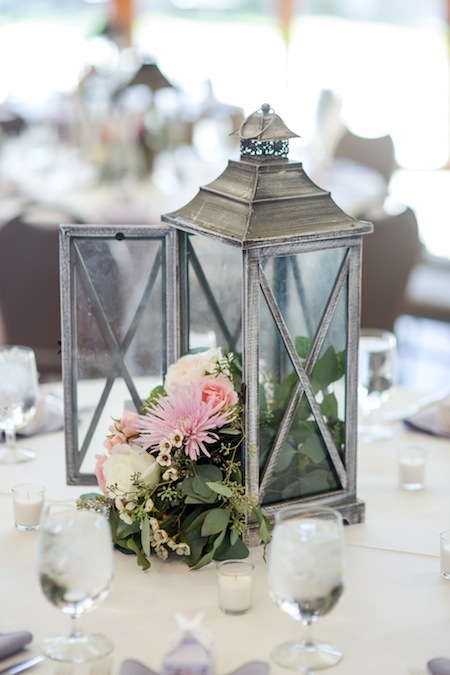 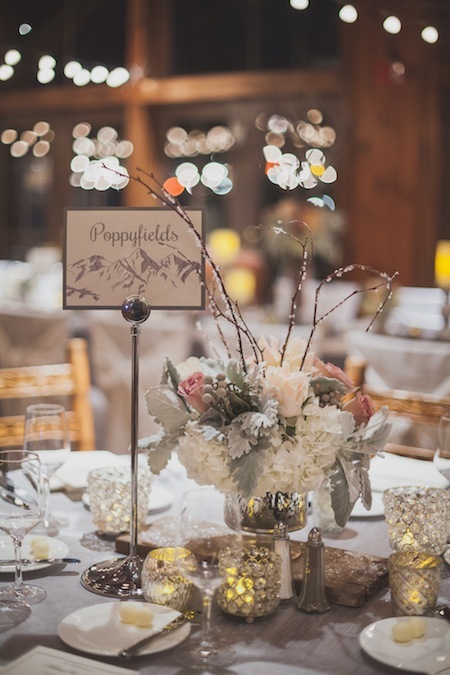 Beautiful images were captured by Susan Pacek Photography, and Statice Floral added such elegance with their florals and decor. 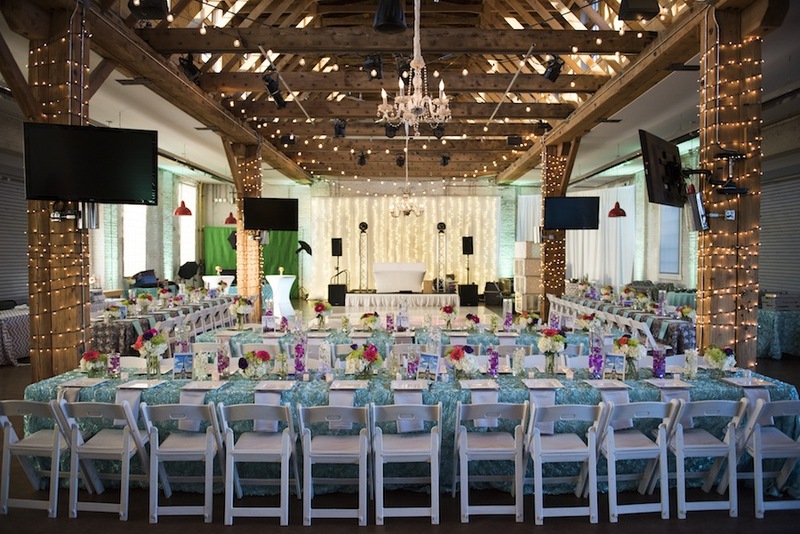 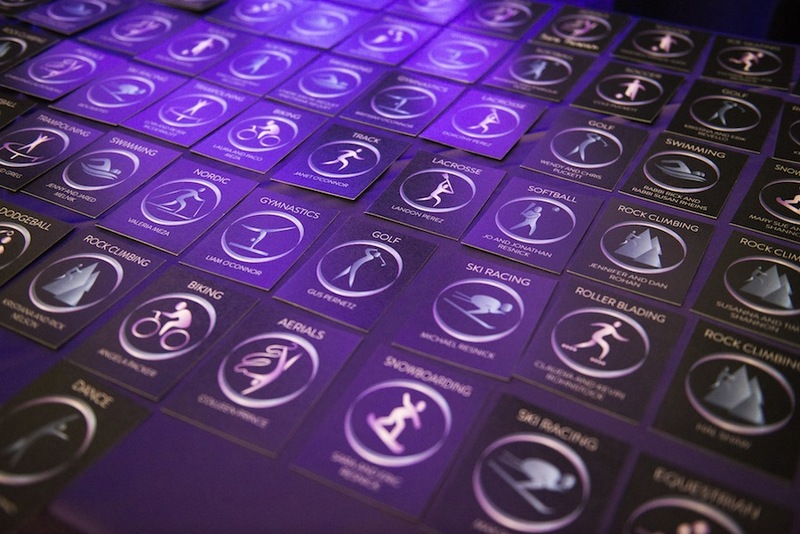 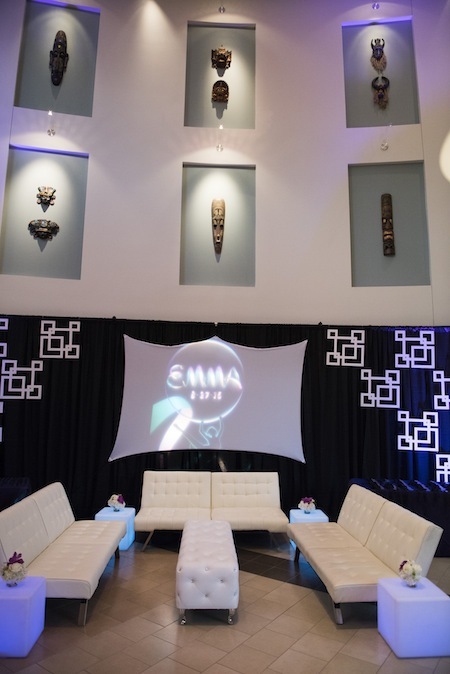 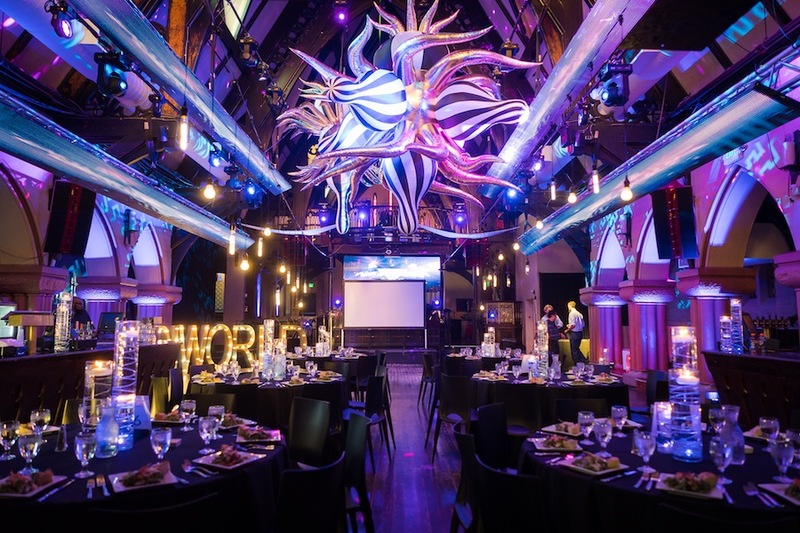 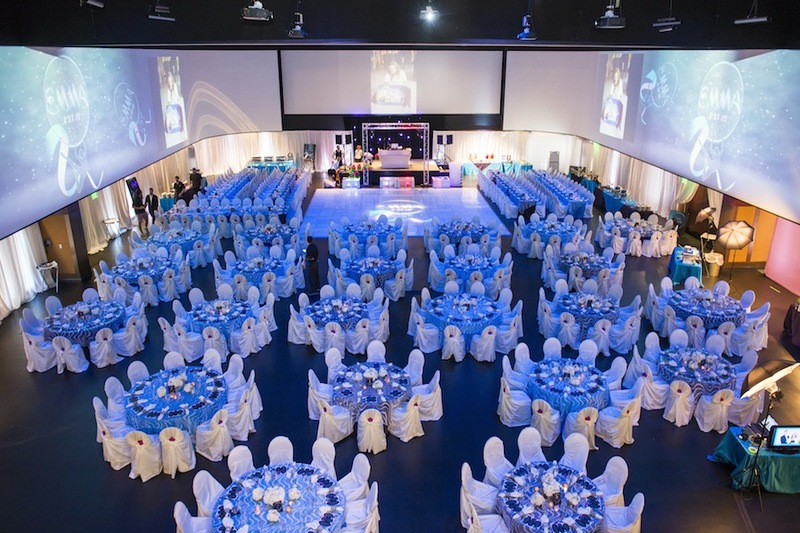 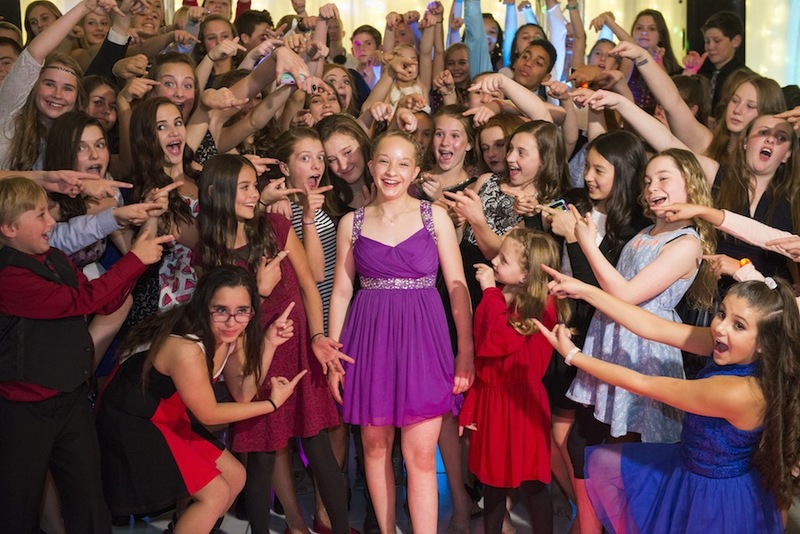 DJ Digi kept the party going into the night and JA Special Events enhanced the entire day with their planning and coordination. 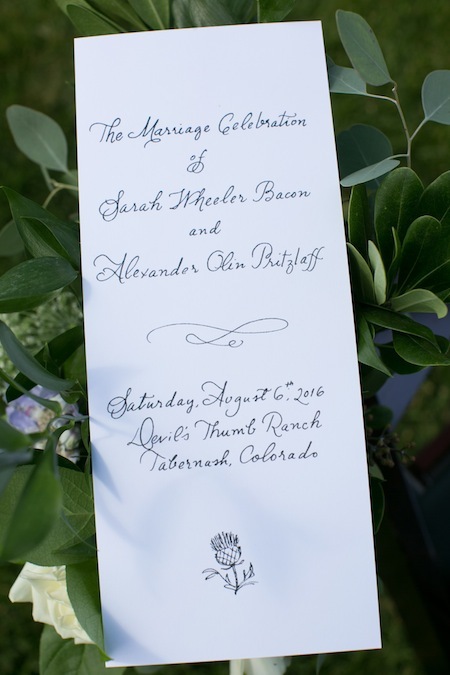 Congratulations on your beautiful marriage, Sarah + Alex!